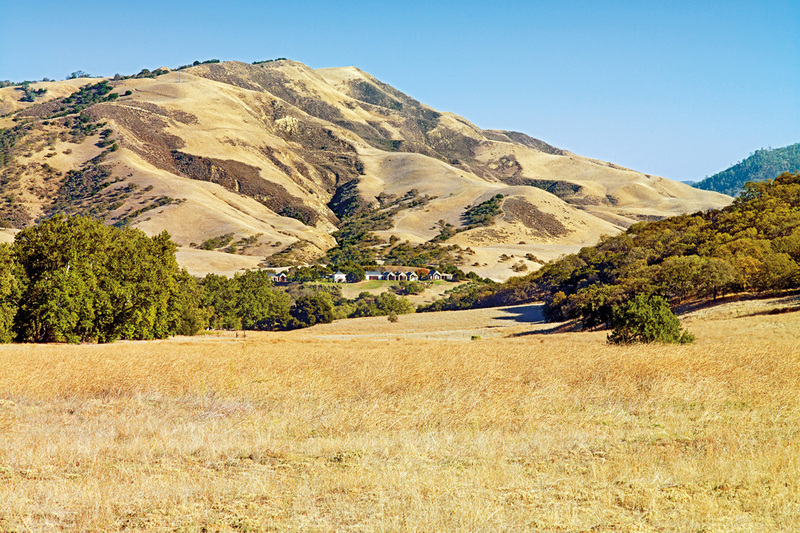 Just south of Silicon Valley and east of Carmel. 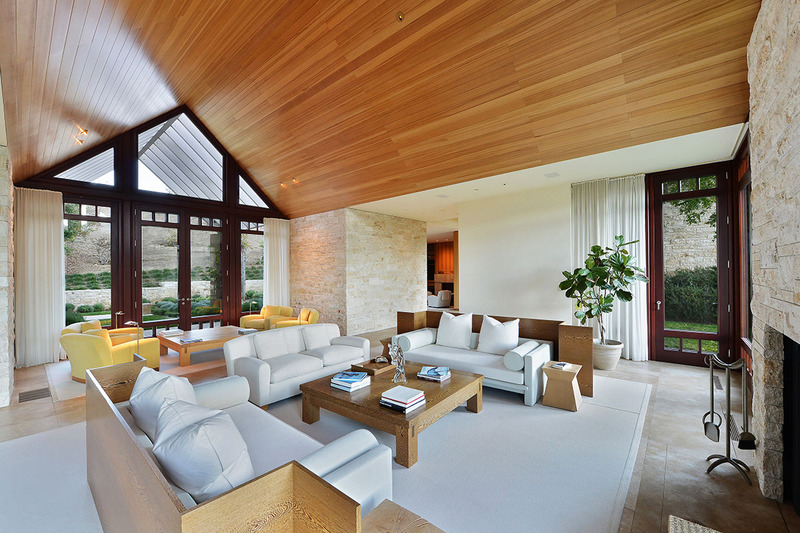 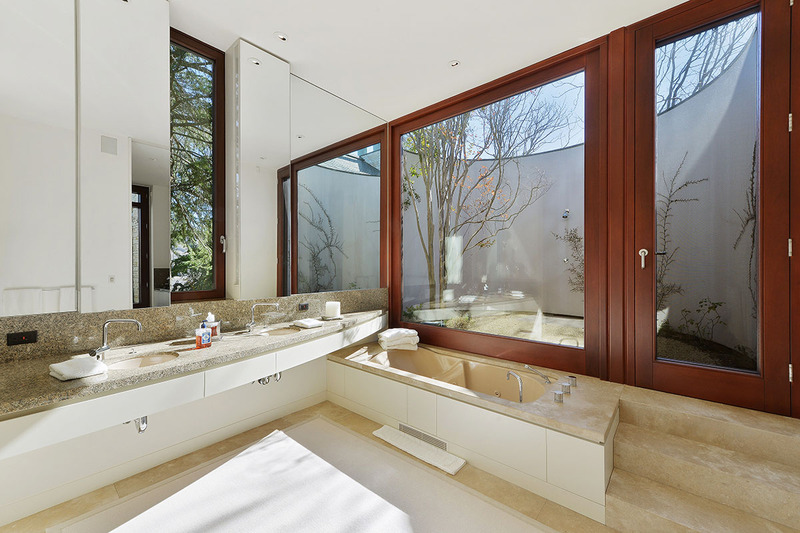 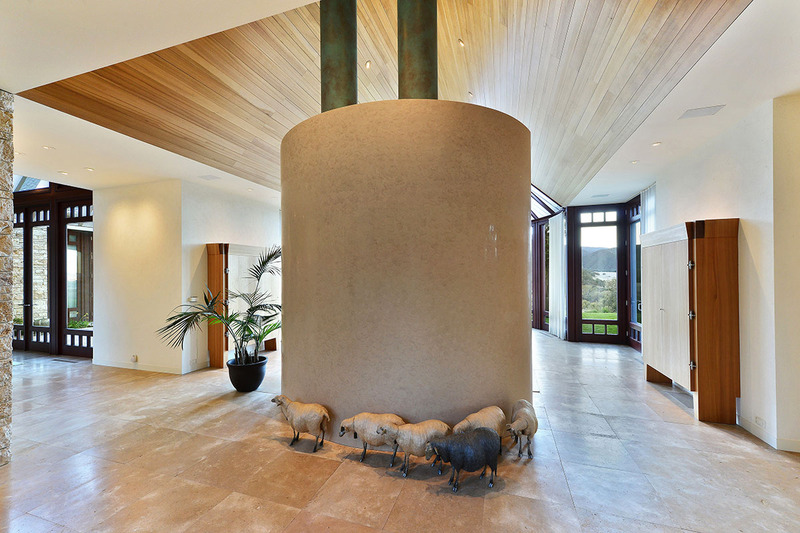 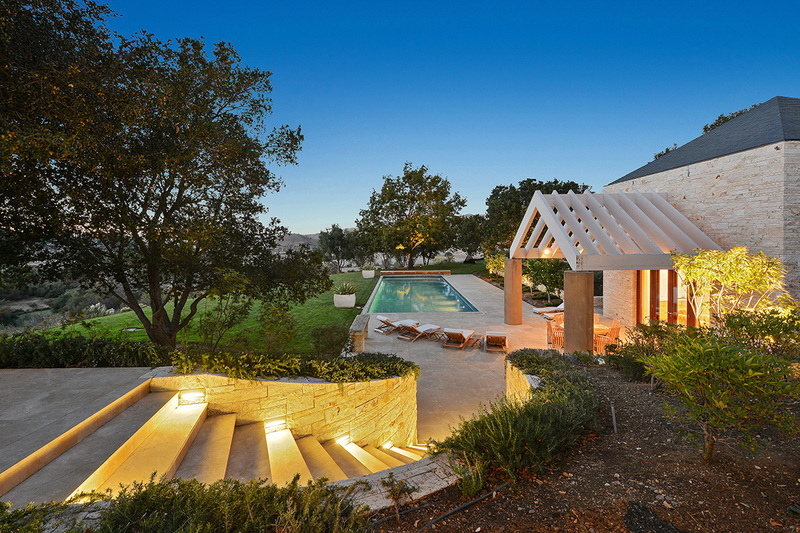 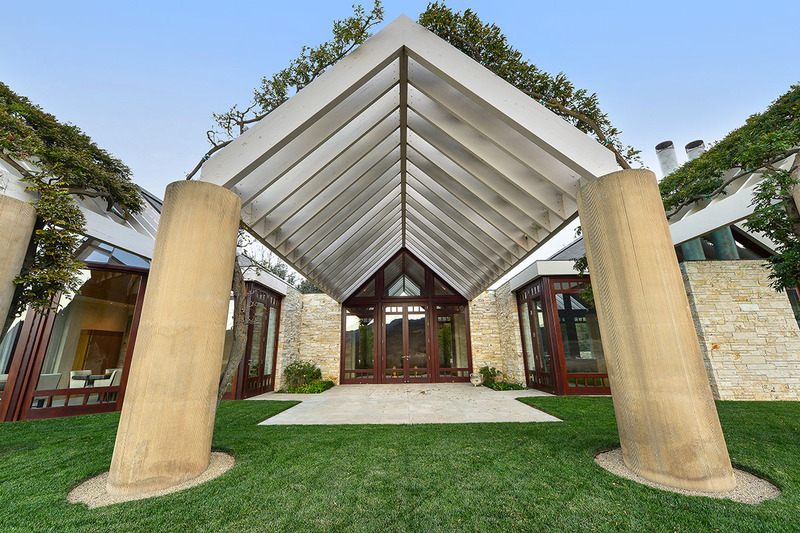 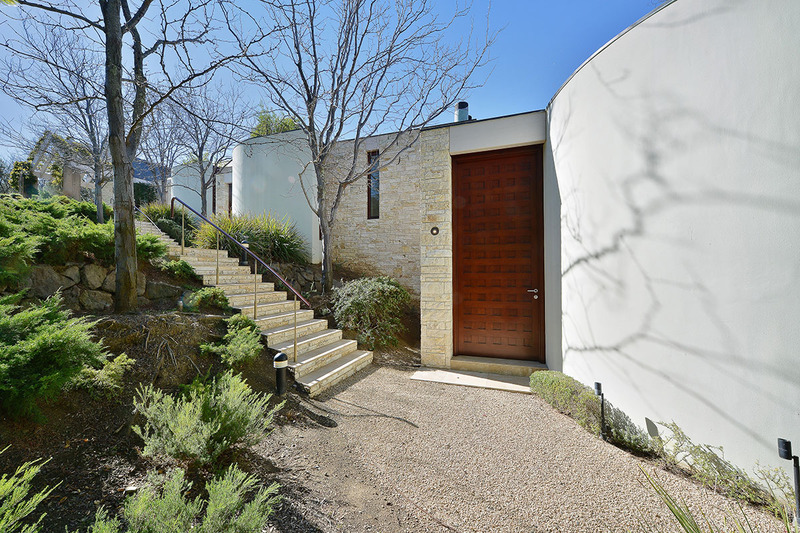 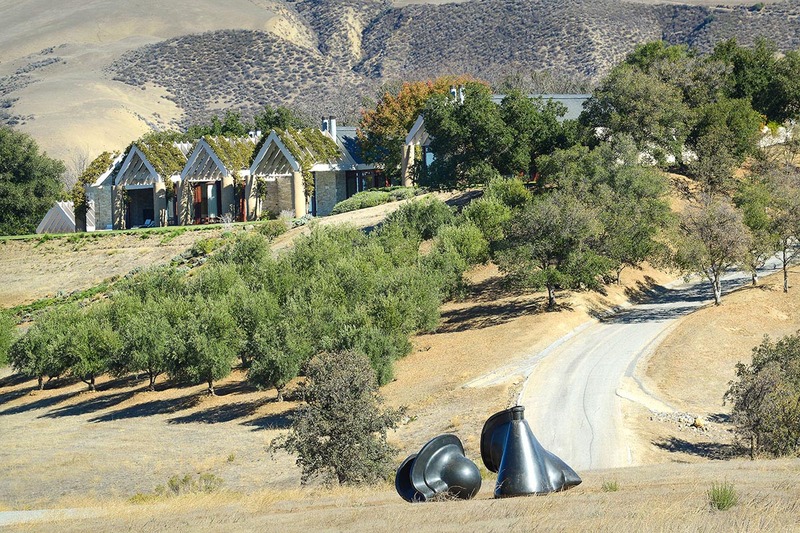 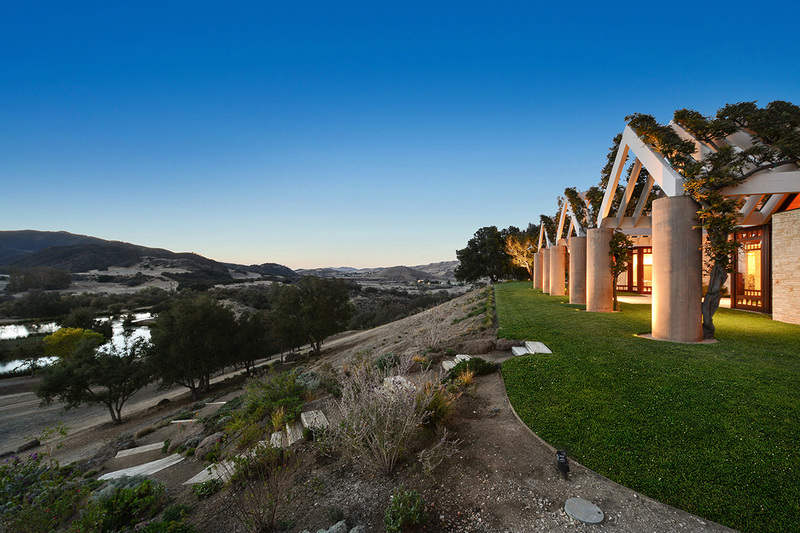 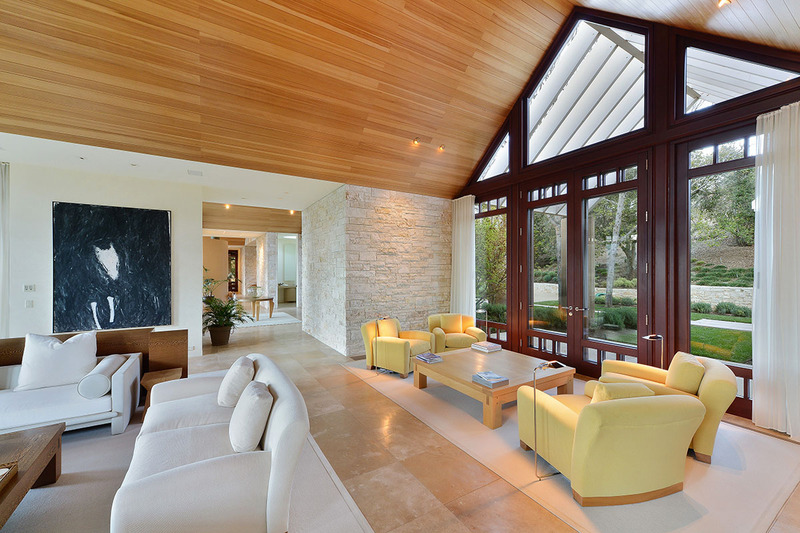 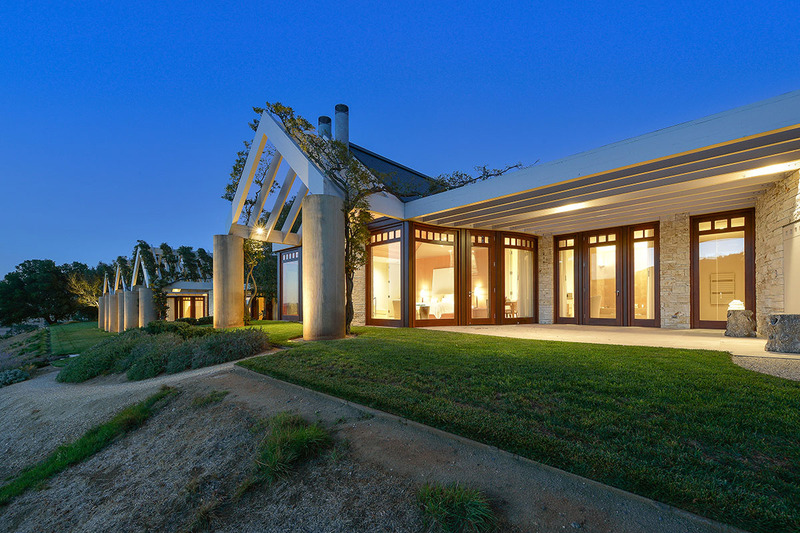 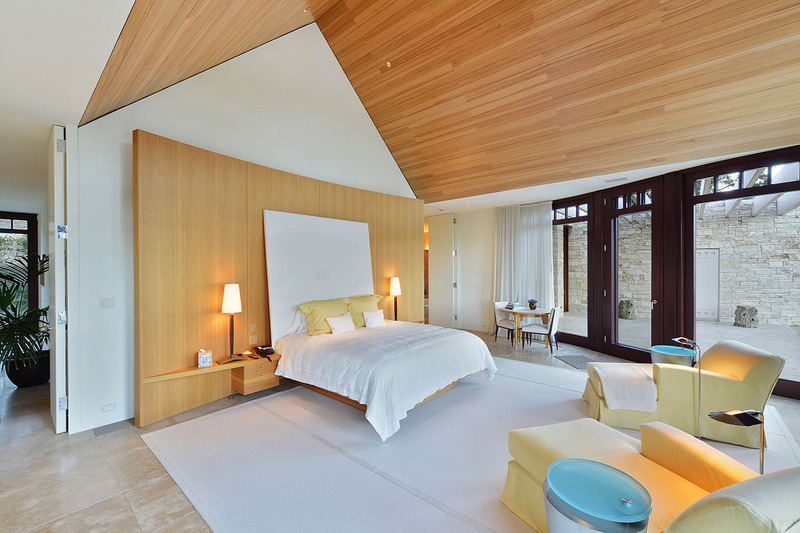 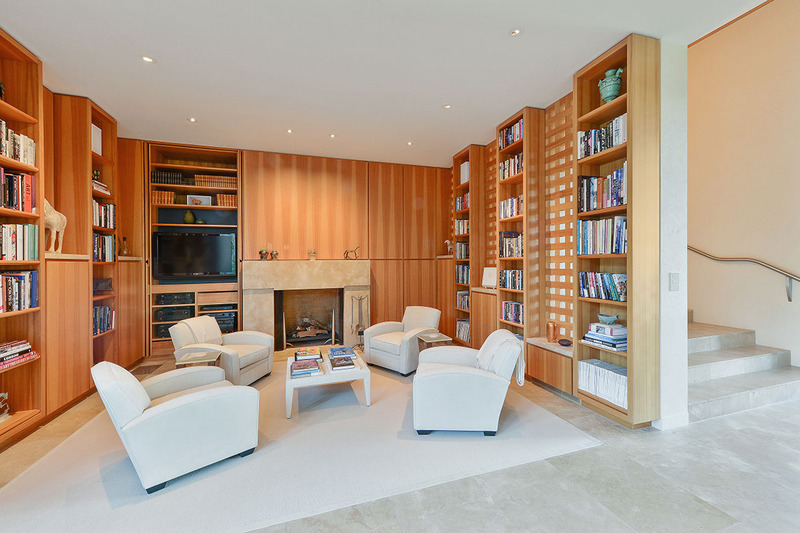 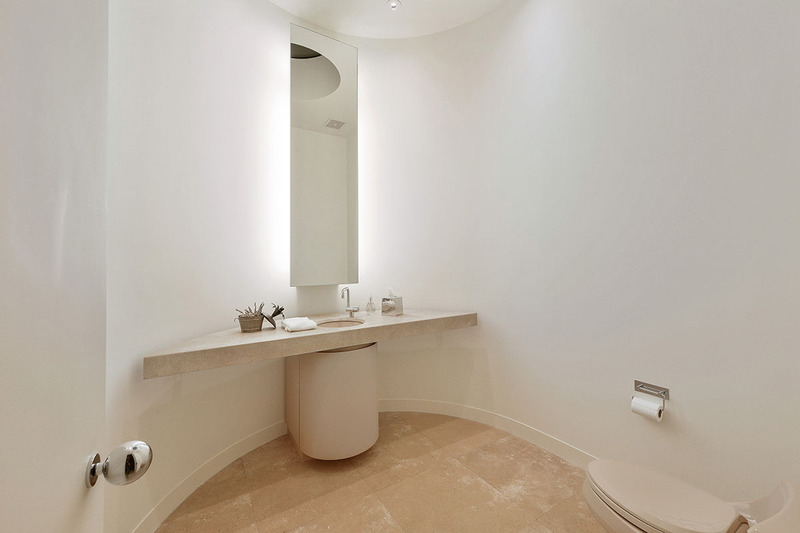 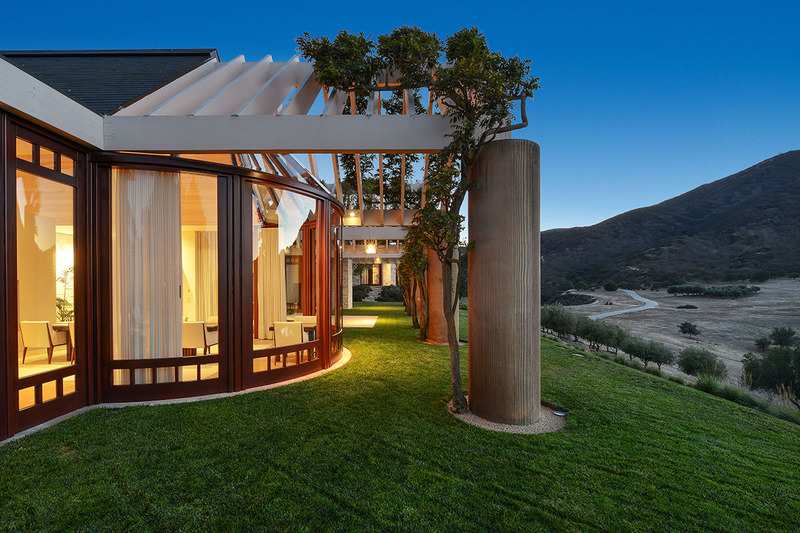 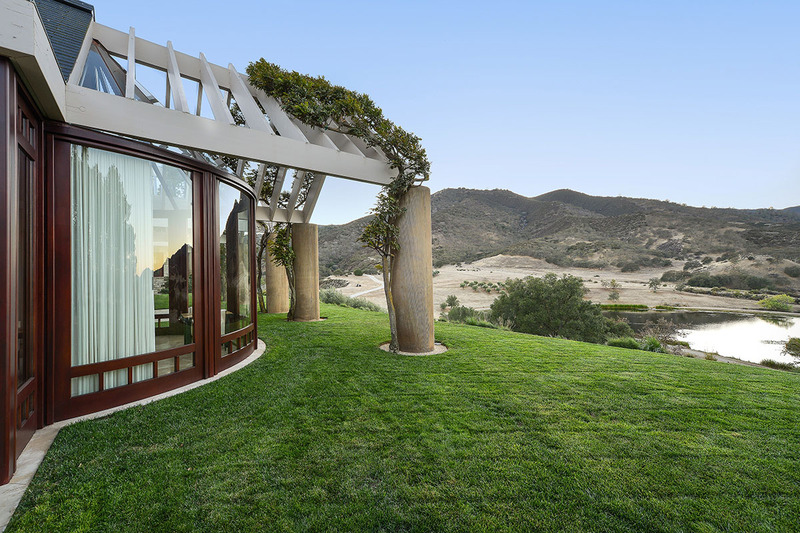 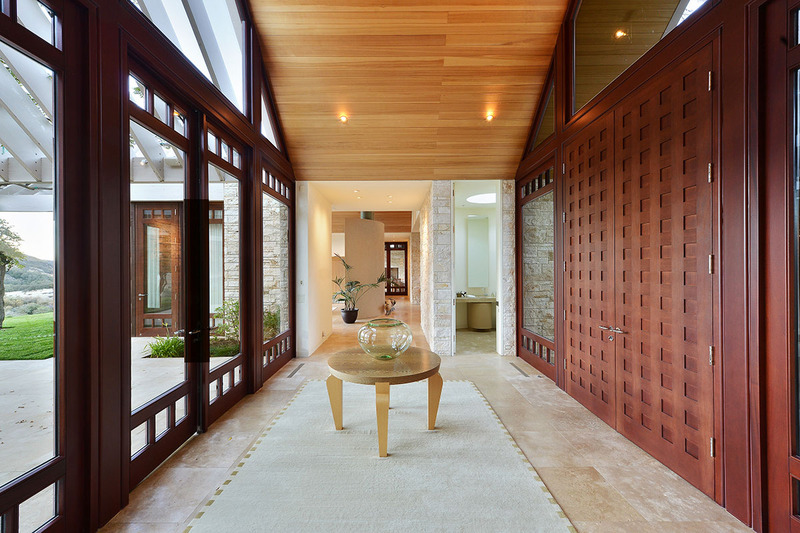 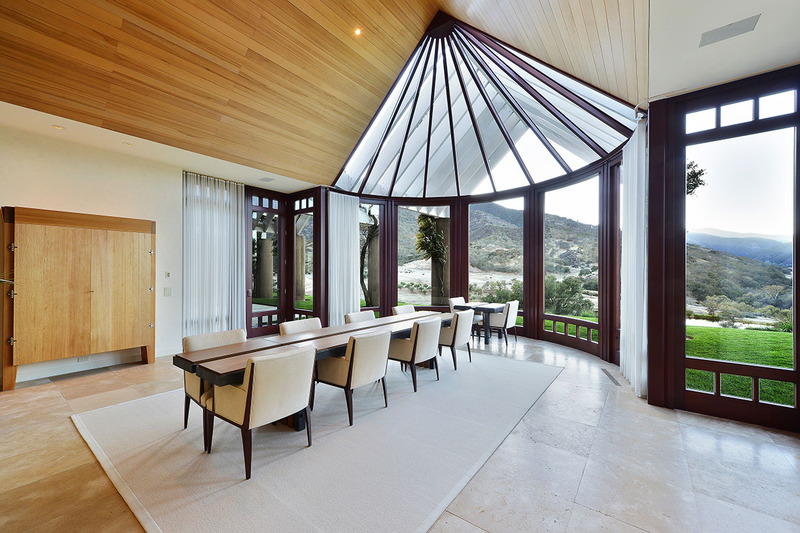 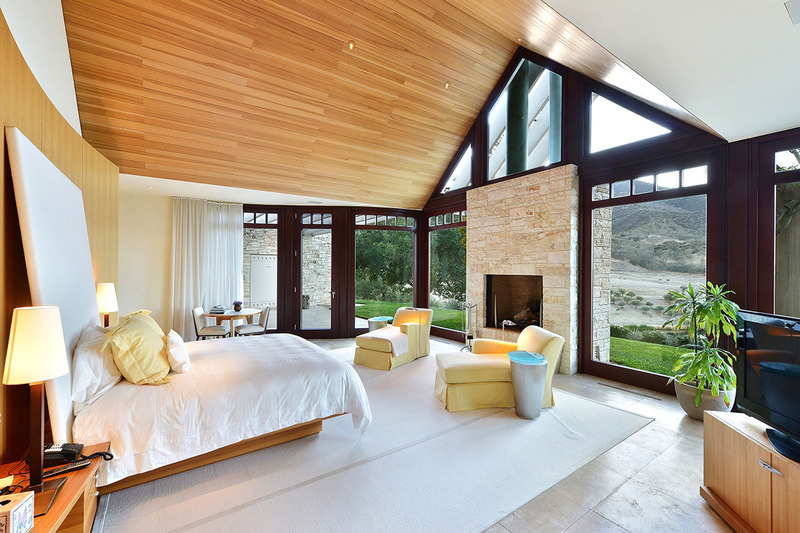 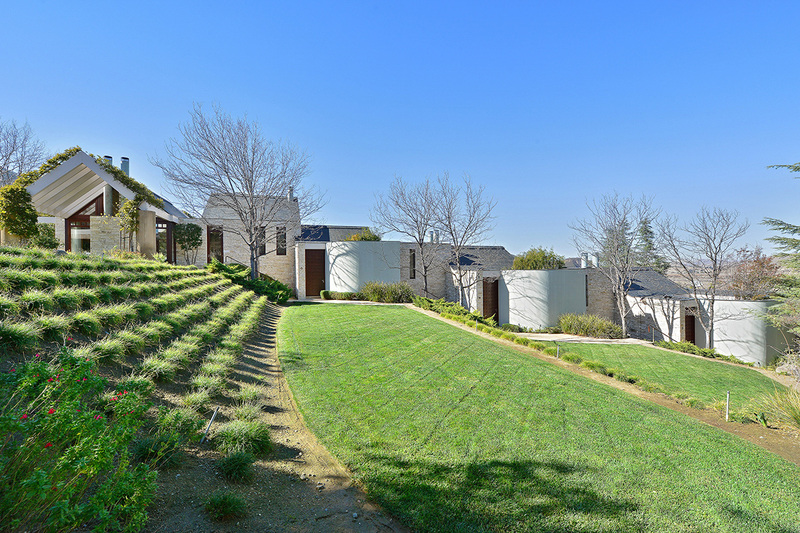 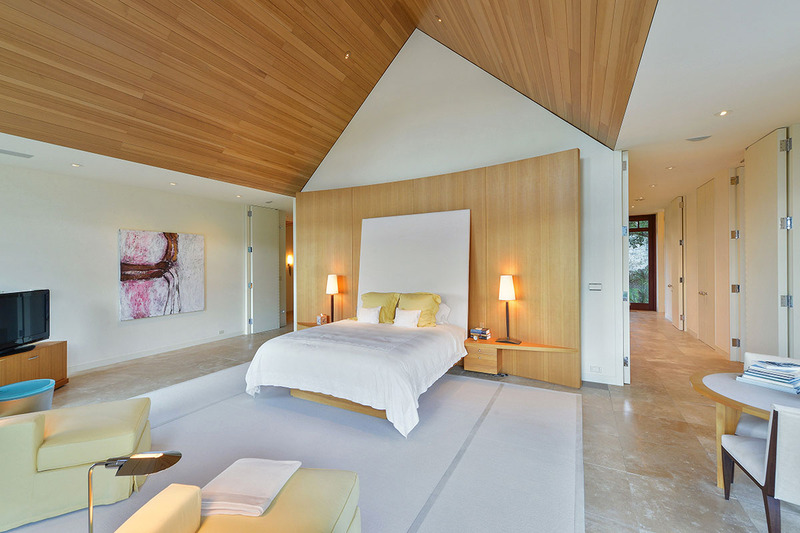 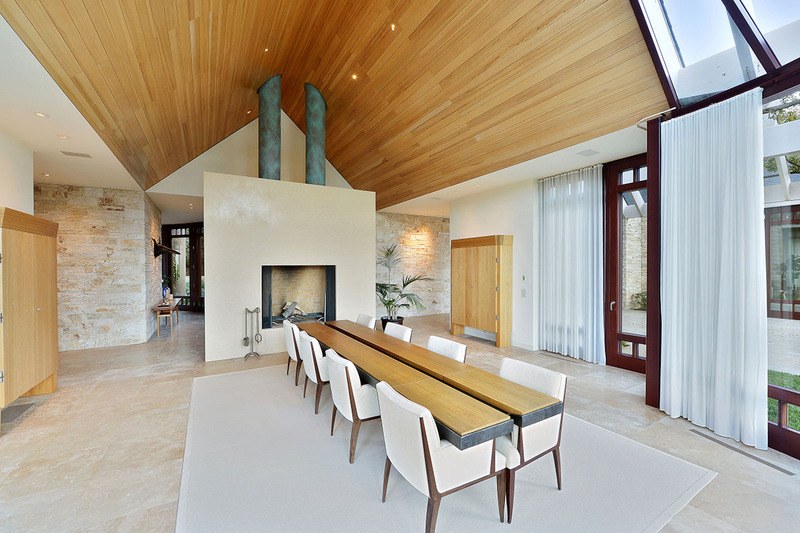 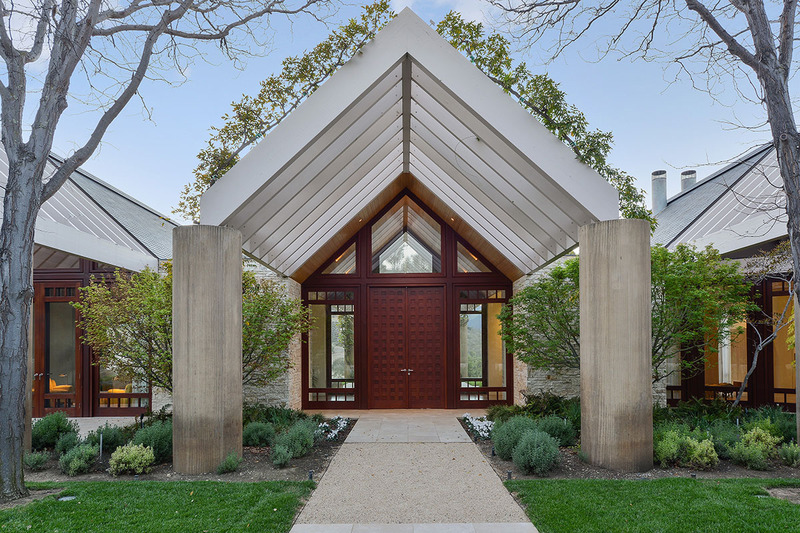 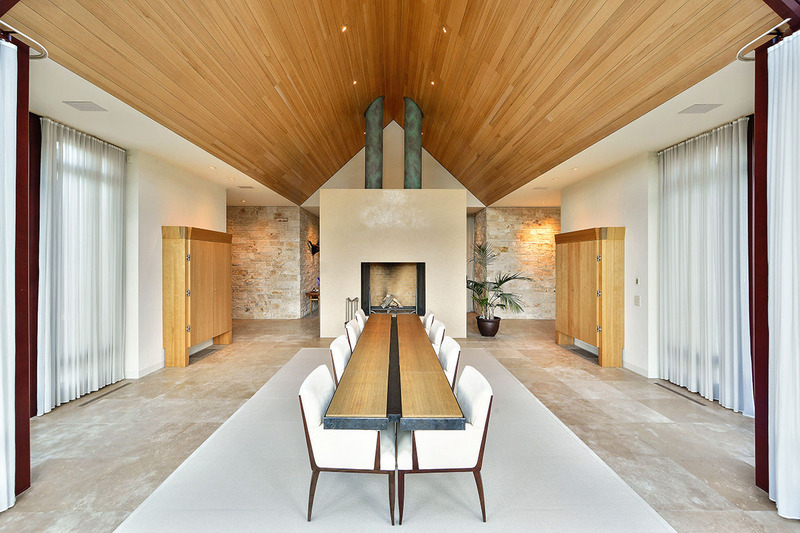 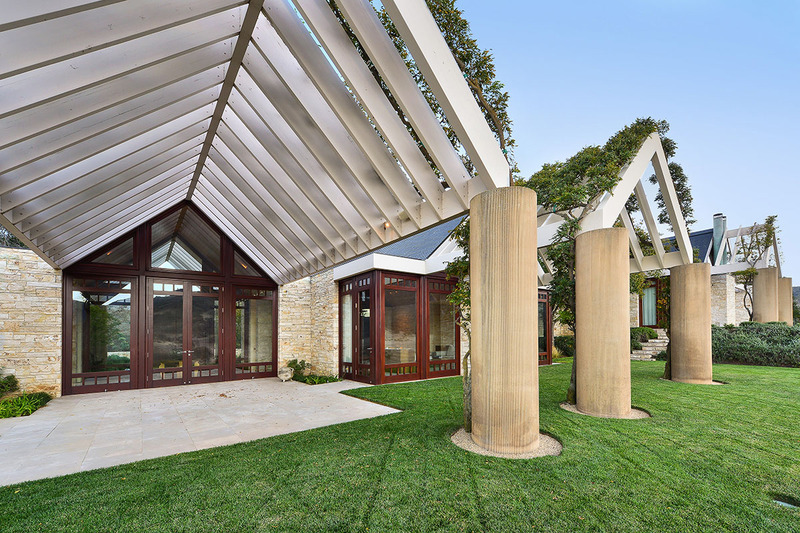 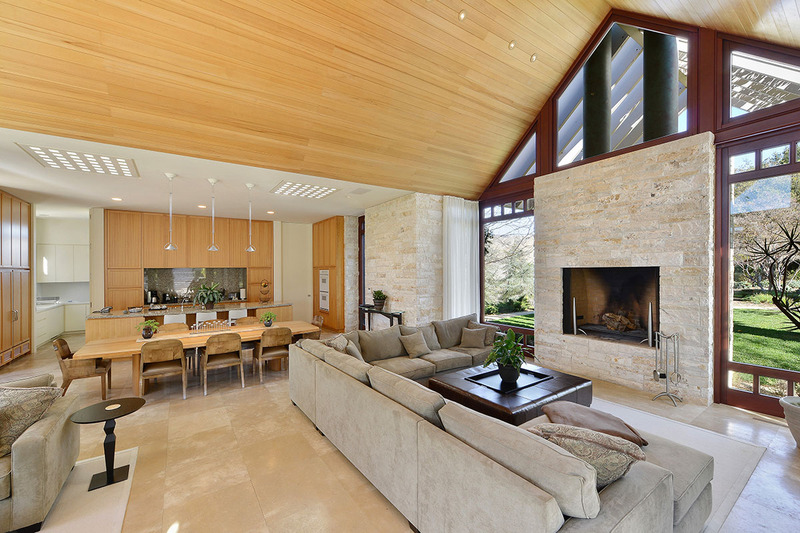 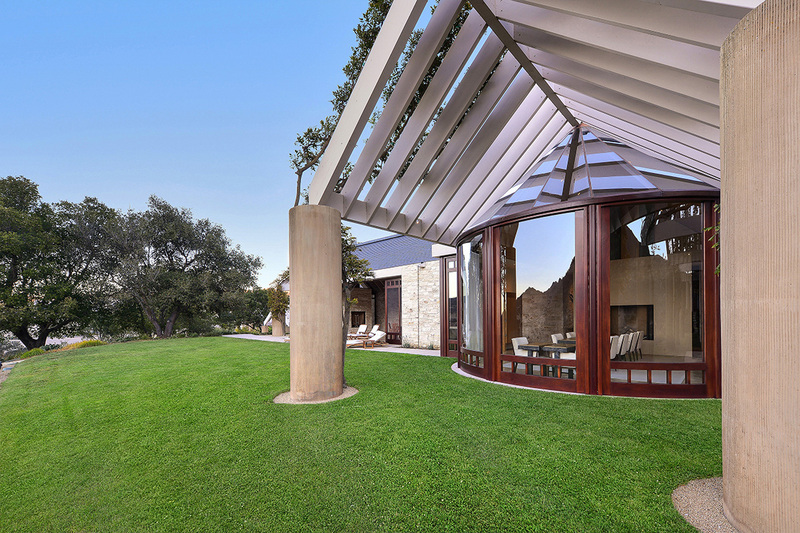 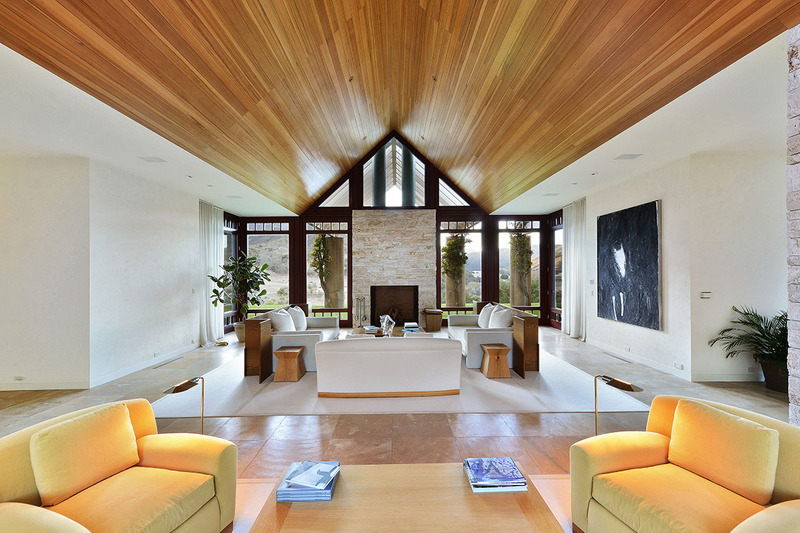 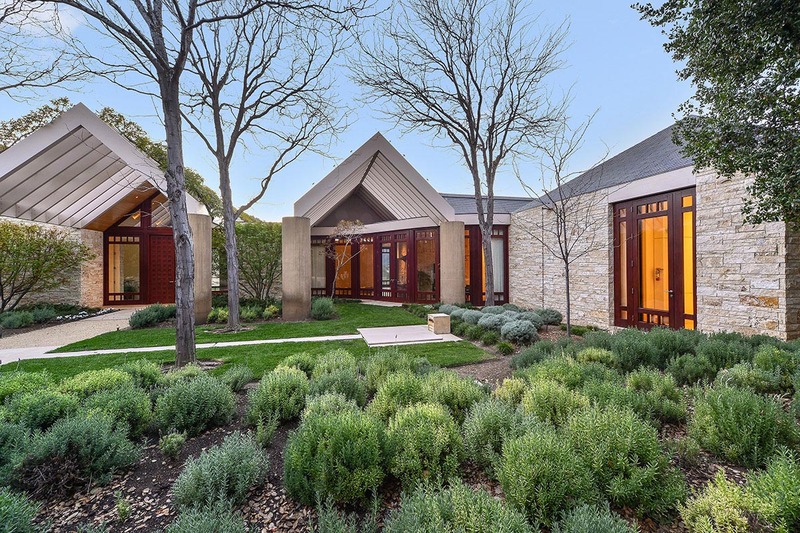 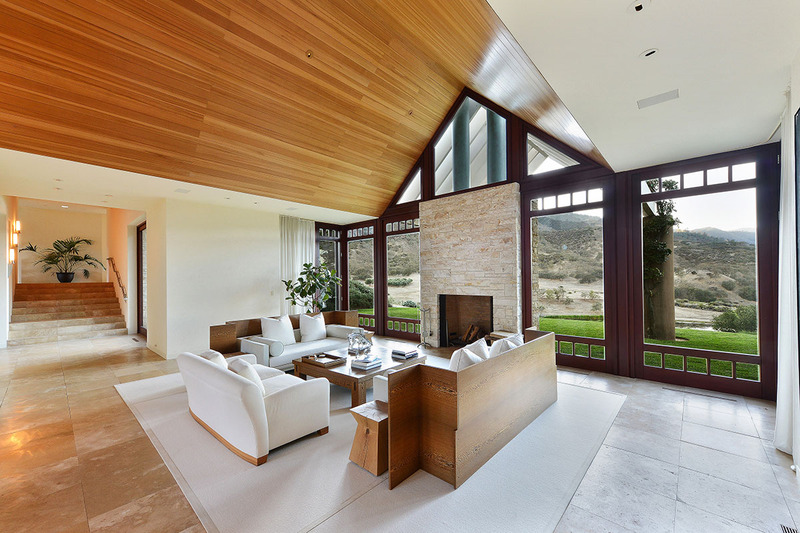 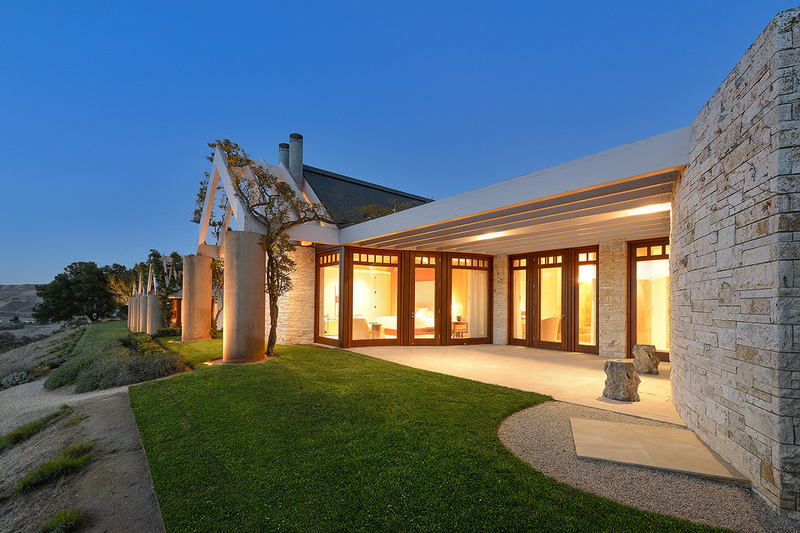 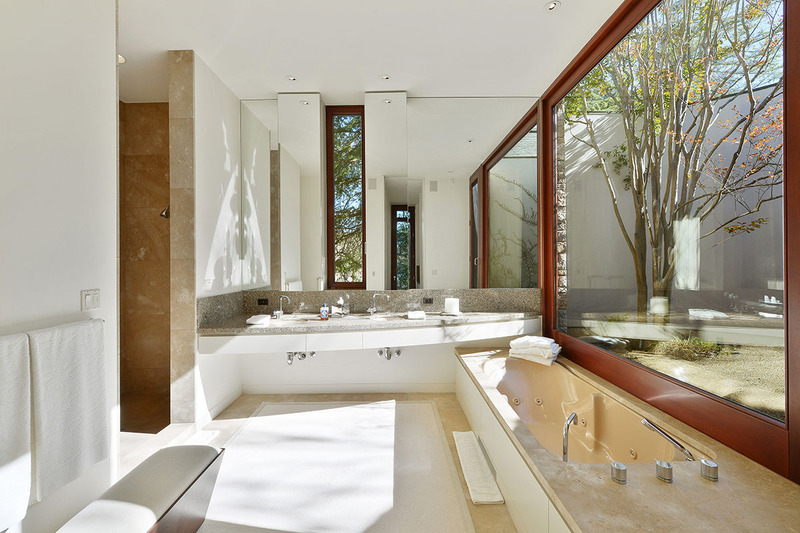 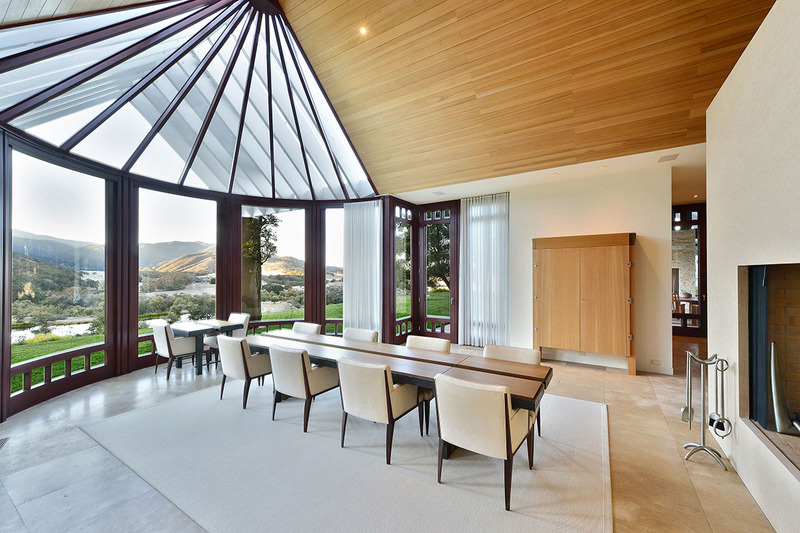 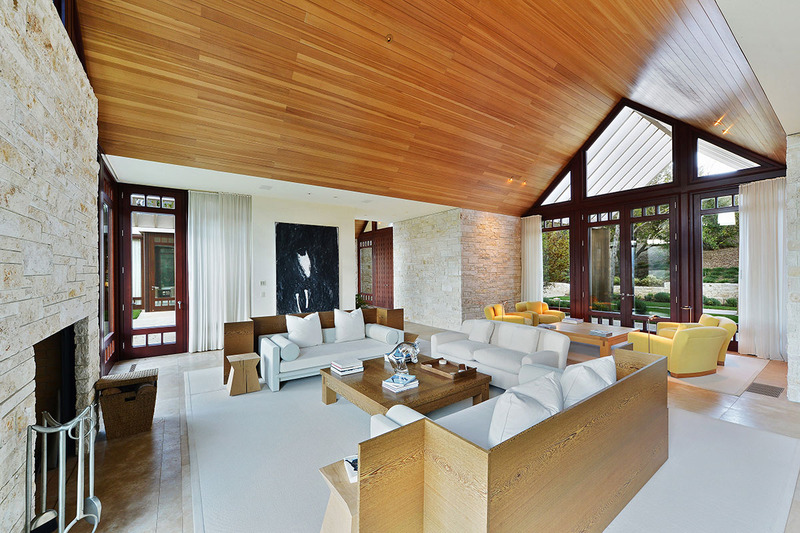 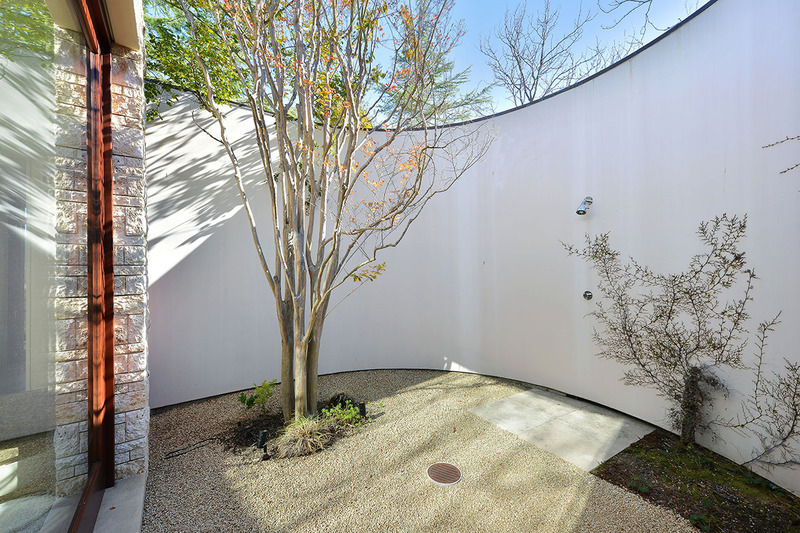 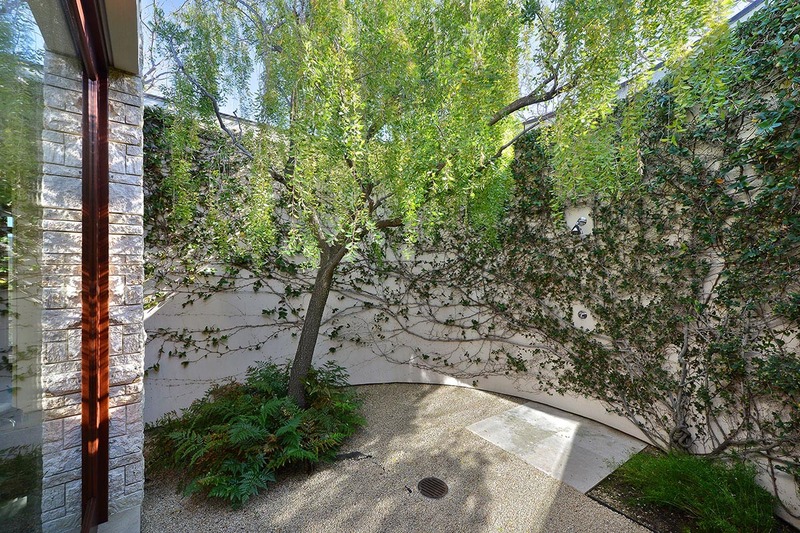 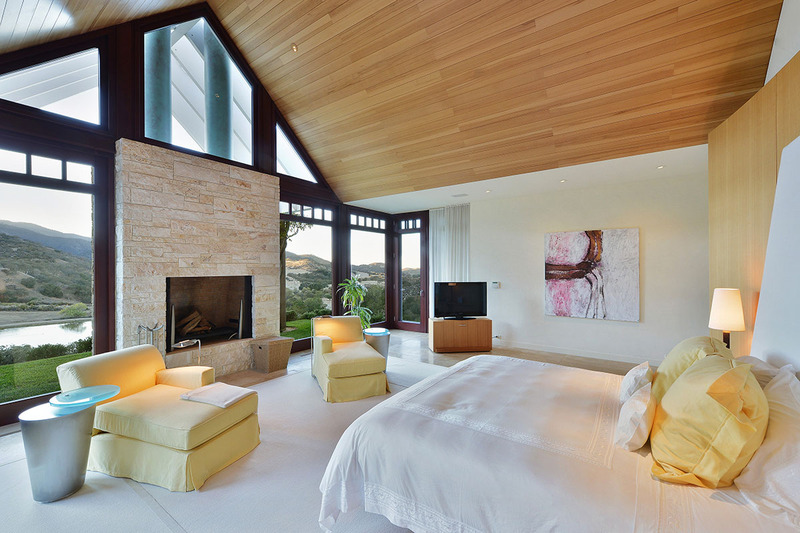 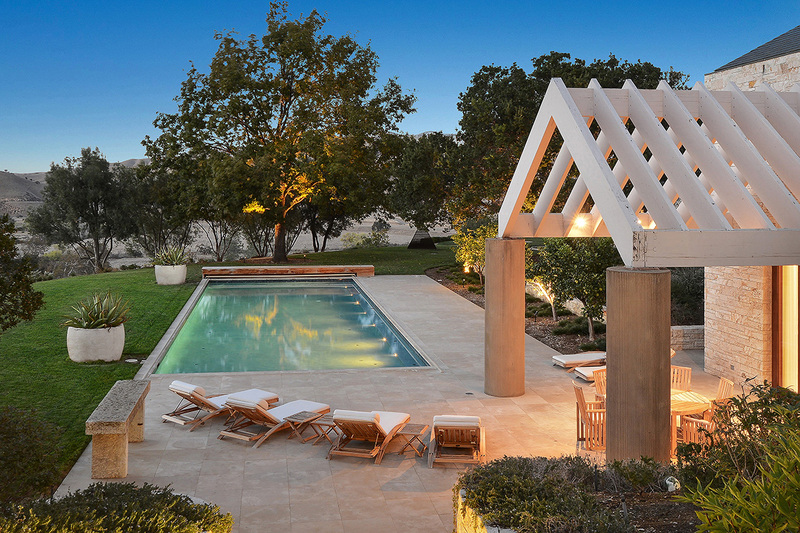 Transcendent retreat designed by noted San Francisco architect Ugo Sap. 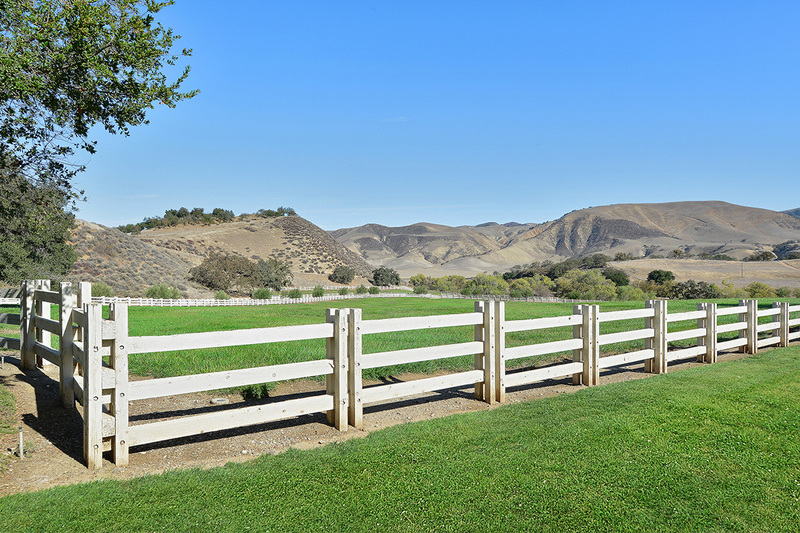 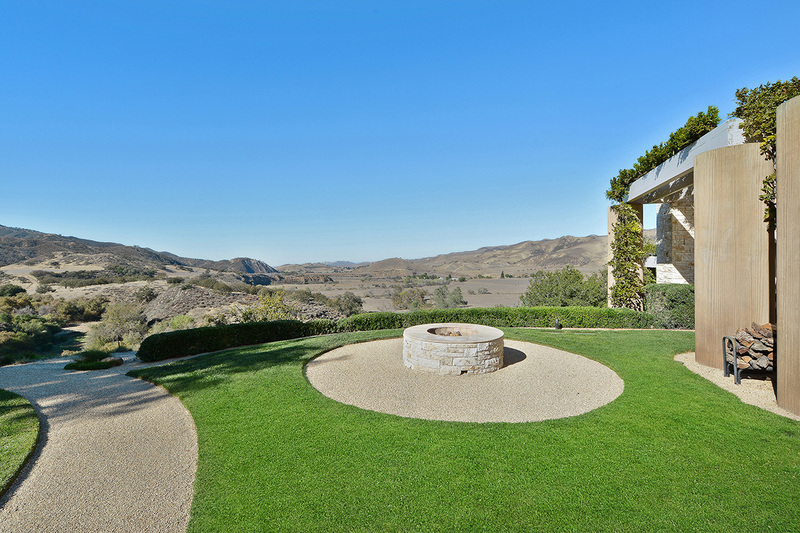 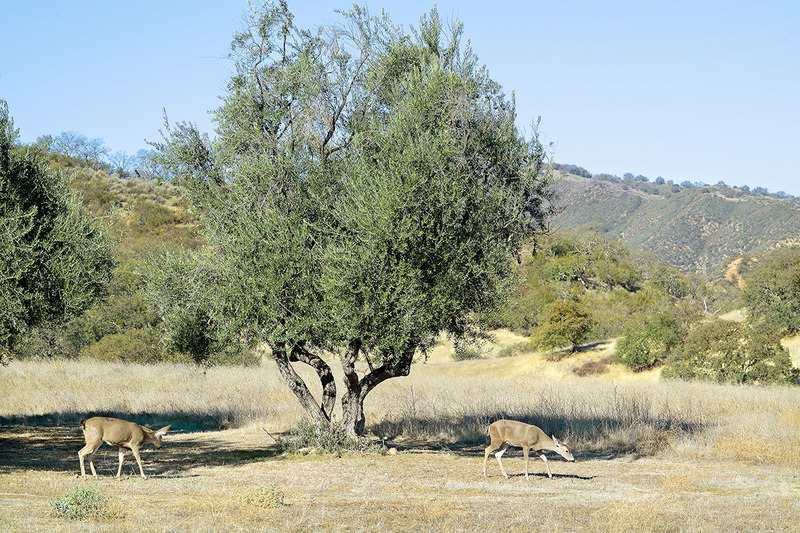 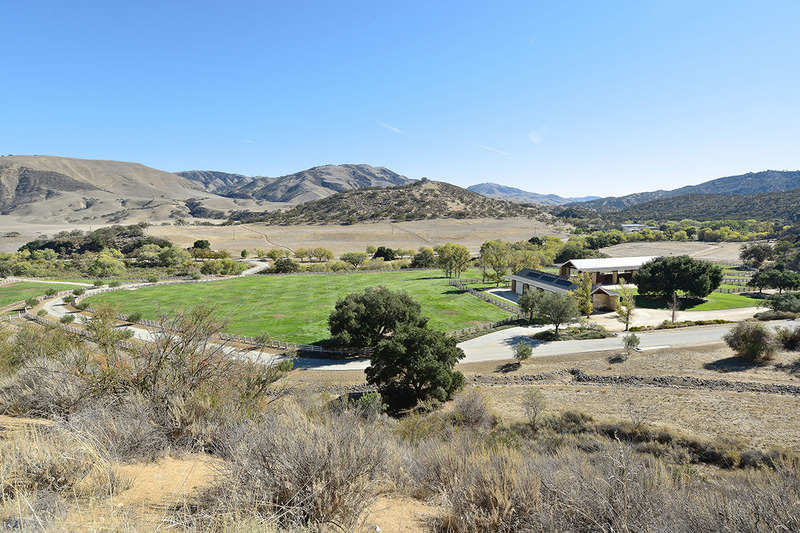 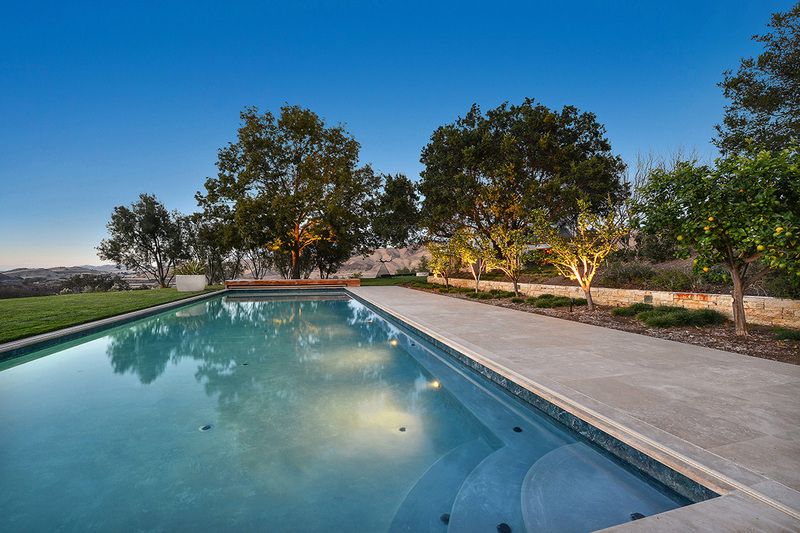 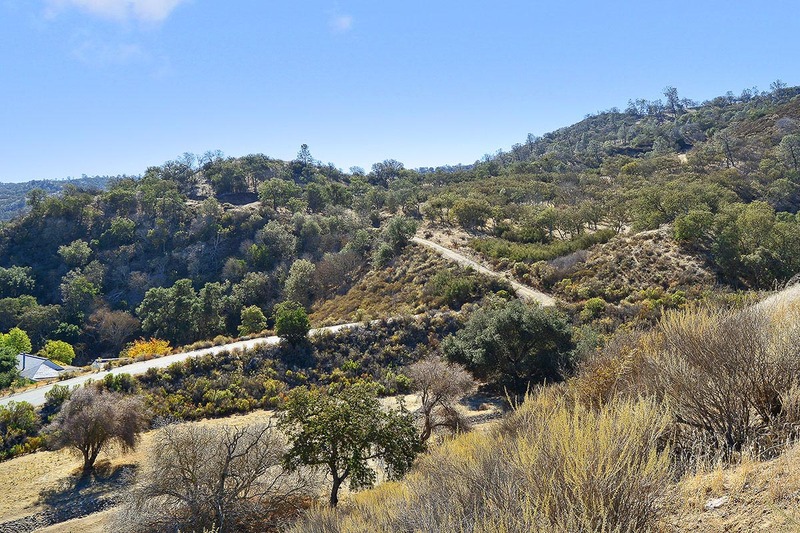 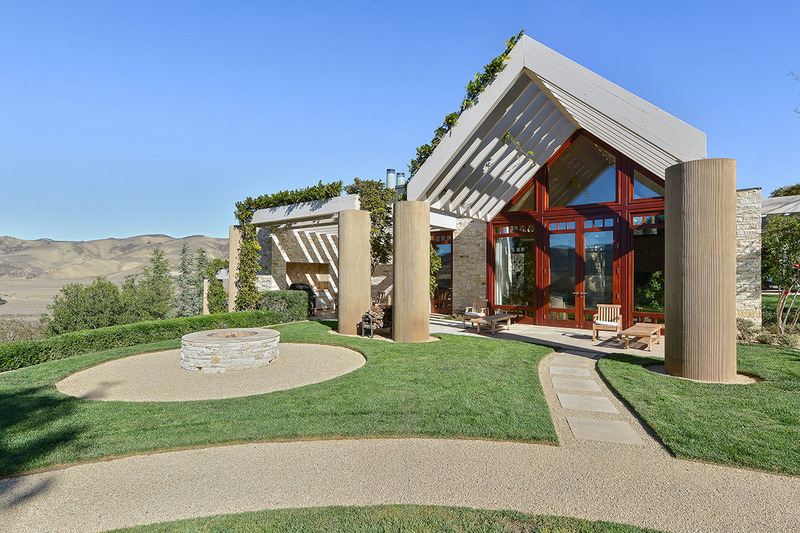 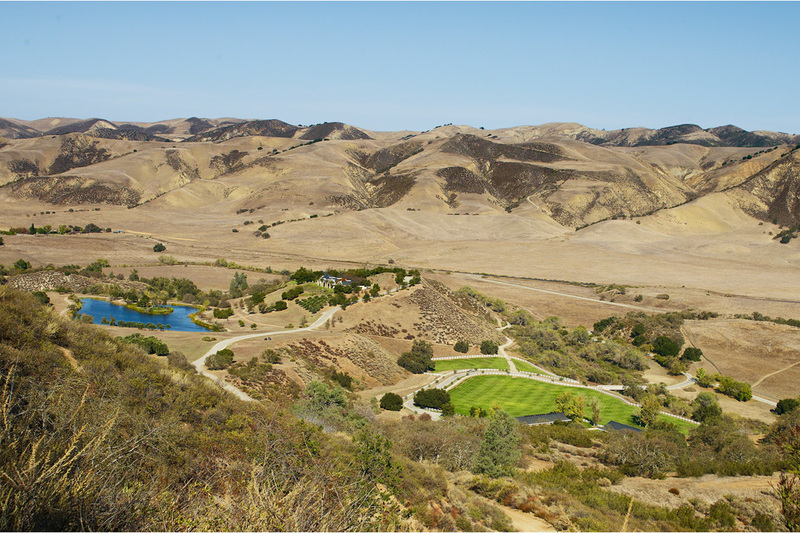 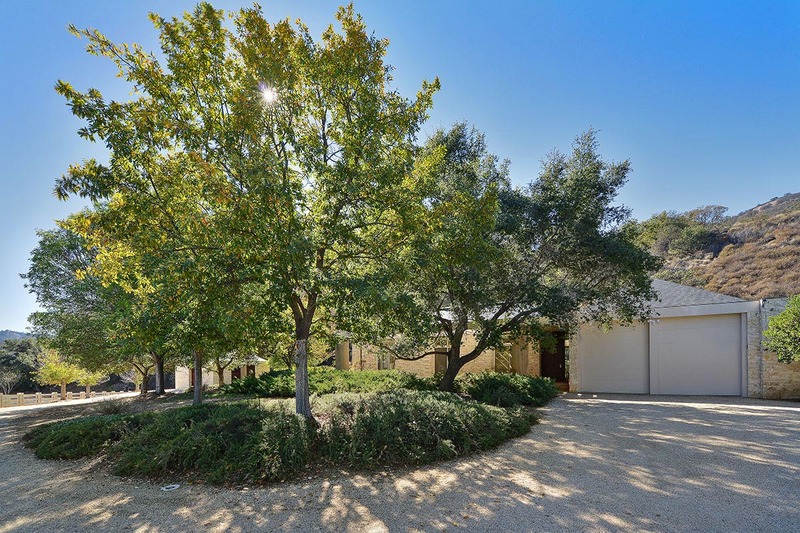 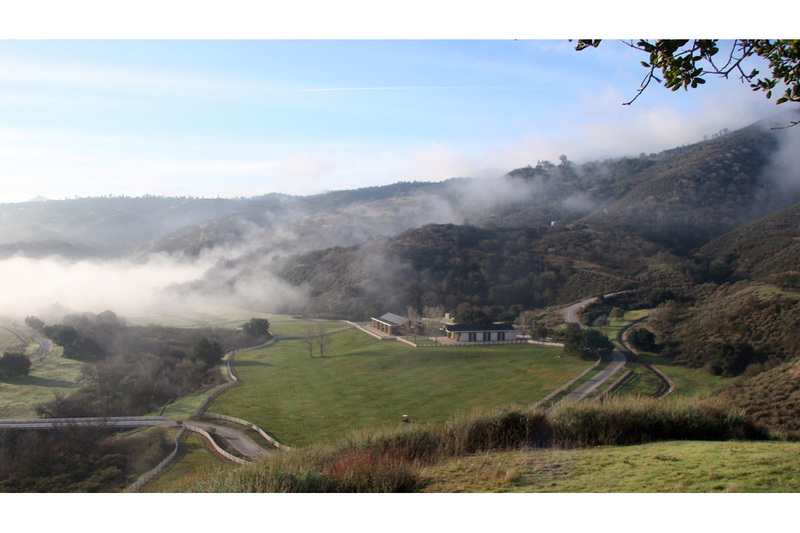 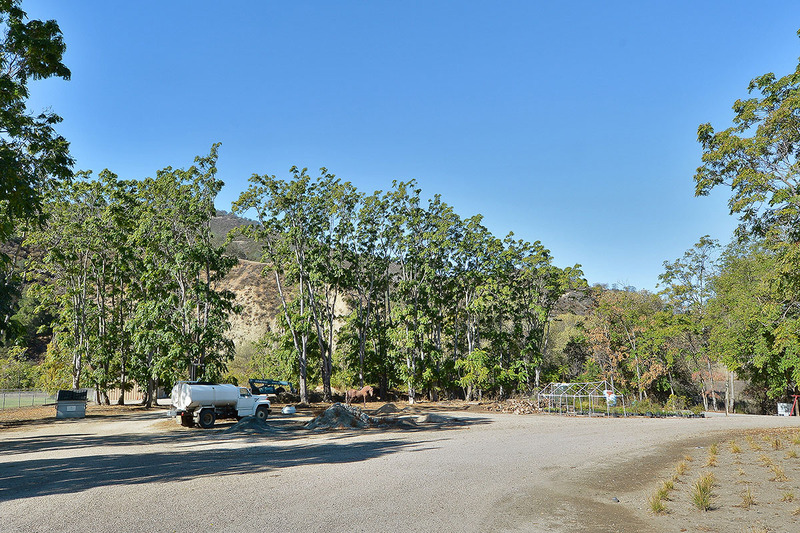 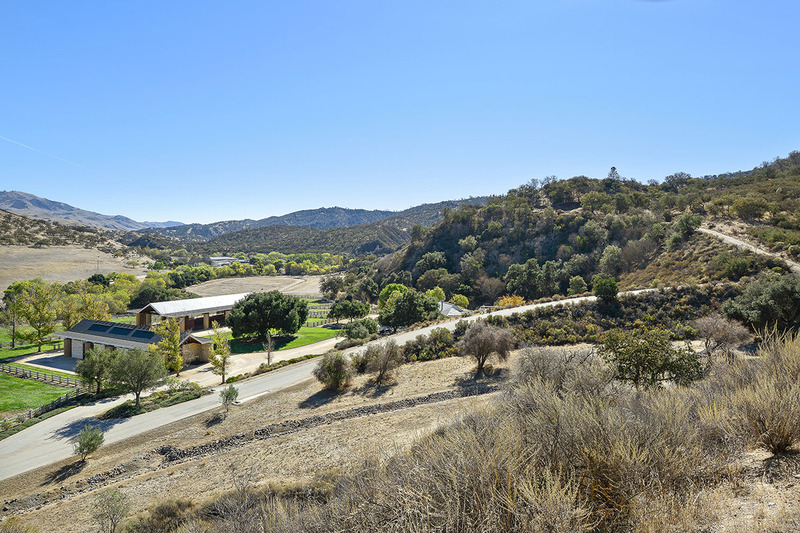 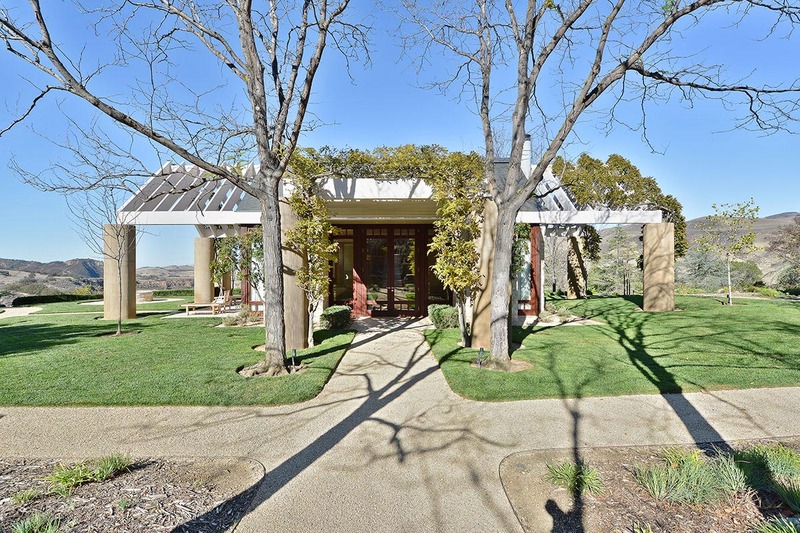 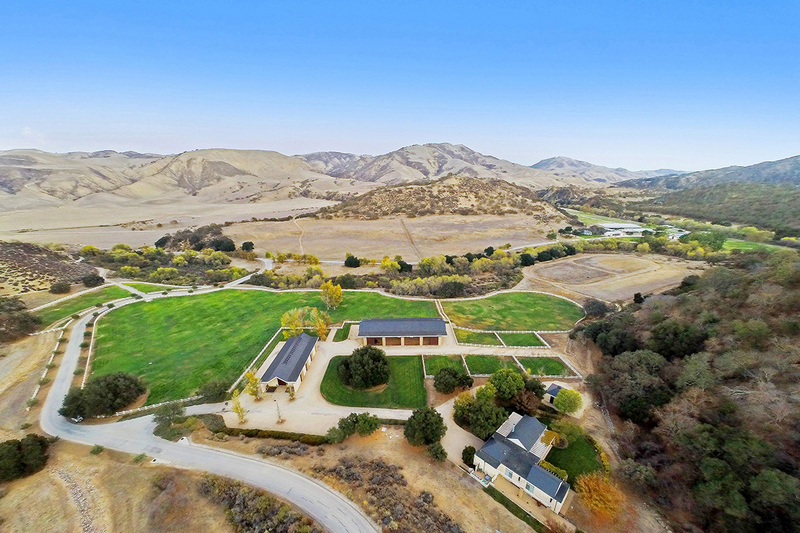 One of California’s premier equestrian ranch properties. 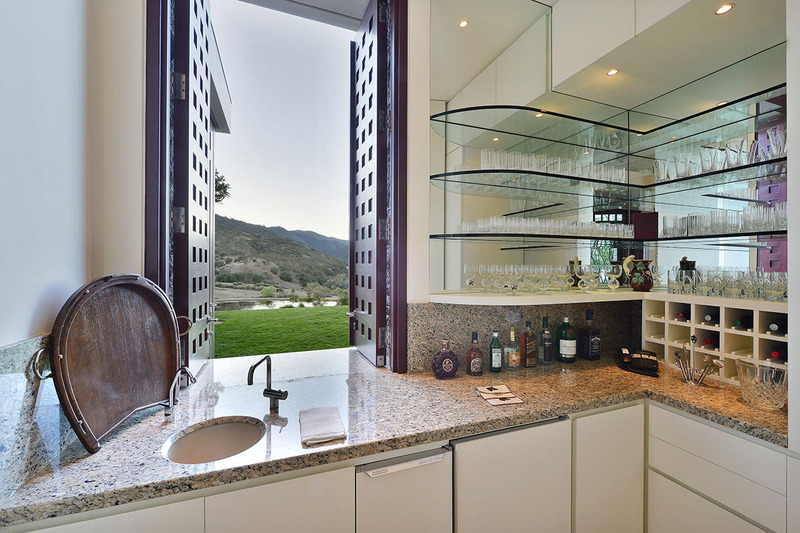 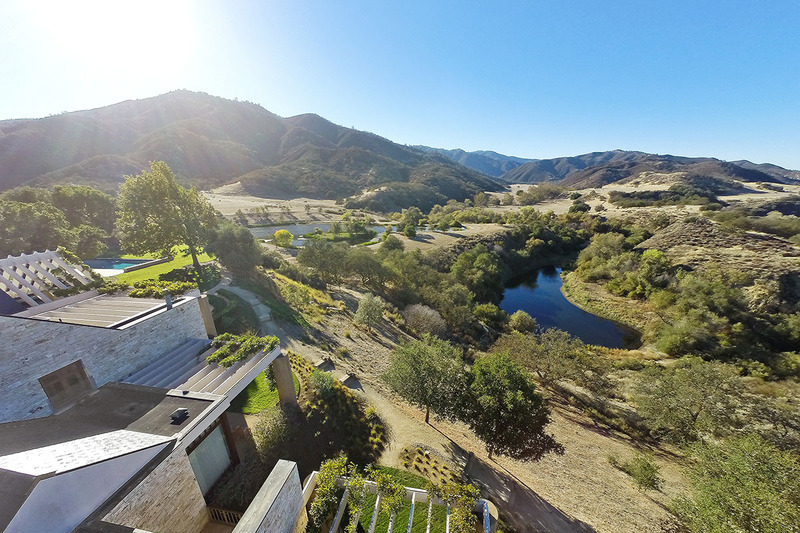 Stunning views, maximum seclusion, and a true communion with nature. 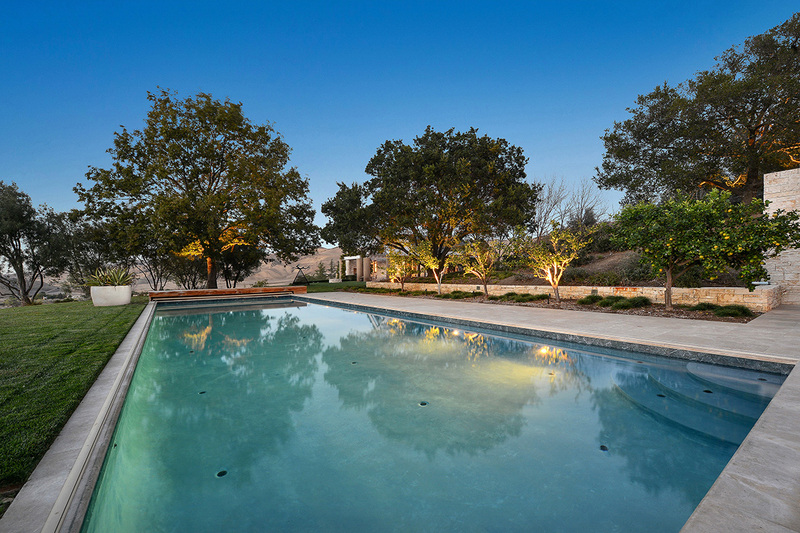 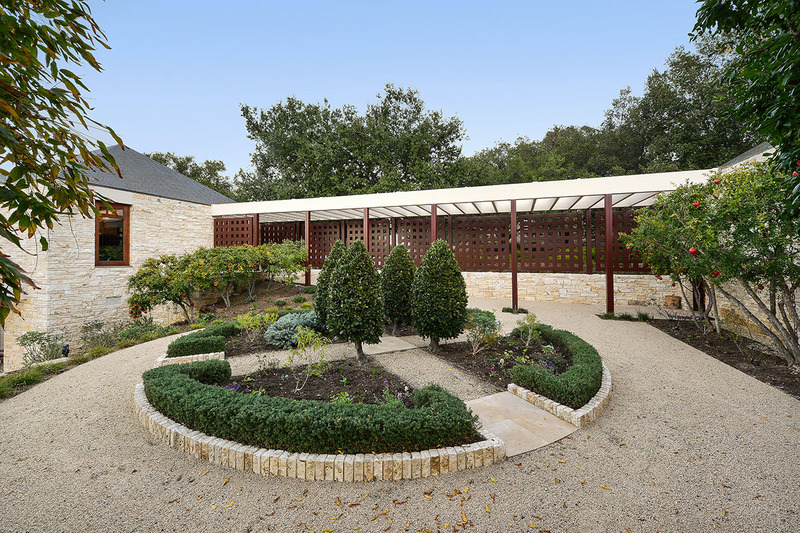 Swimming pool, tennis court, pool house, guest houses, and landscaped gardens. 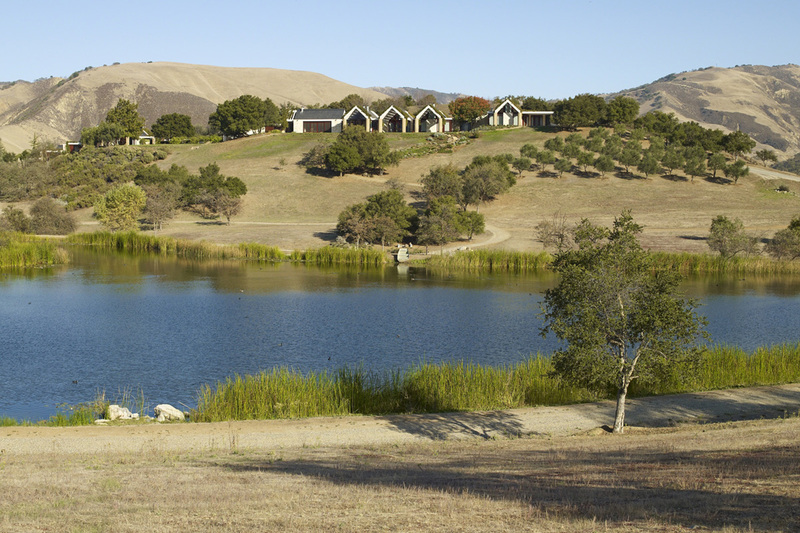 Two lakes, a river, streams, and an endless variety of topographies and natural settings. 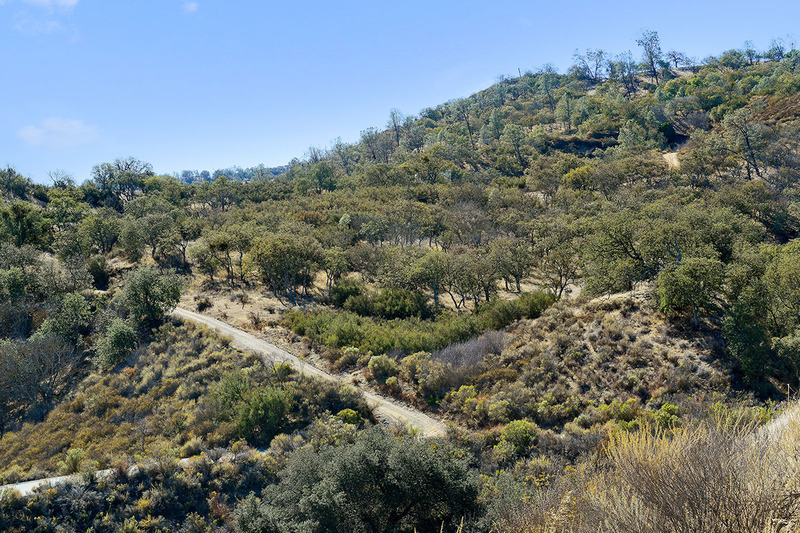 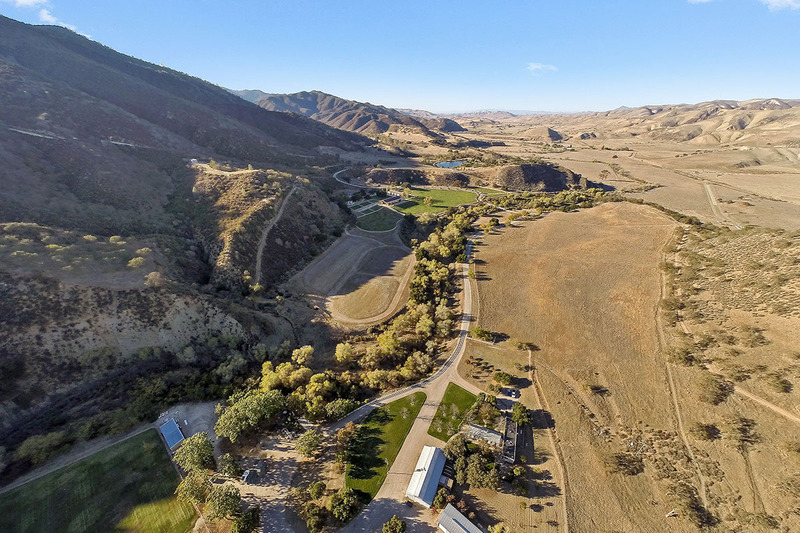 +/-10,000 acres in the verdant San Benito River Valley with abundant agricultural and ranching possibilities. 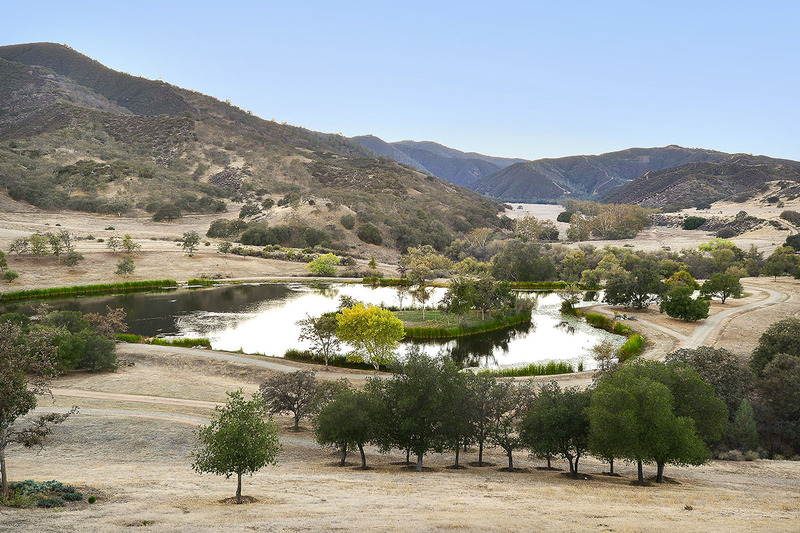 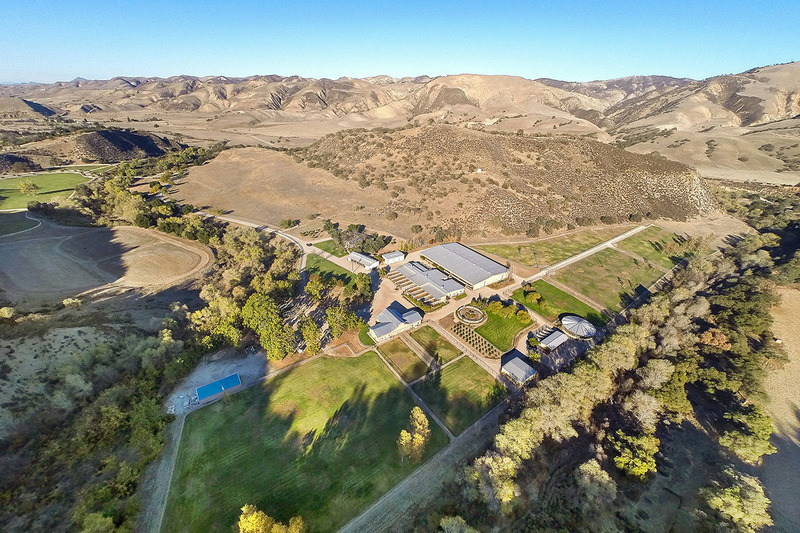 Paicines, California — The +/-10,000 acre Stone Canyon Ranch in the San Benito River Valley has been lovingly developed into one of California’s premier equestrian estate properties. 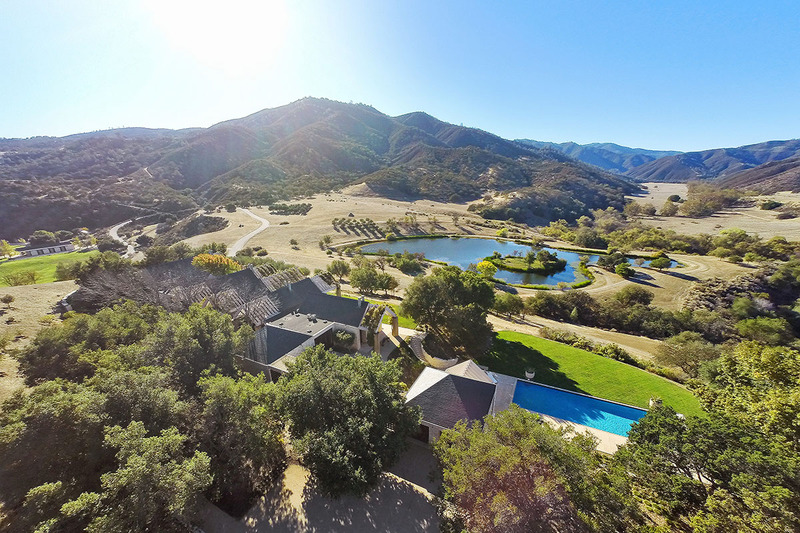 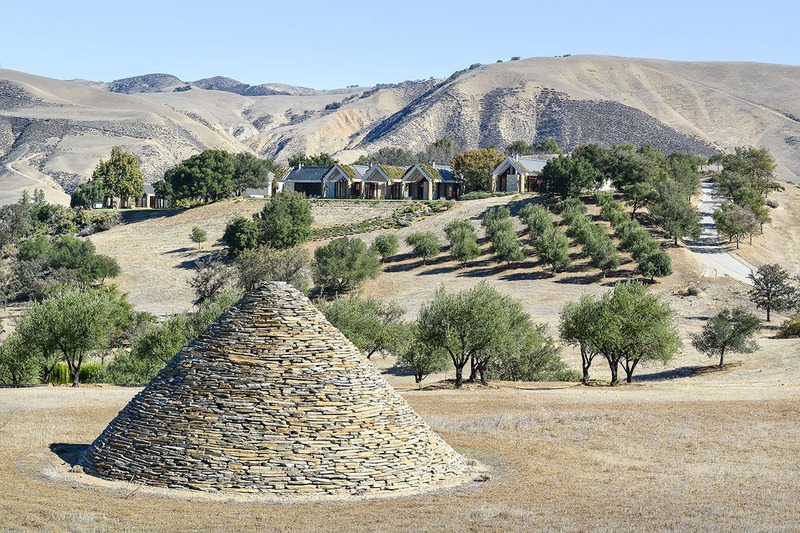 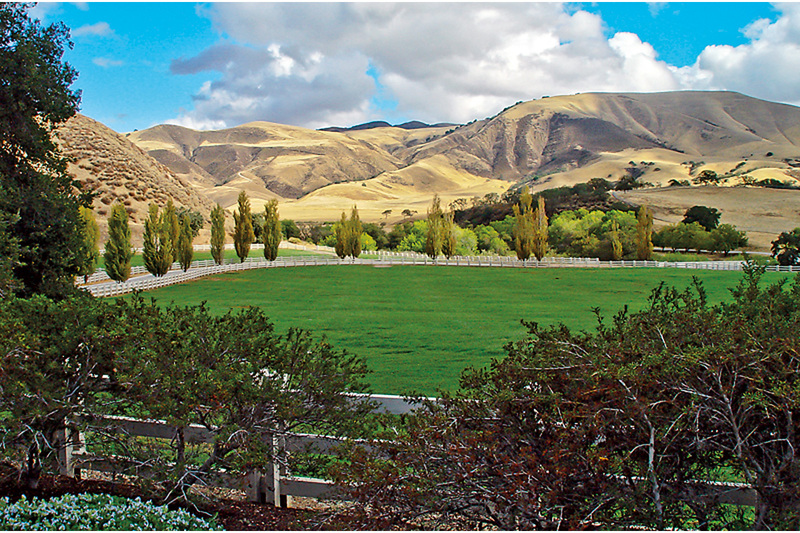 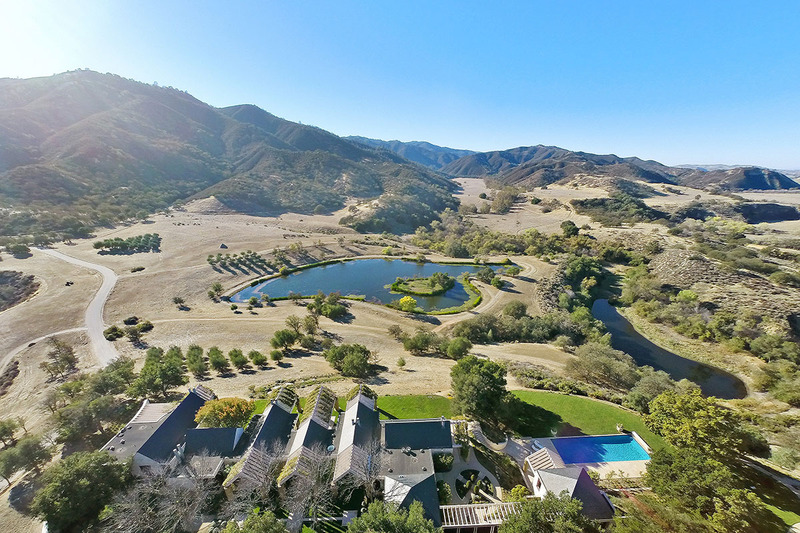 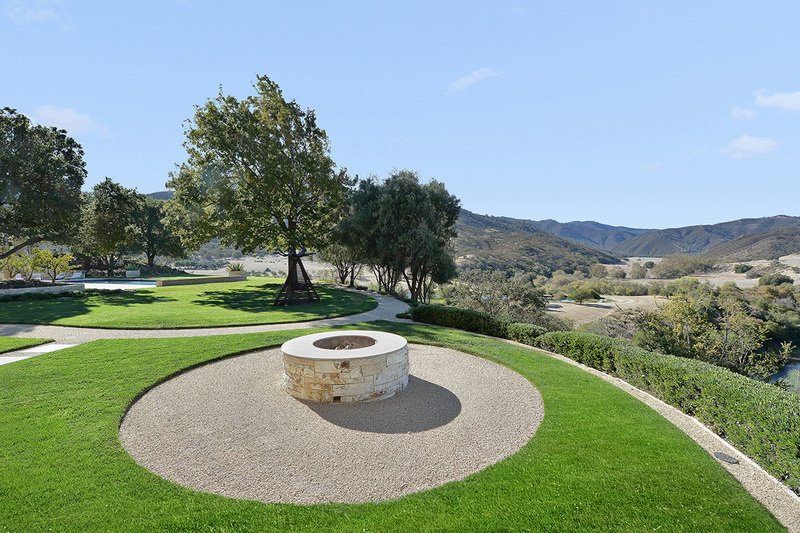 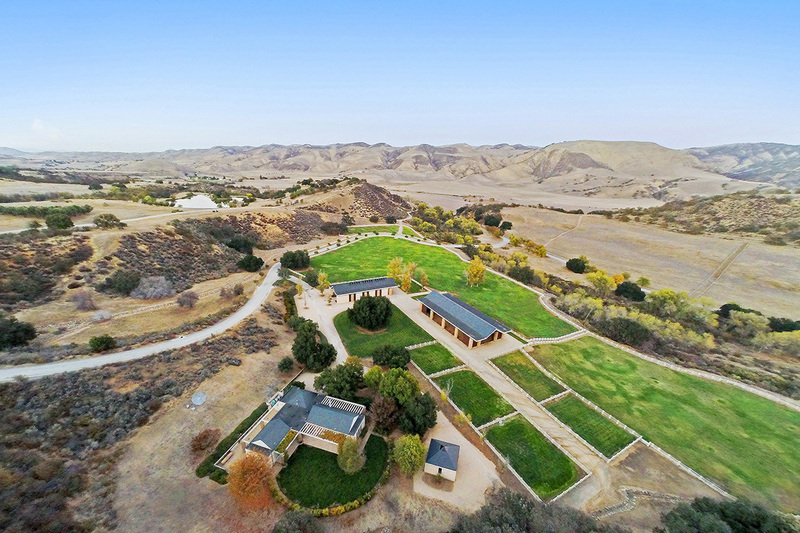 Financier George Roberts acquired the ranch in the 1990s expressly for his late wife, Leanne, who was an award-winning equestrian and horse breeder, and the property’s many amenities reflect the highest standards in landscaping, construction, and facilities for the horseman. 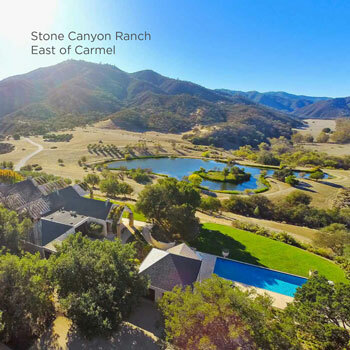 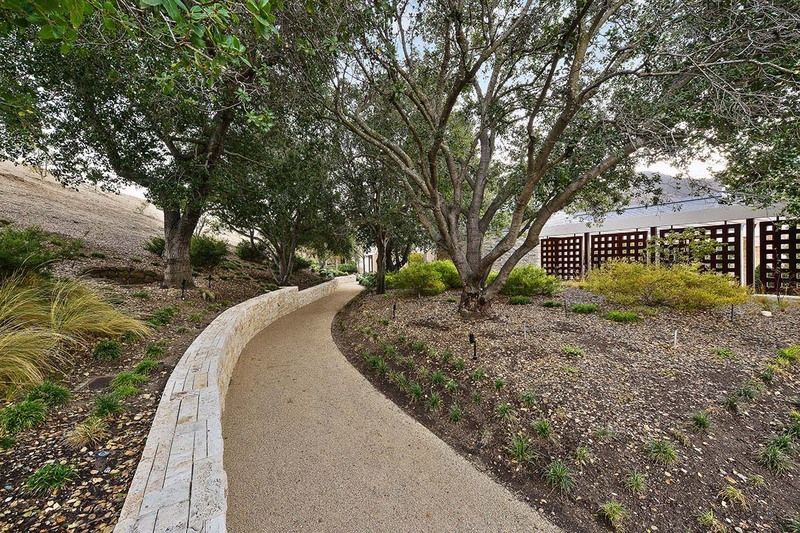 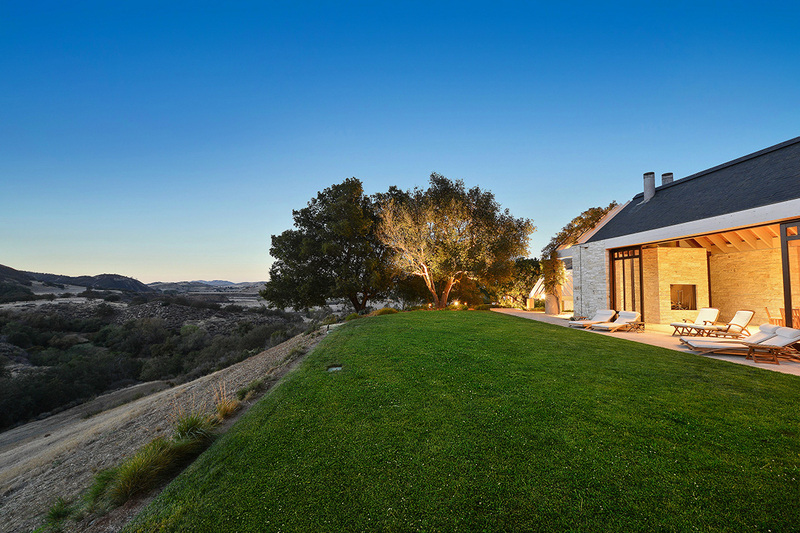 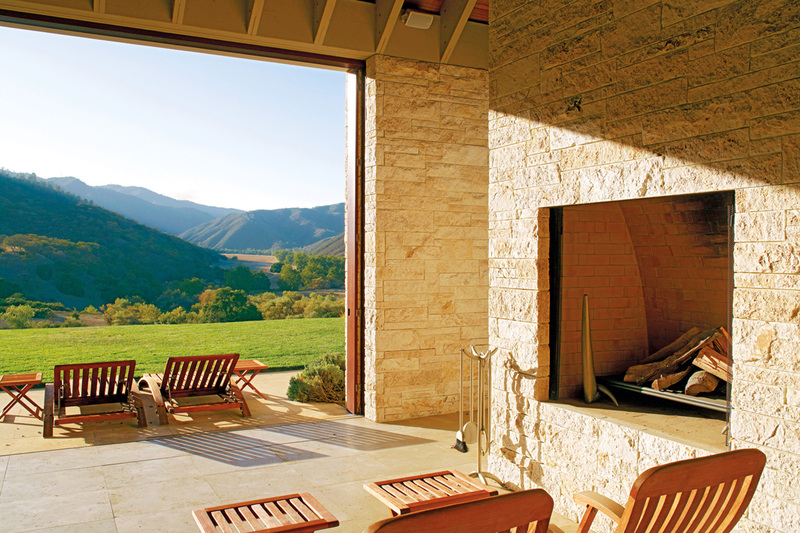 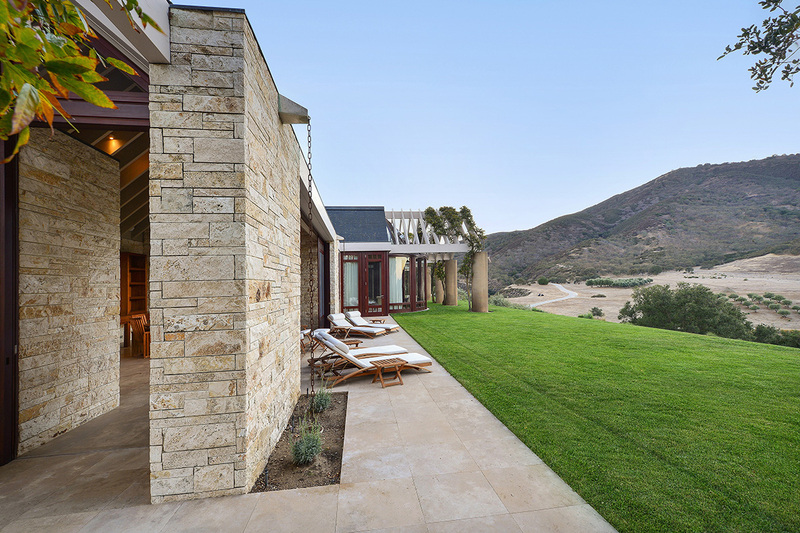 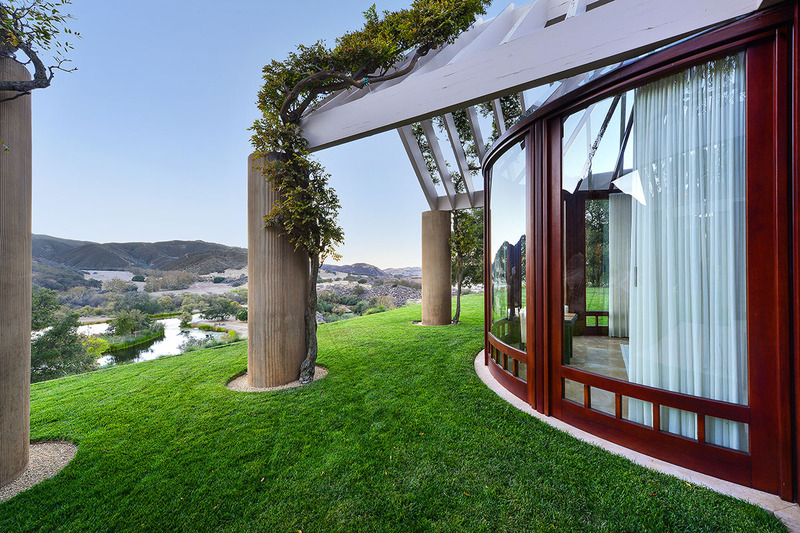 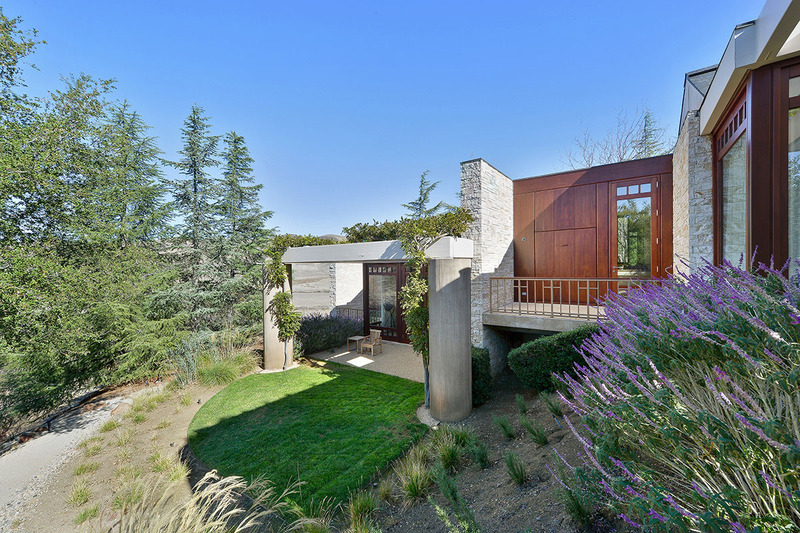 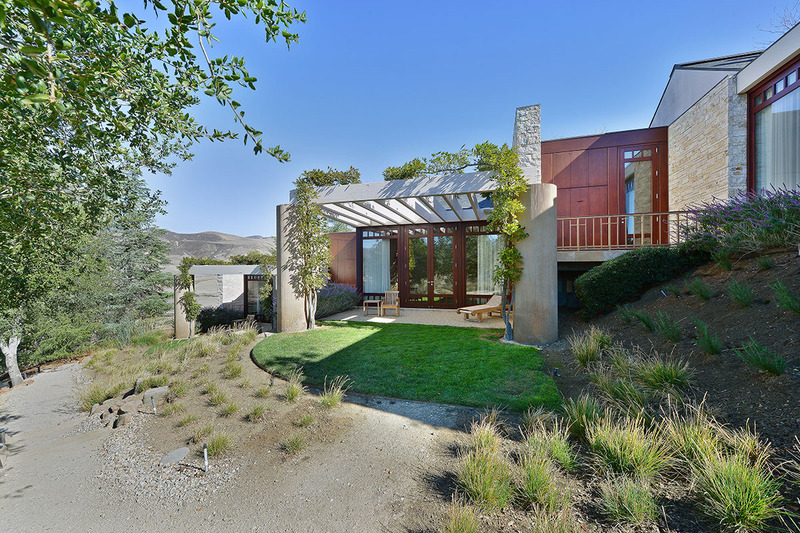 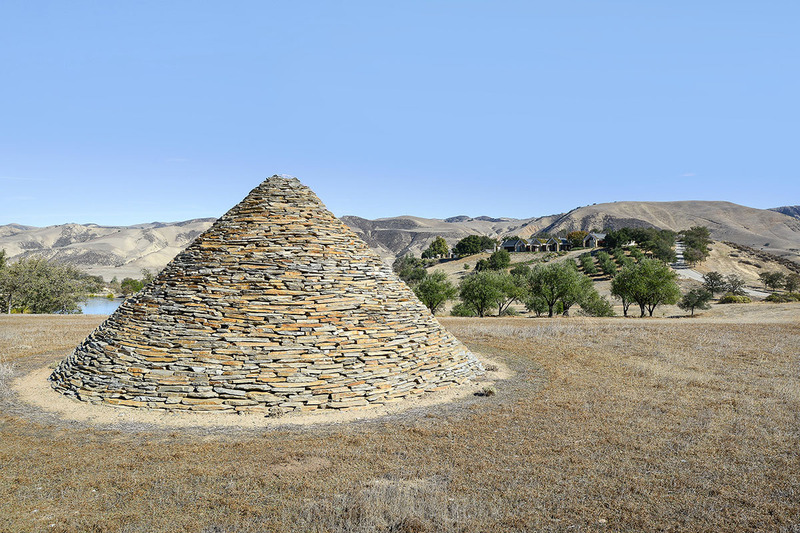 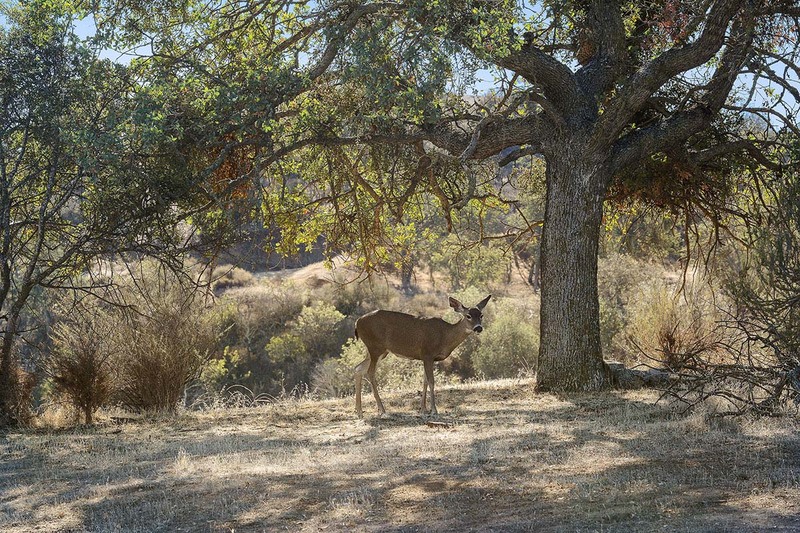 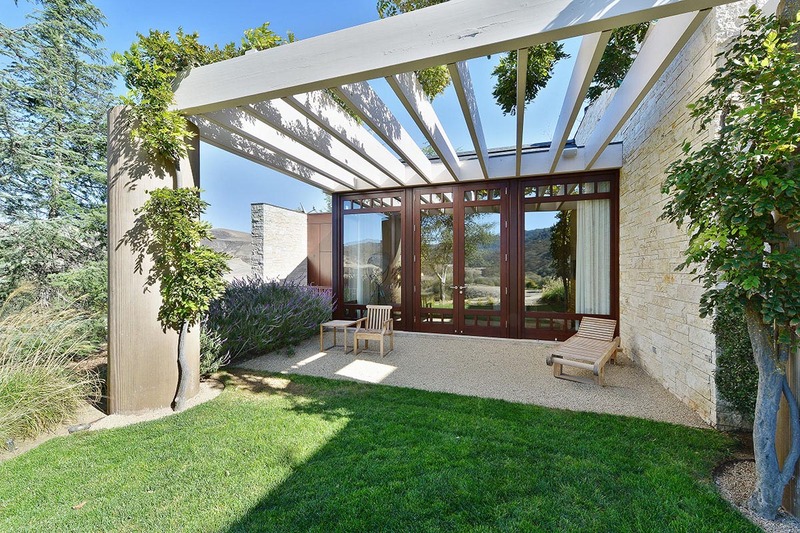 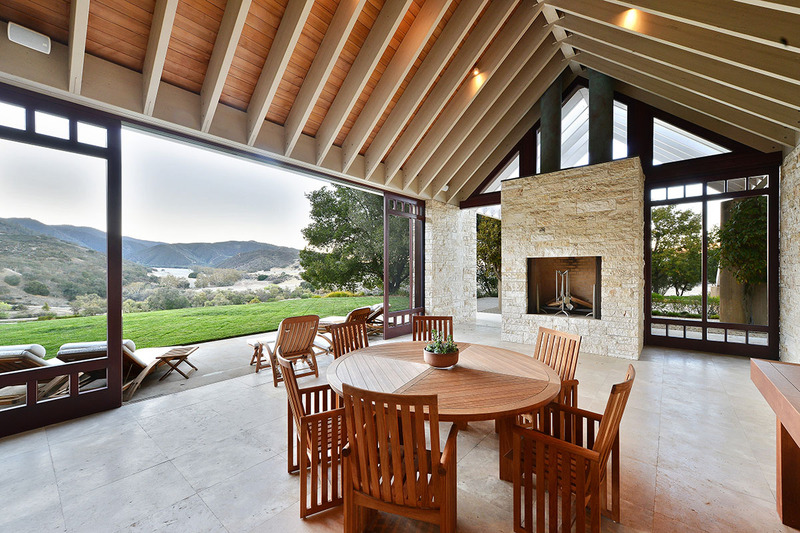 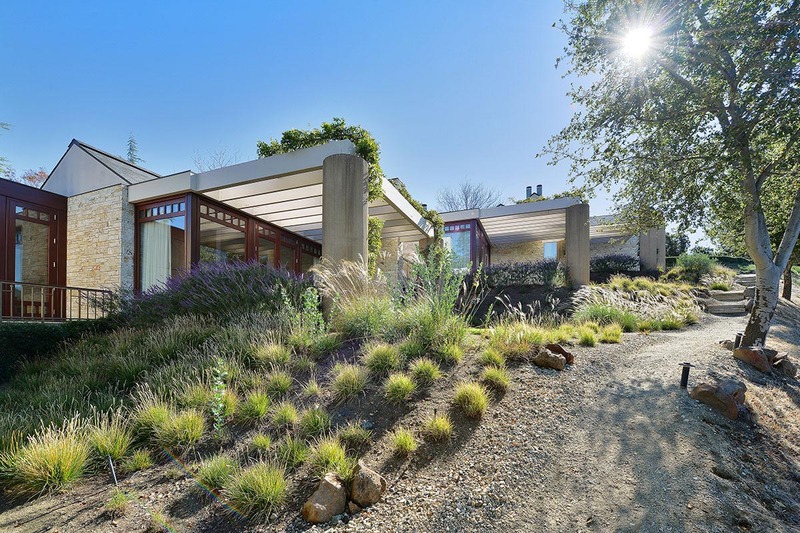 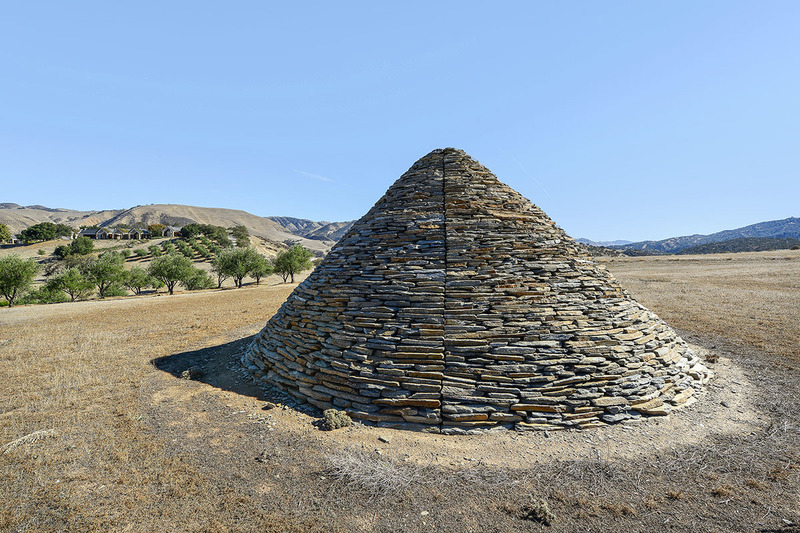 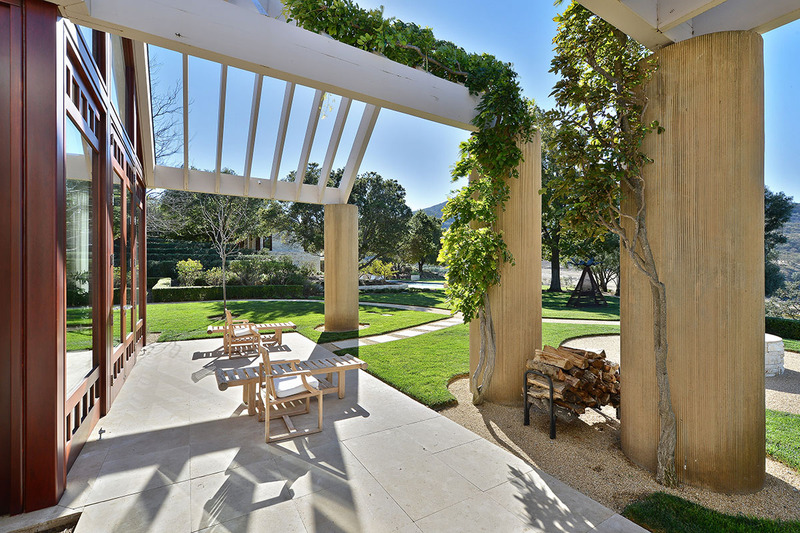 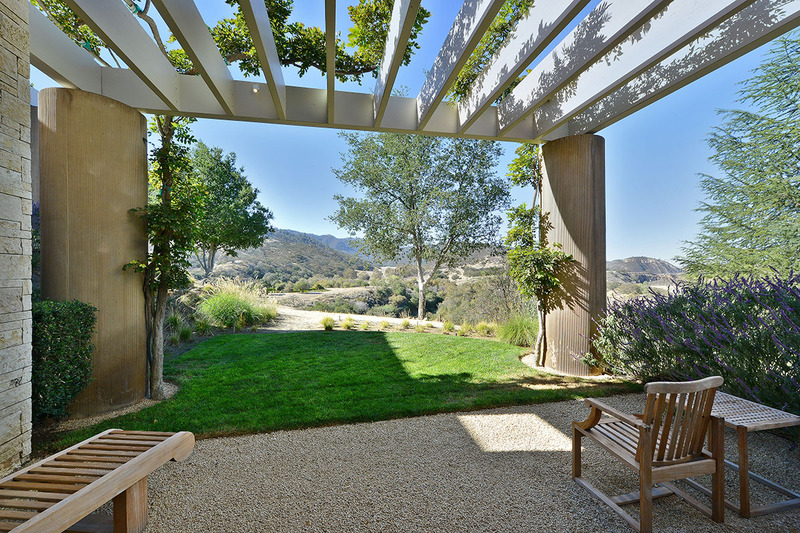 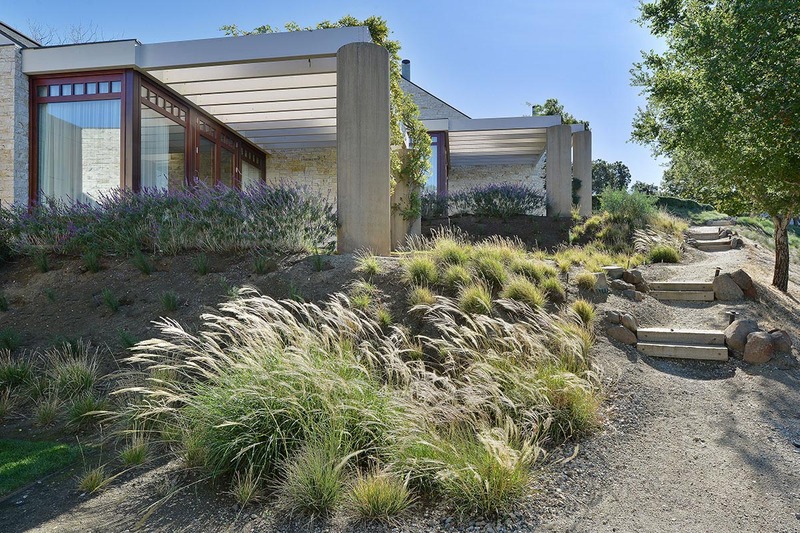 Stone Canyon was gloriously brought to life through the vision of noted San Francisco architect Ugo Sap, who designed this transcendent compound to provide stunning views, maximum seclusion, and a true communion with nature. 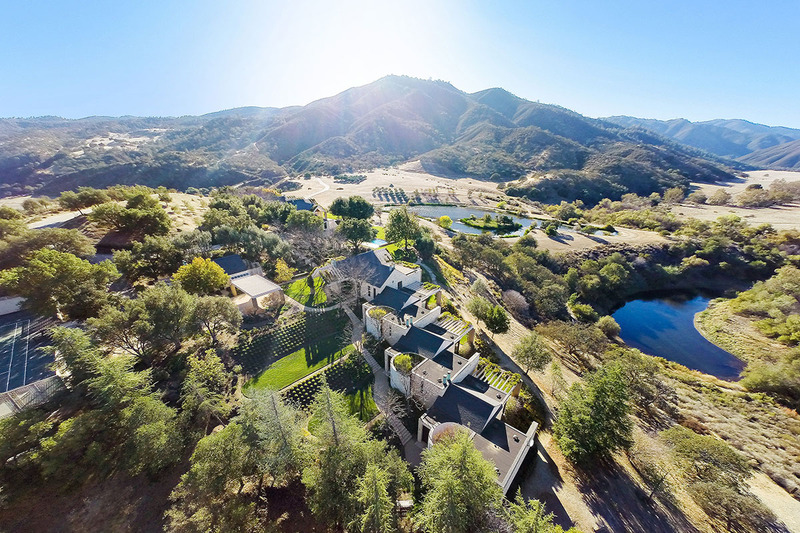 Sited atop a prominent ridge line with commanding panoramic views of the property and surrounding valley, the main residence of the Upper Compound spans +/- 7,900 square feet of living space and features a very open single-story floor plan dominated by a large open foyer at the center of the residence. 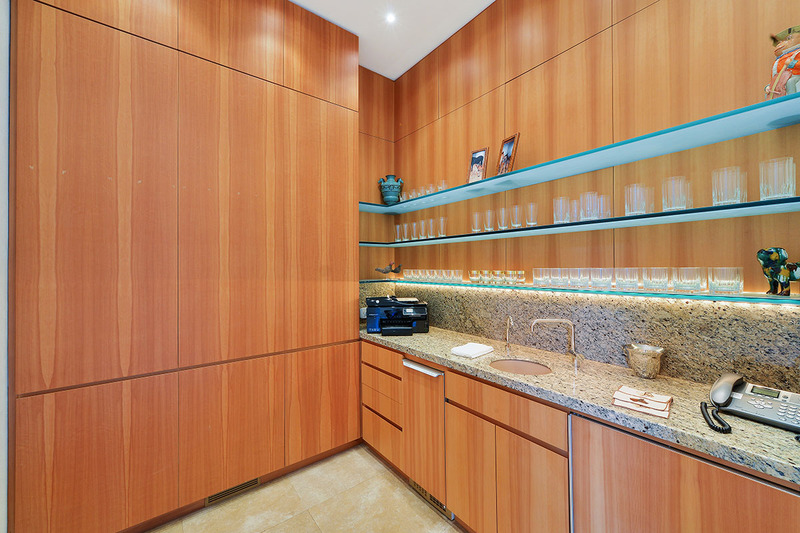 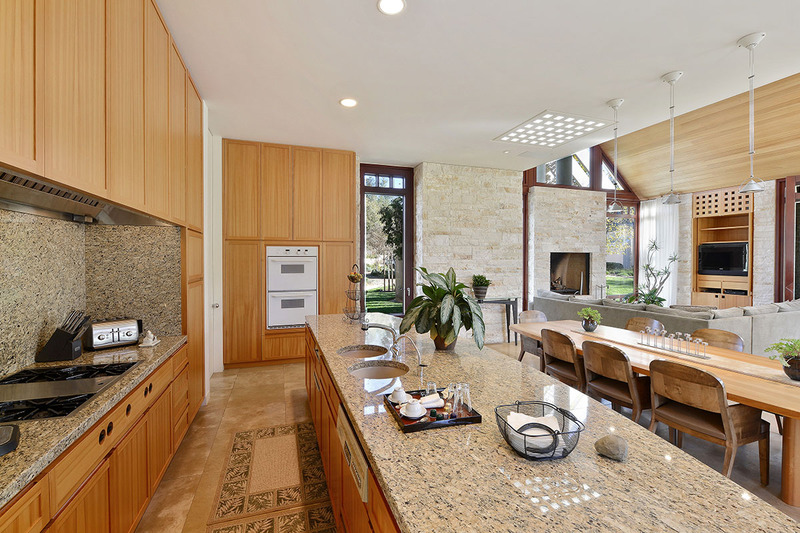 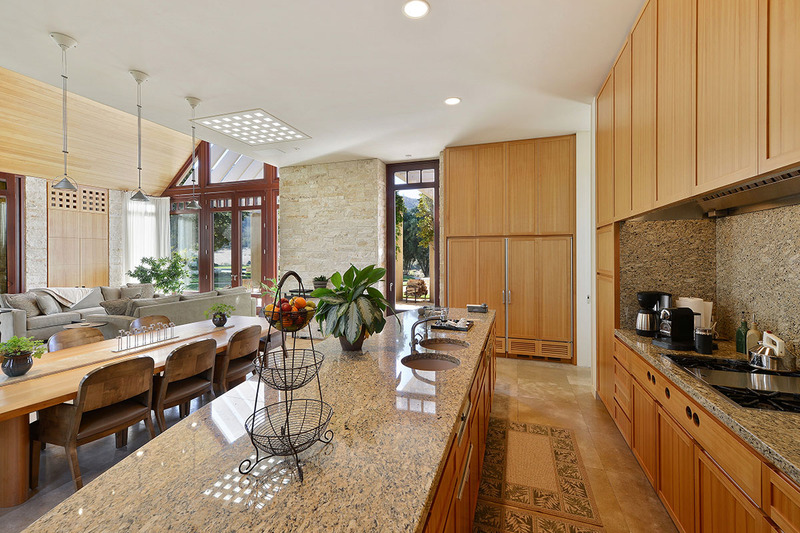 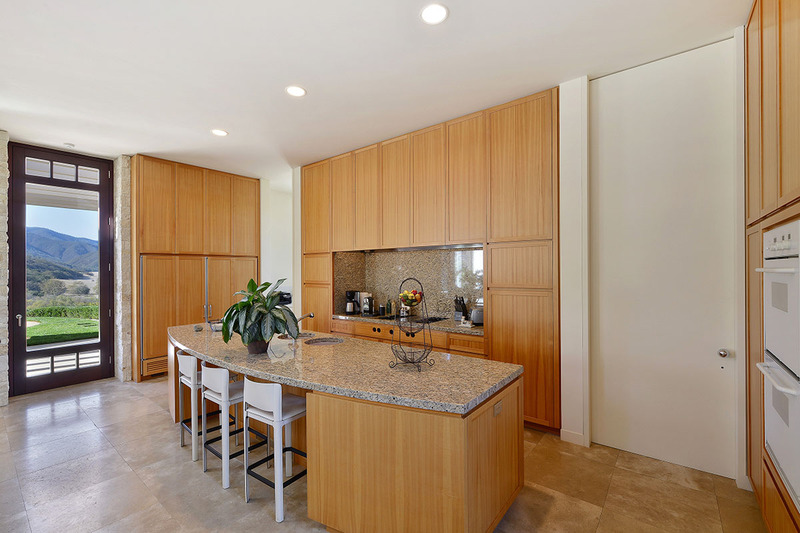 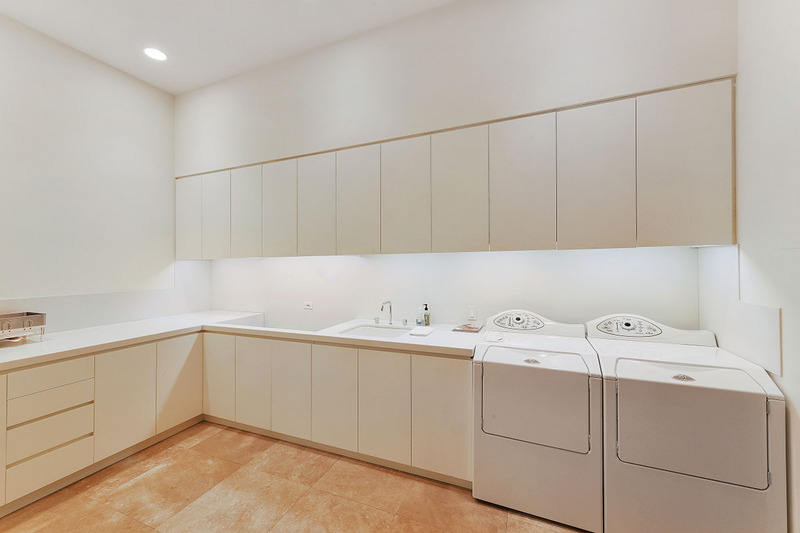 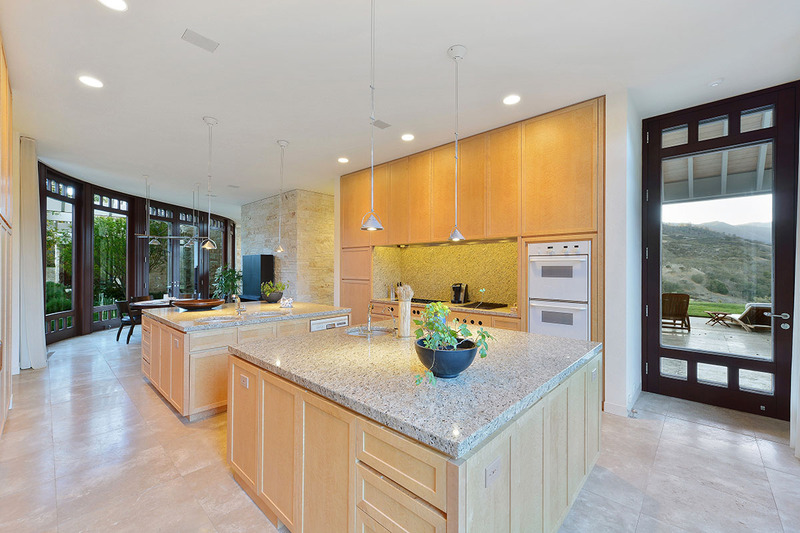 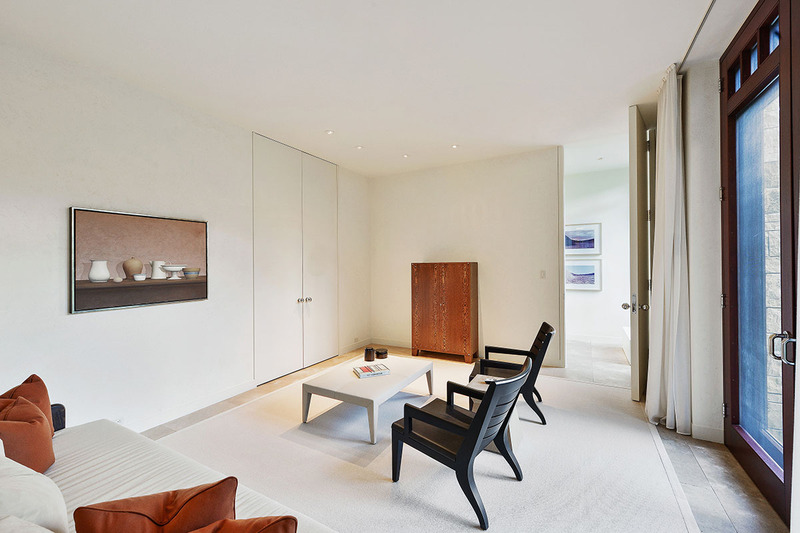 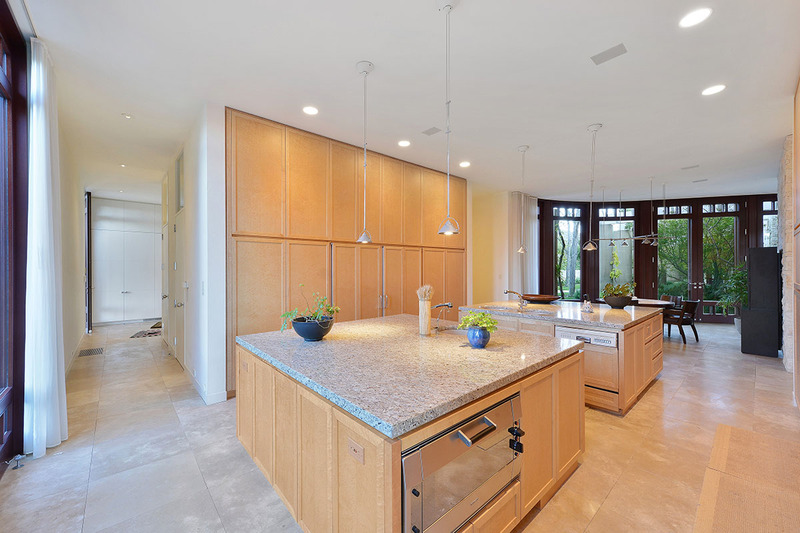 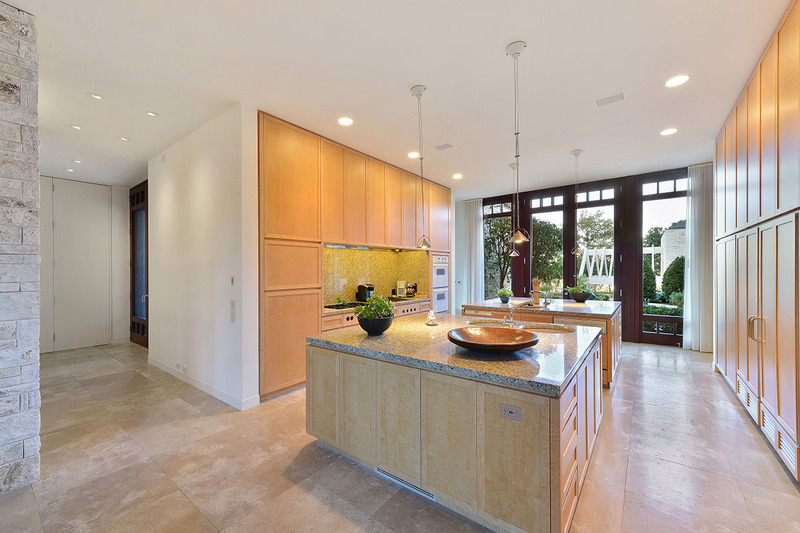 To one side of the foyer are a dining room, modern kitchen, breakfast area, screened-in informal dining room, laundry room, and basement wine cellar. 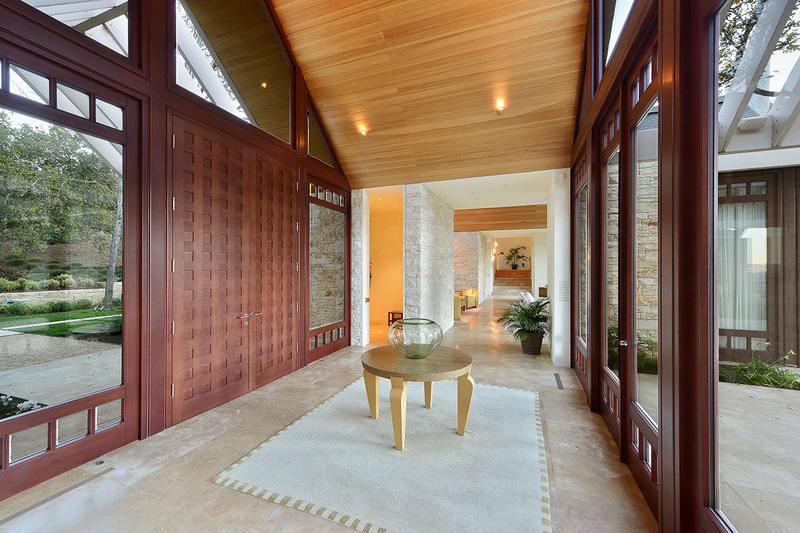 The other side of the foyer leads to the living room, library, and a large master-bedroom suite that includes two bathrooms and a study. 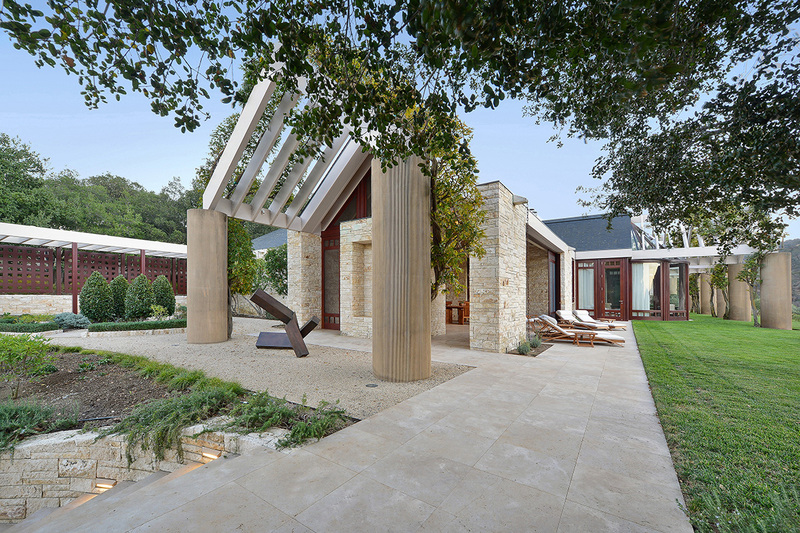 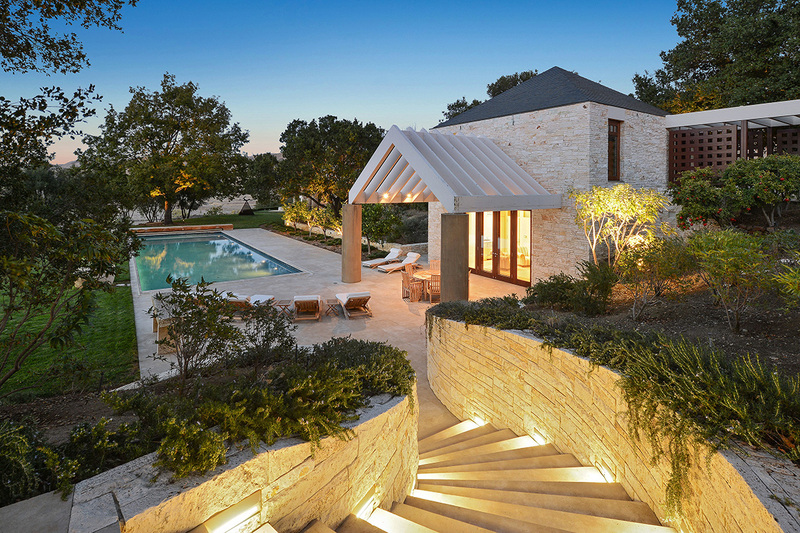 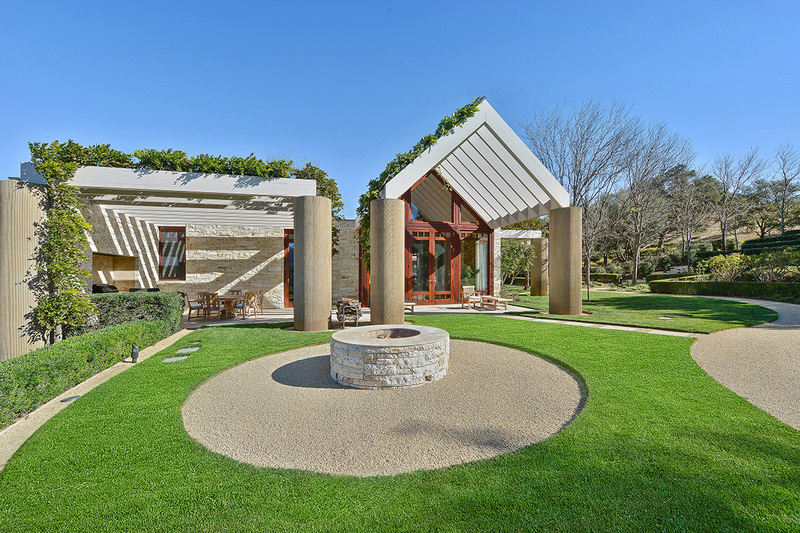 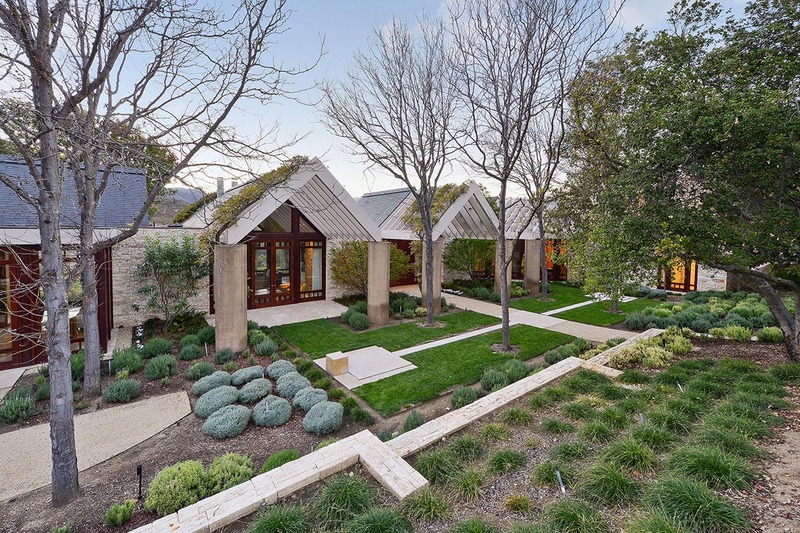 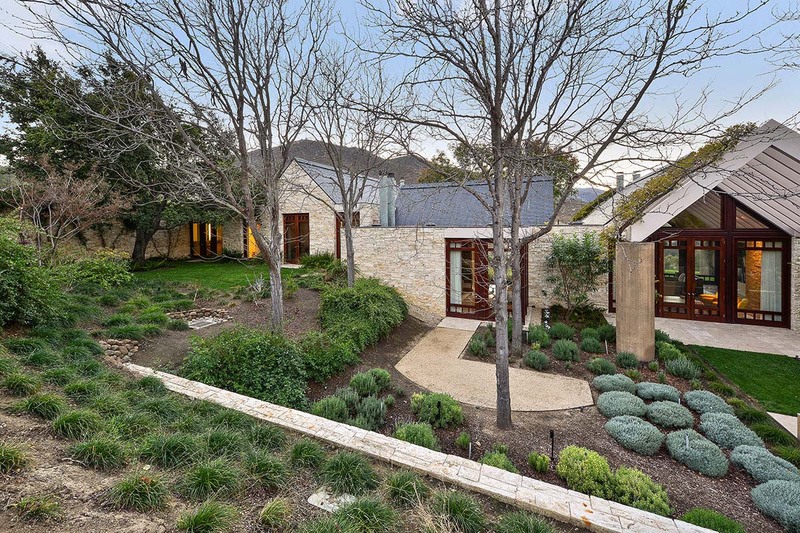 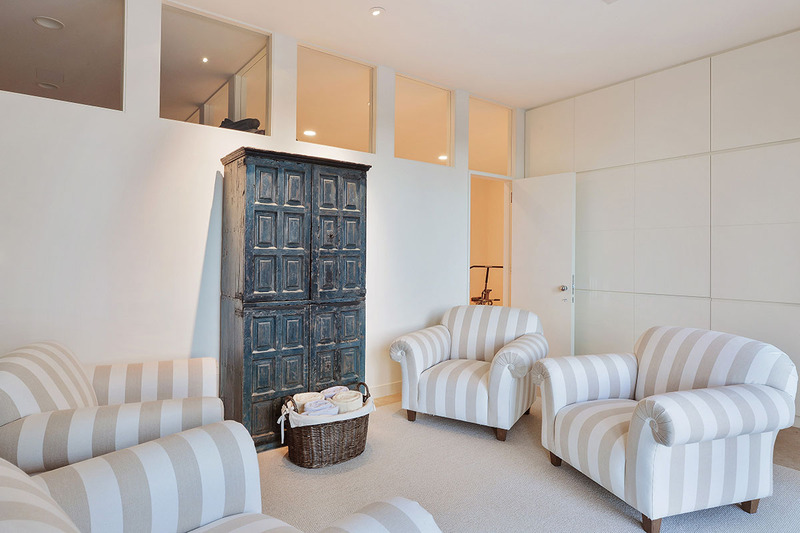 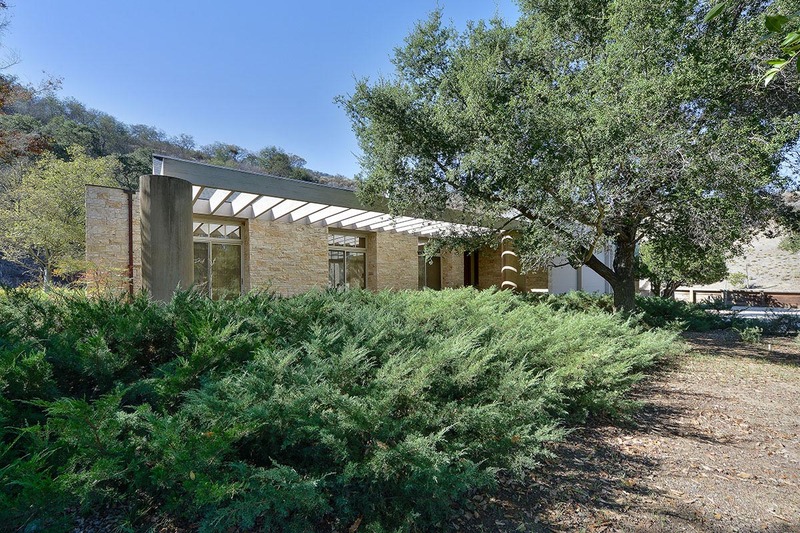 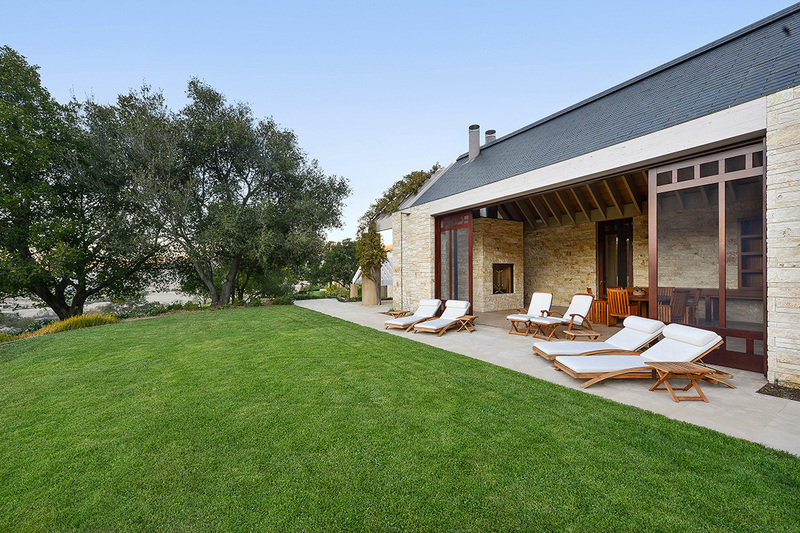 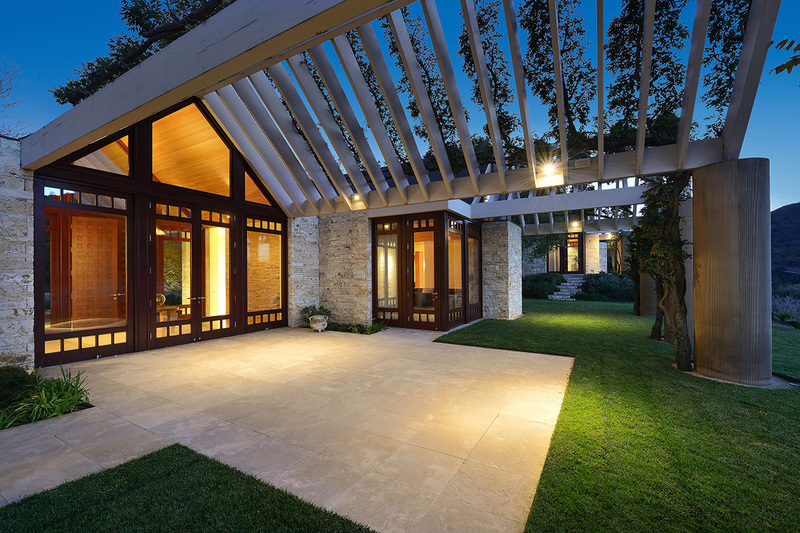 Adjacent guest quarters occupy more than 4,500 square feet and boast a patio with built-in barbeque and limestone floors. 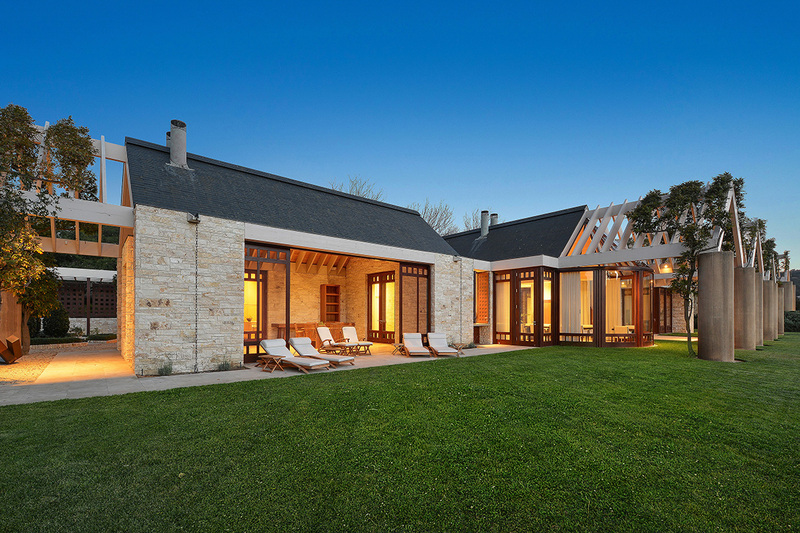 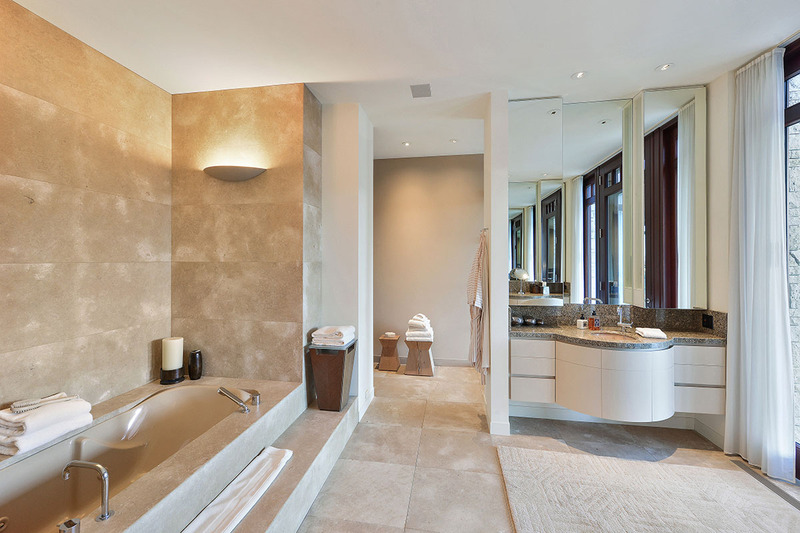 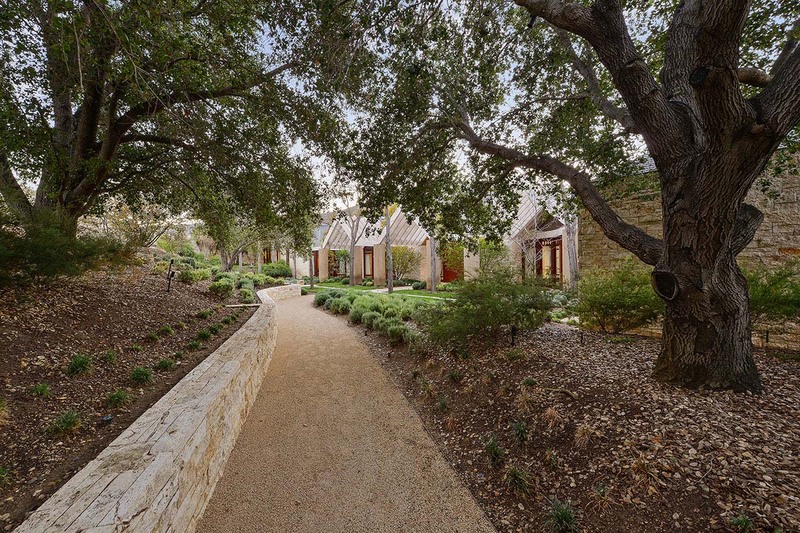 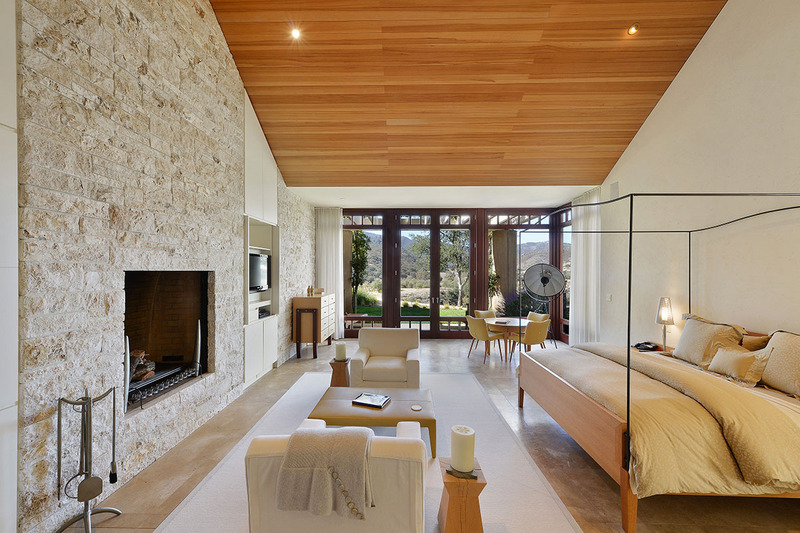 Three separate +/- 1,000-square-foot guest suites, each with a private entrance, are part of the guest quarters complex, and each guest room is characterized by a vaulted ceiling with stone fireplace and a modern bathroom. 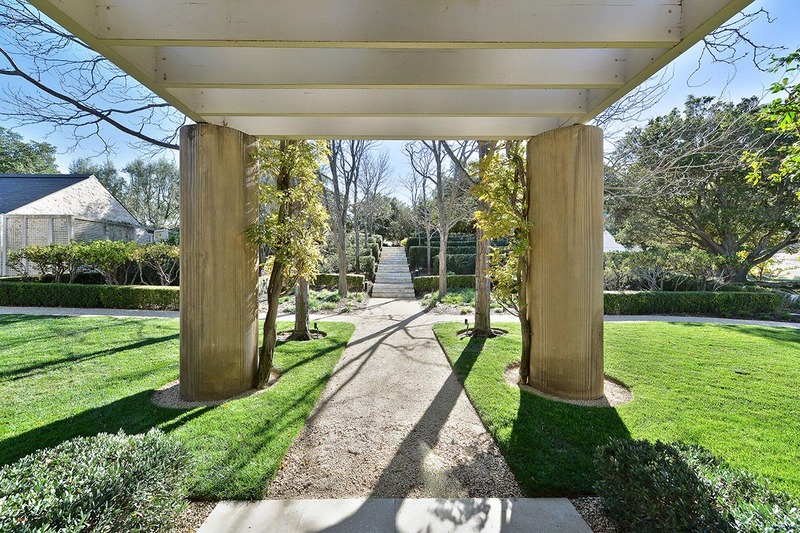 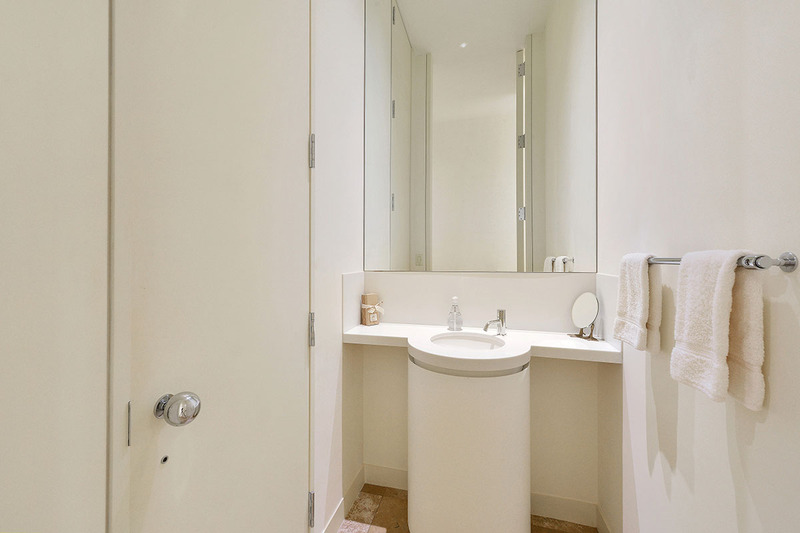 Also located in the upper residential compound are a large 20-by-60-foot swimming pool, tennis court, pool house, garage, and landscaped gardens with modern sculptures. 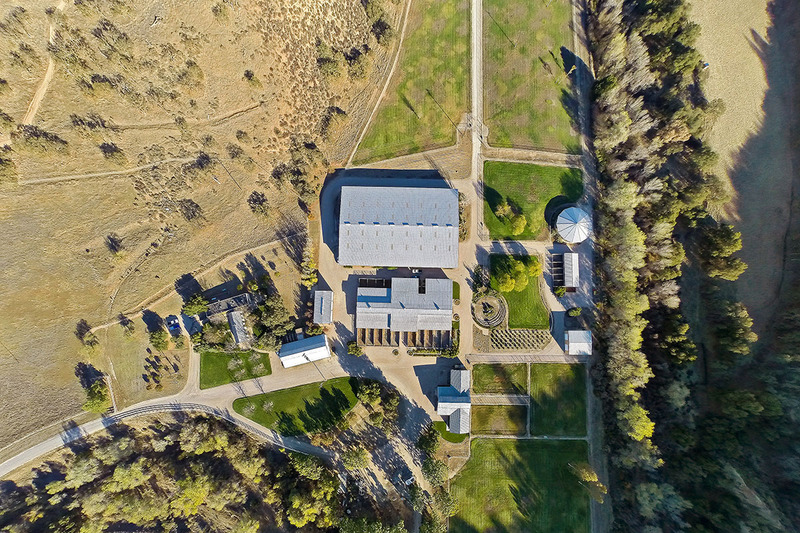 Elsewhere on the vast property are three single-family residences that can serve as homes for a ranch caretaker and staff. 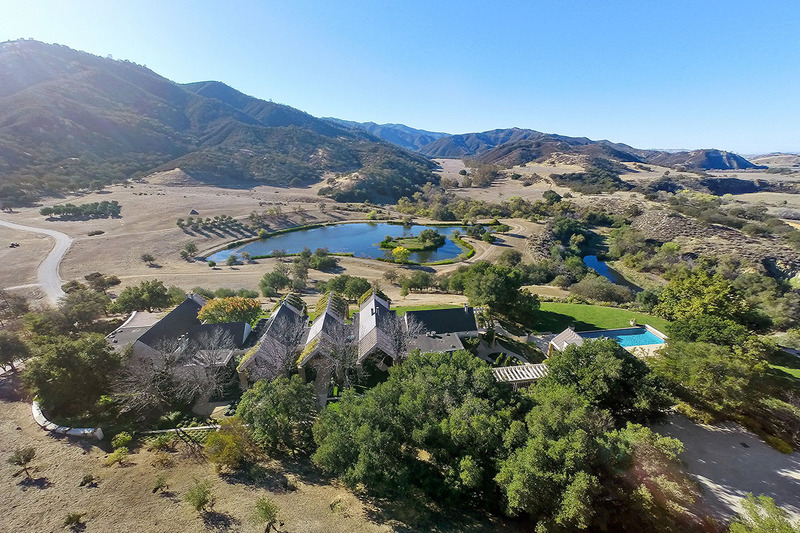 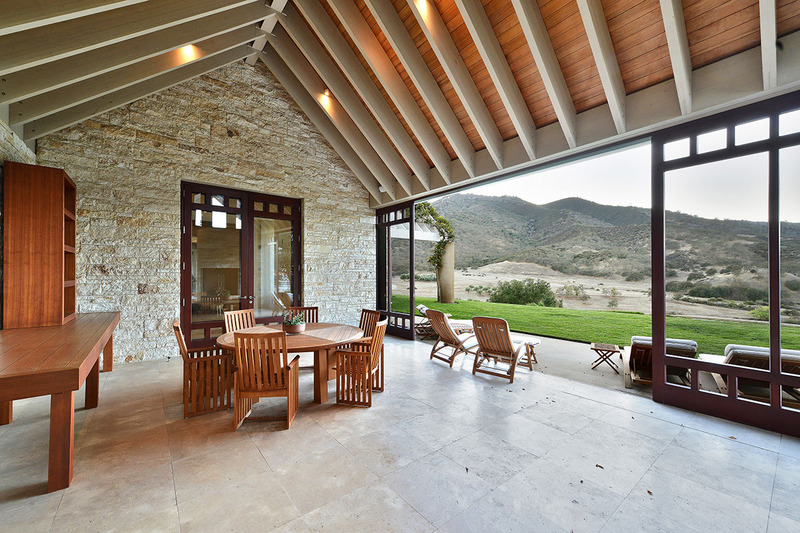 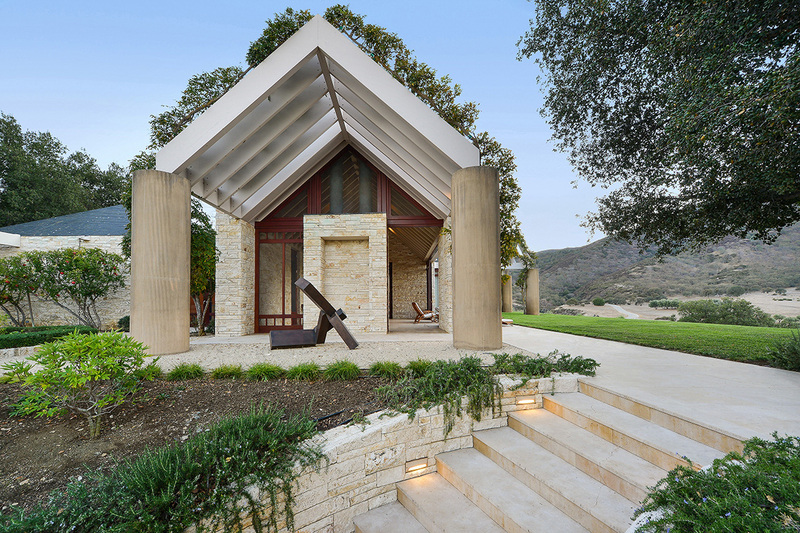 “What distinguishes Stone Canyon Ranch are its structures, which are characterized by a minimalistic, resort-style architecture and are oriented to maximize privacy and views and foster a oneness with the natural surroundings,” says listing agent Steven Mavromihalis of Pacific Union International. 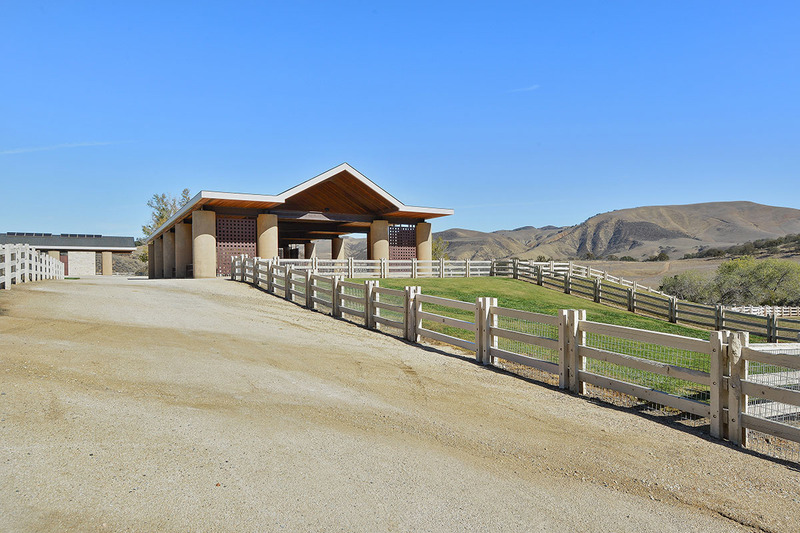 “Most of the ranch buildings consist of heavy steel frames, poured concrete posts, and construction material imported from around the world,” he says. 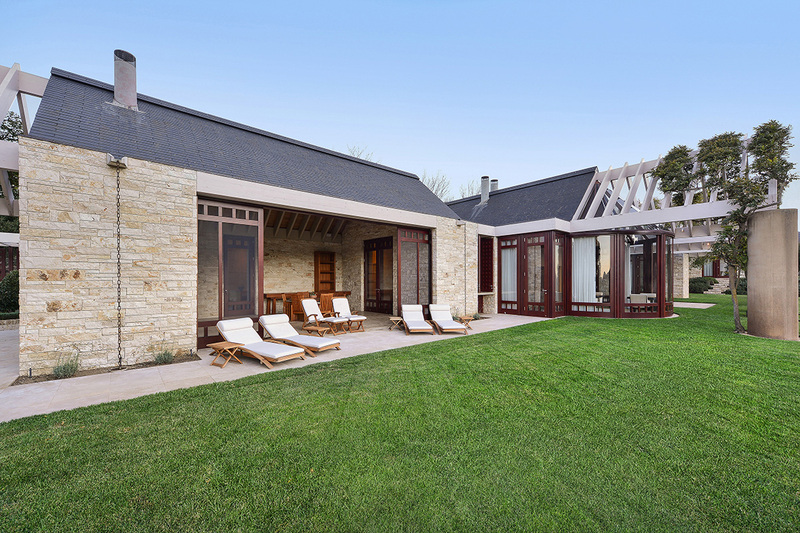 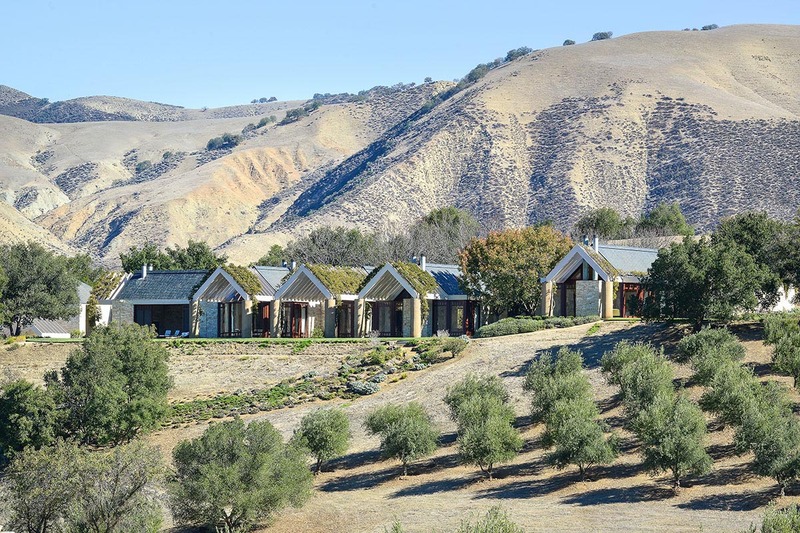 The ranch’s slate roof tiles are from France, limestone flooring is from Italy, and the trellises are of Alaskan cedar. 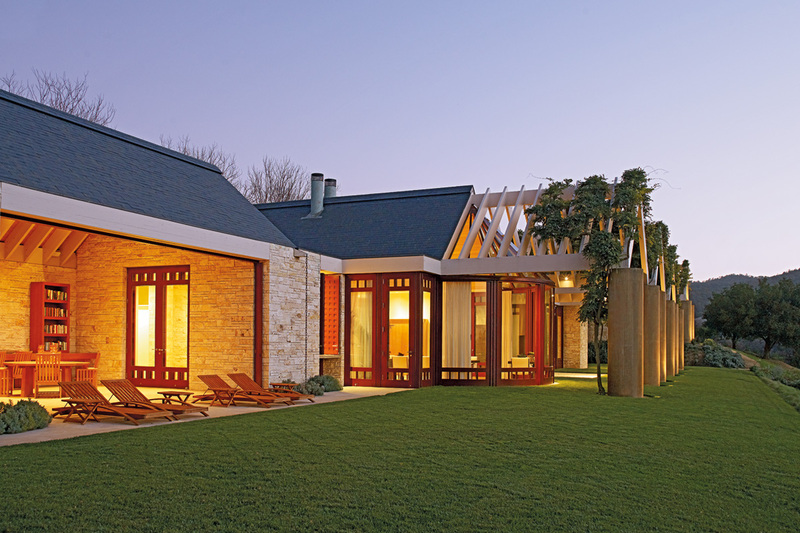 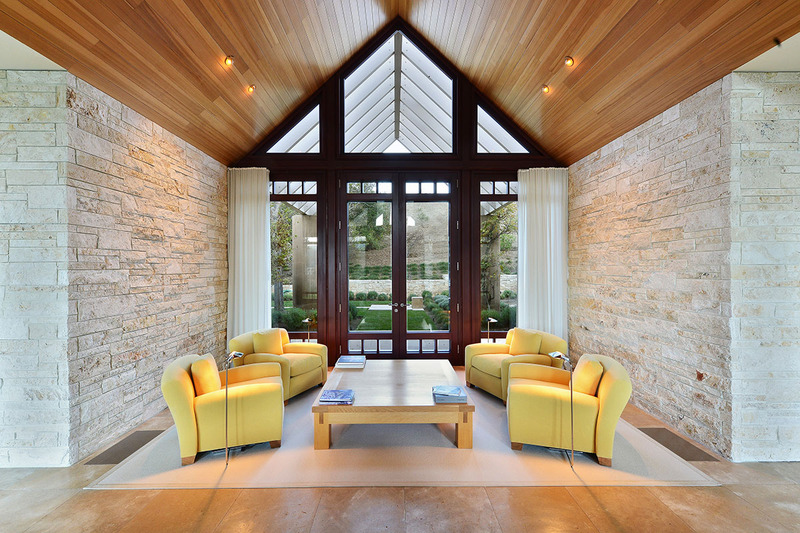 The exterior includes stone walls and solid mahogany doors and window casements. 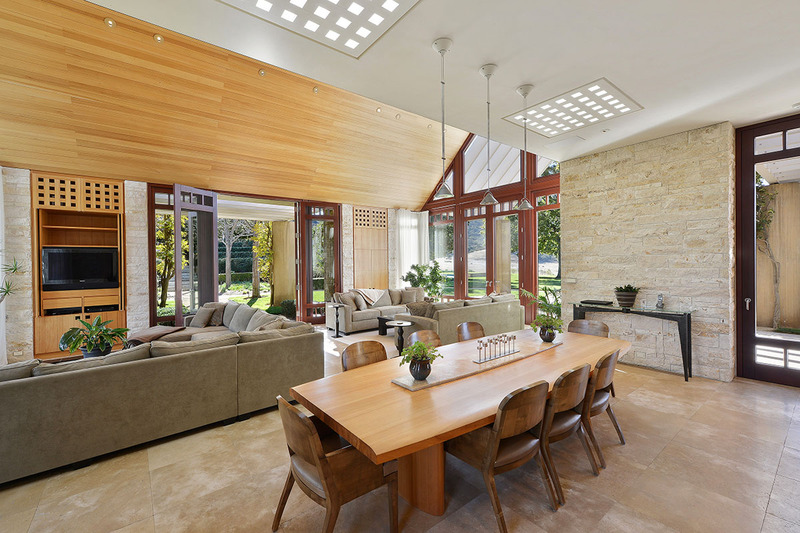 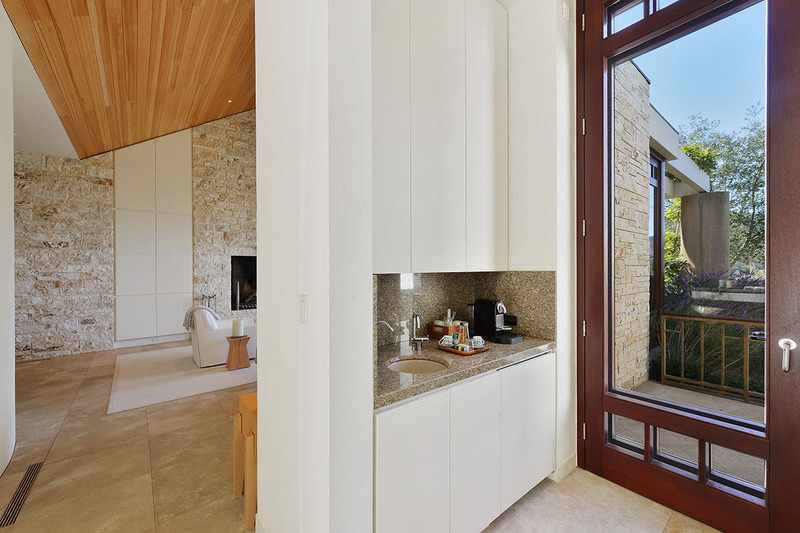 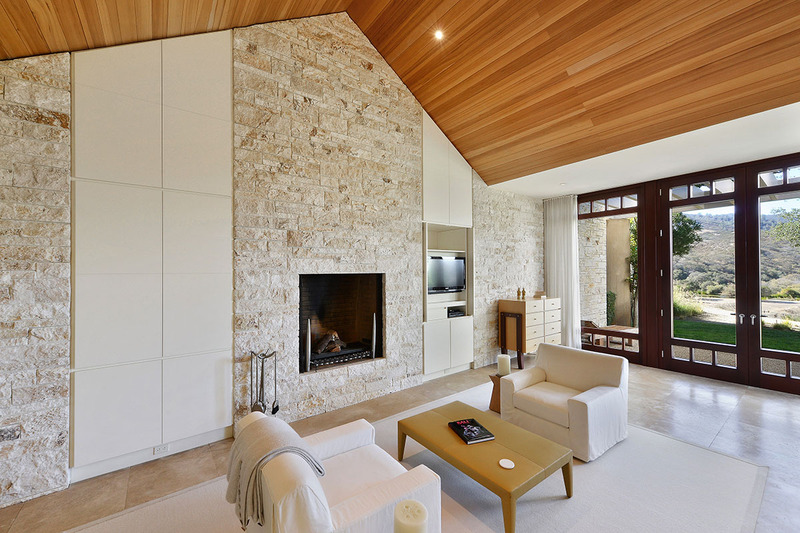 The interior finish of the main residence and guest quarters includes limestone floors, high ceilings, extensive low-voltage lighting, custom cabinetry, stone fireplaces, and custom floor to ceiling windows, including a dome-shaped window in the formal dining room. 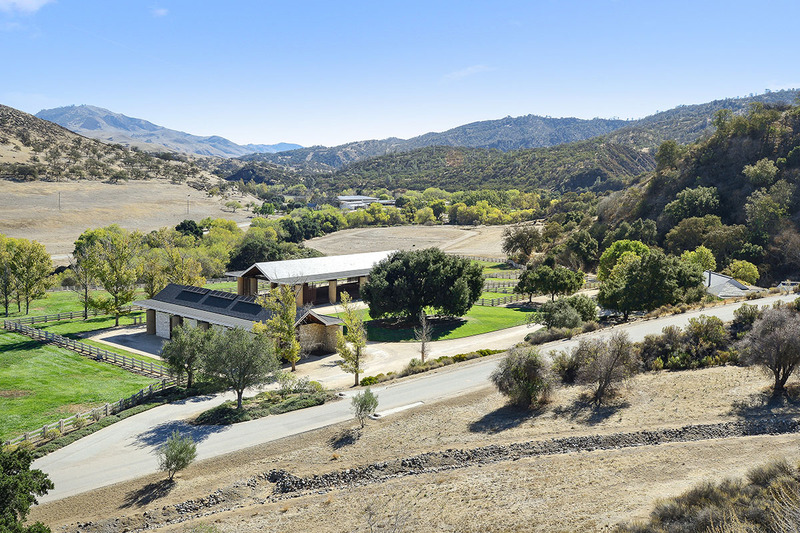 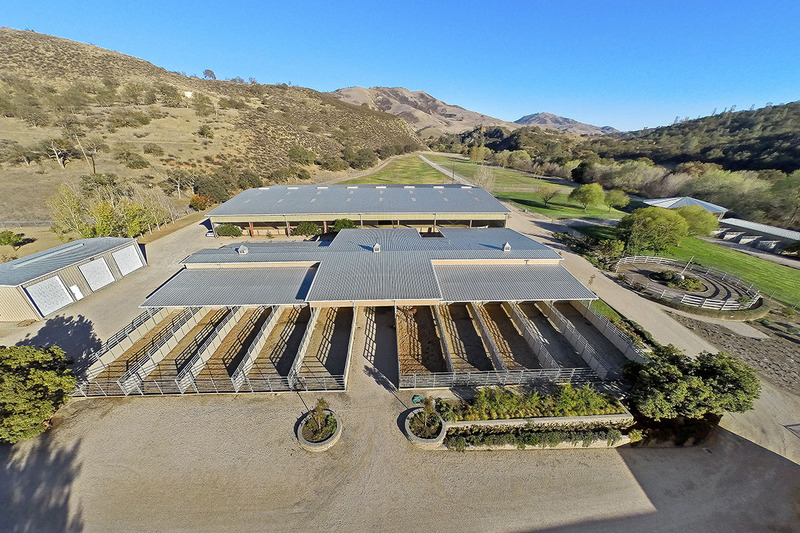 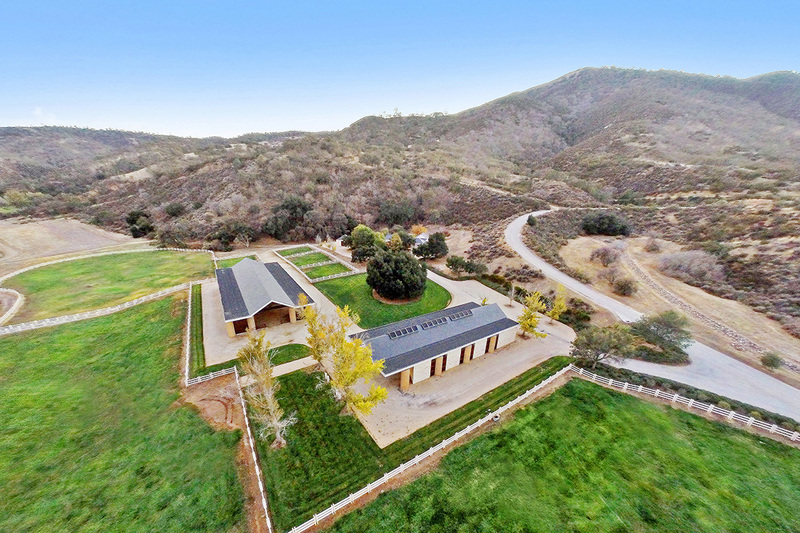 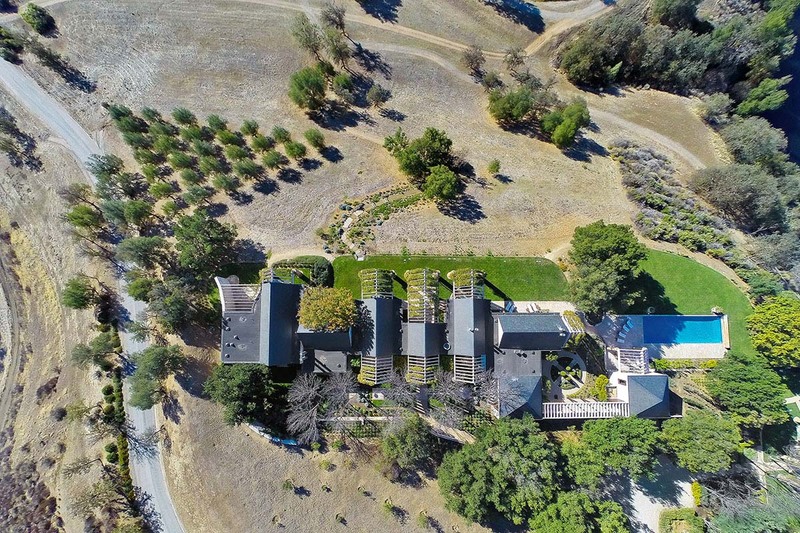 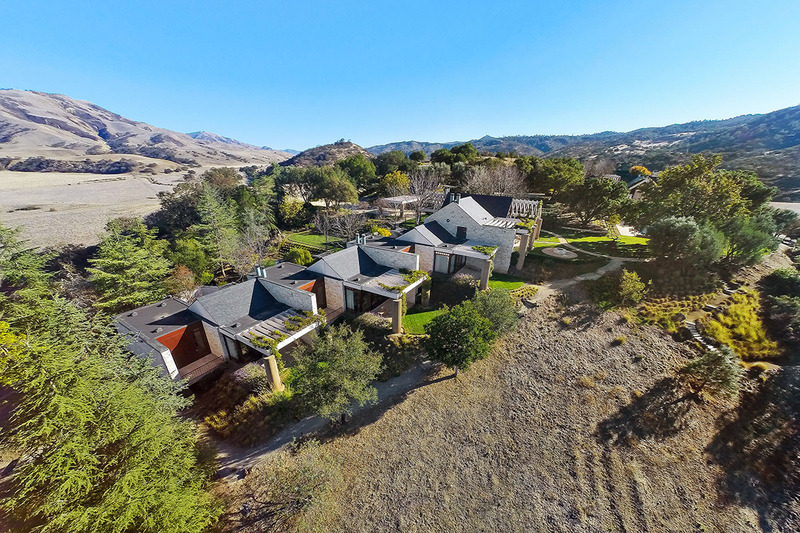 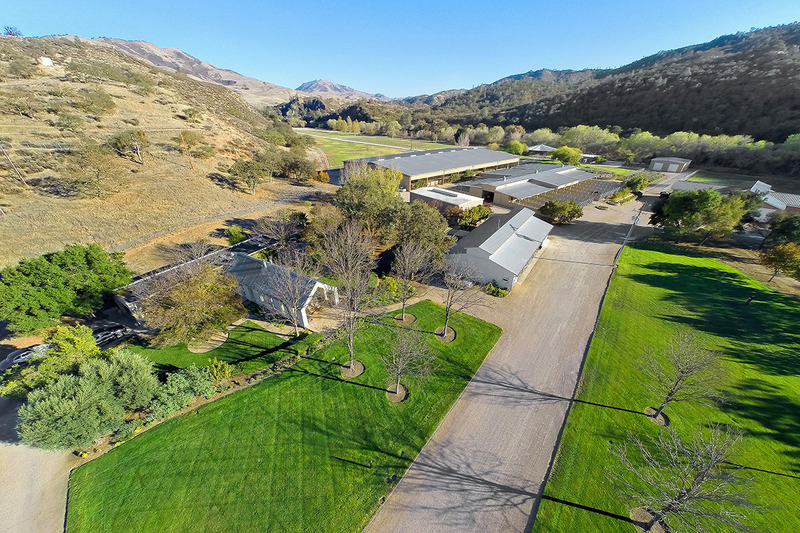 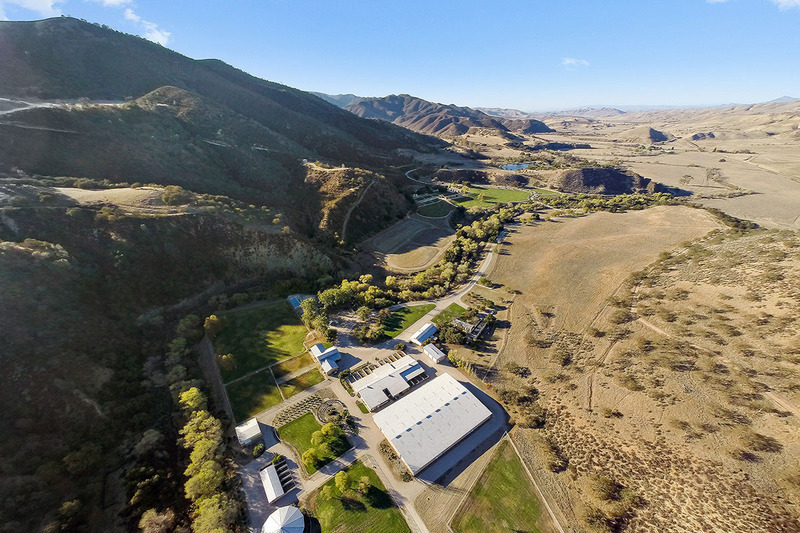 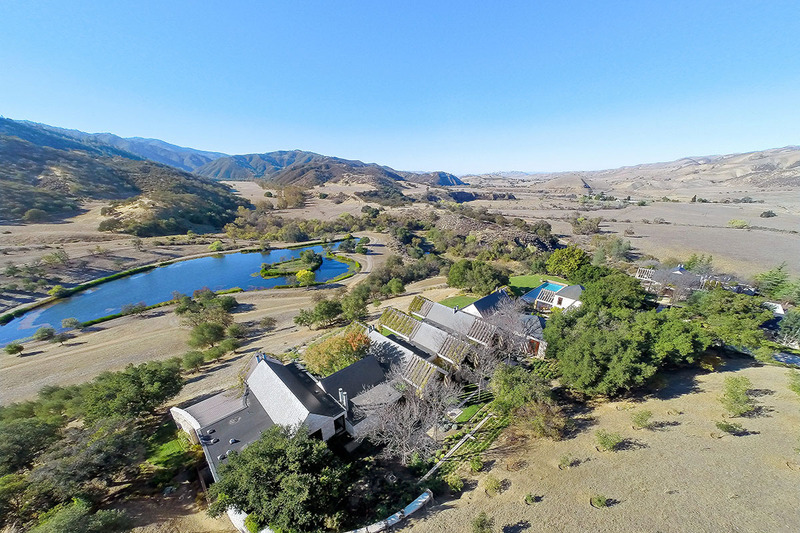 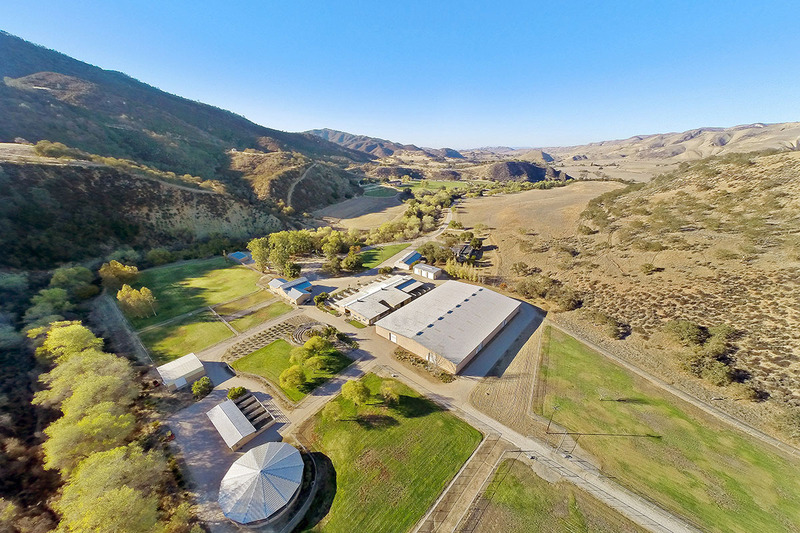 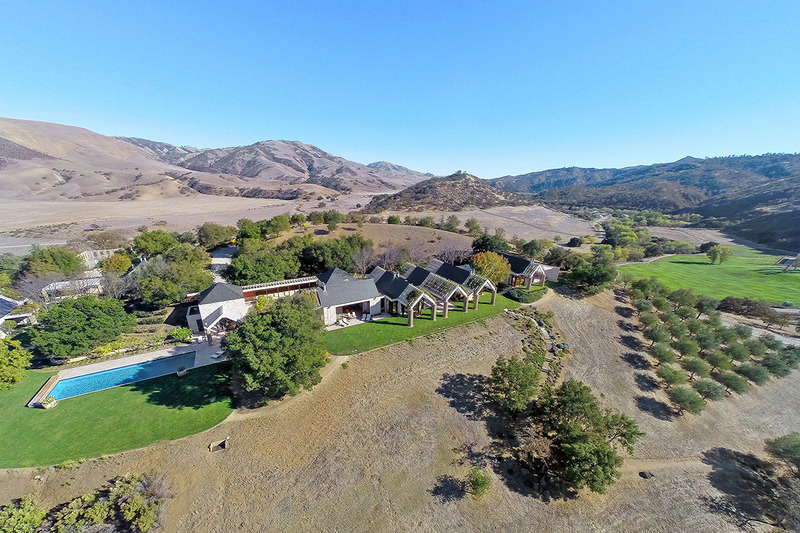 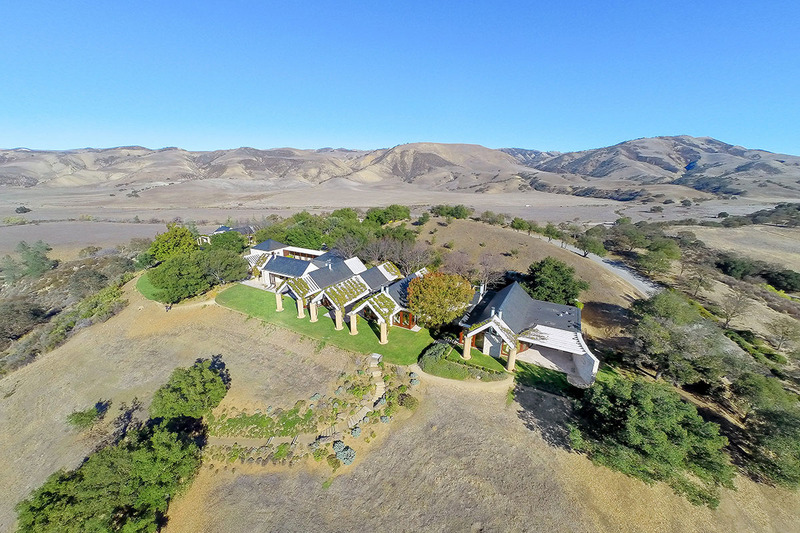 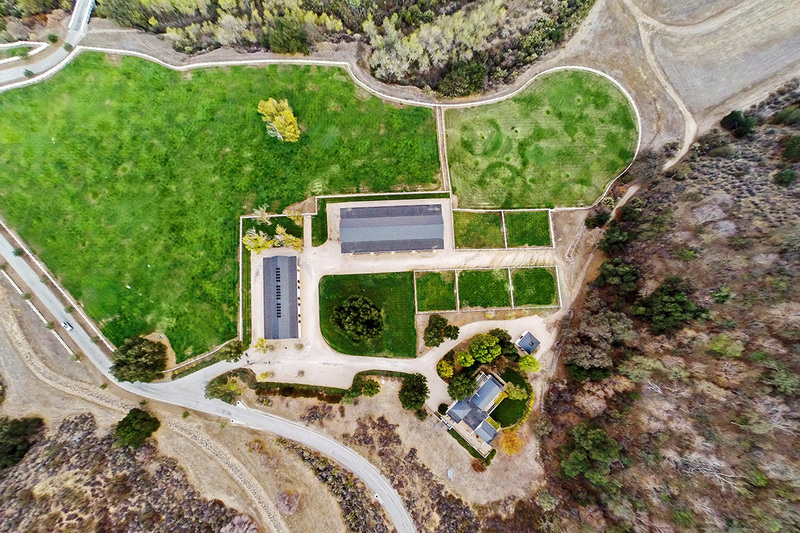 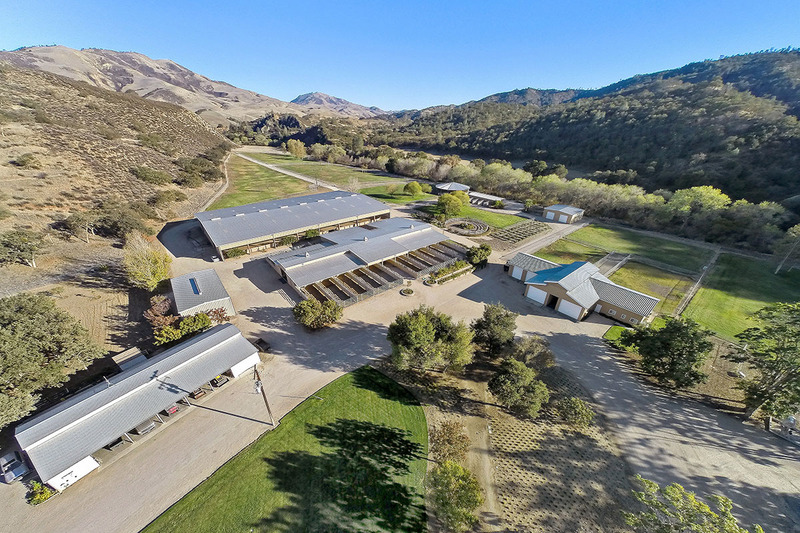 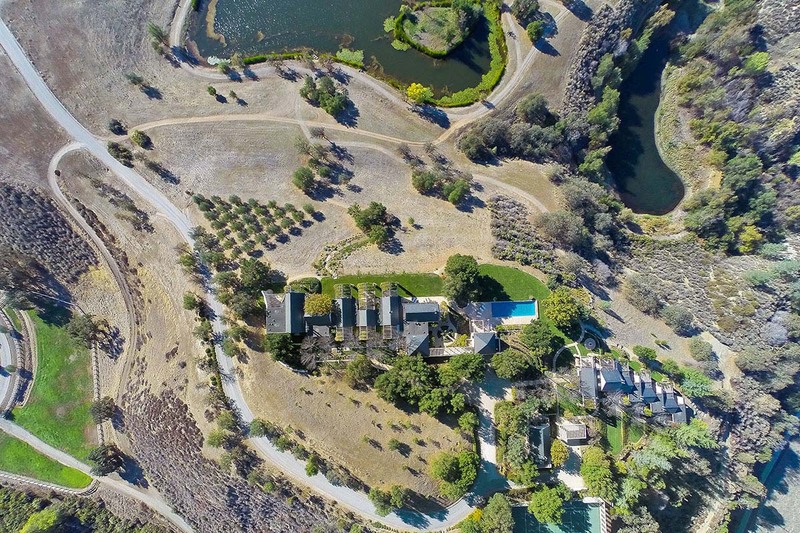 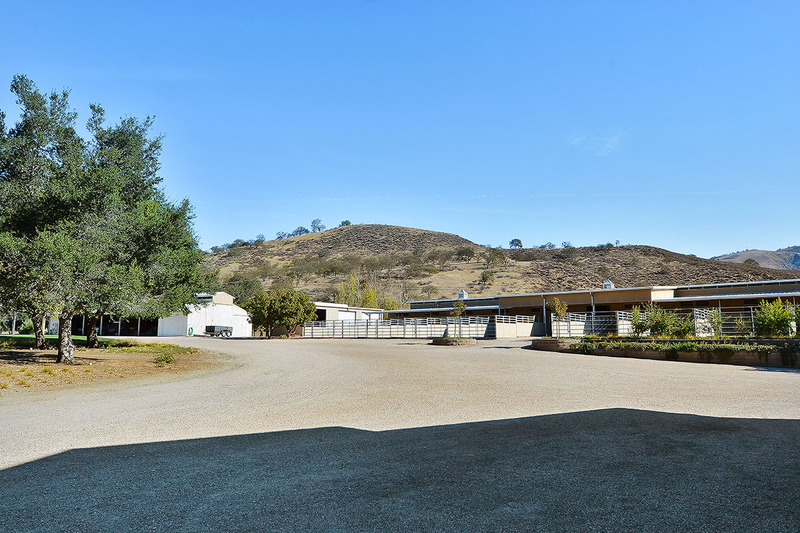 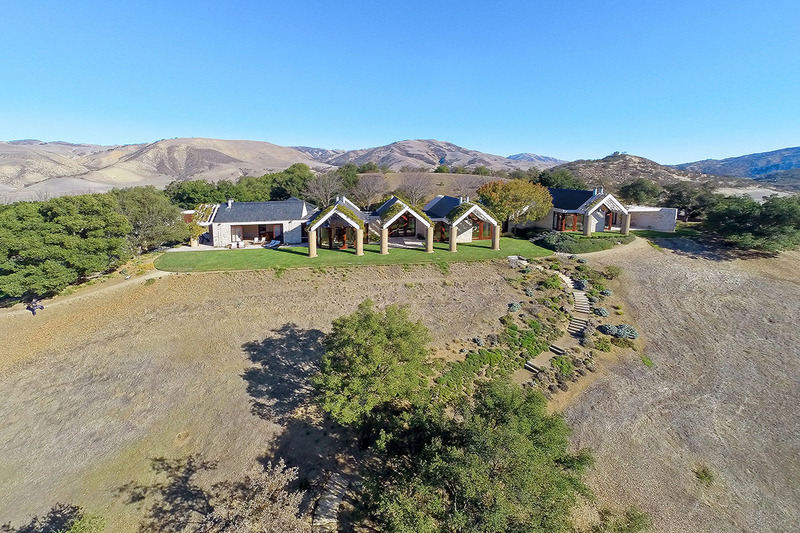 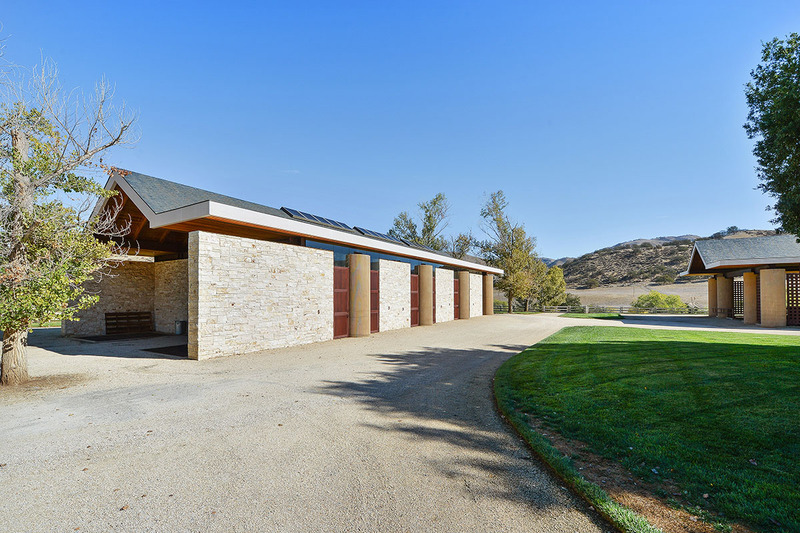 “With five separate horse barns, two riding arenas, two training arenas, and a hay barn, Stone Canyon Ranch is truly a trophy property for the horse lover,” says co-listing agent Zackary Wright of Christie’s International Real Estate. 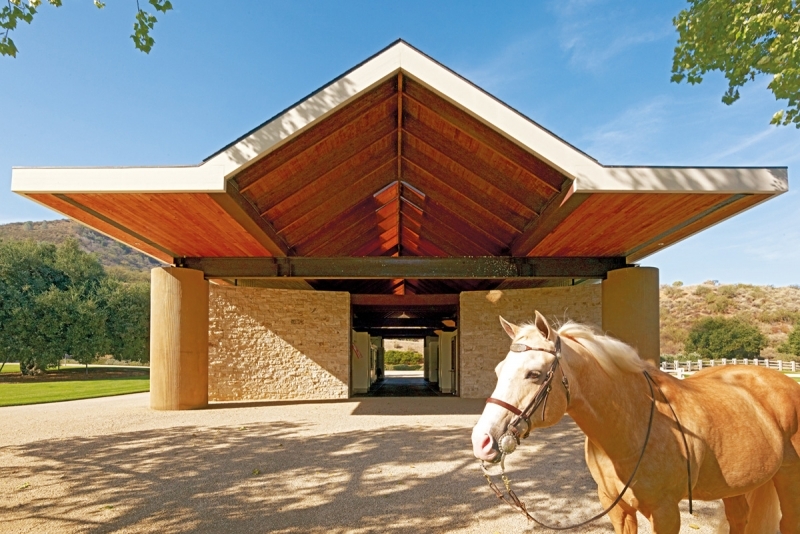 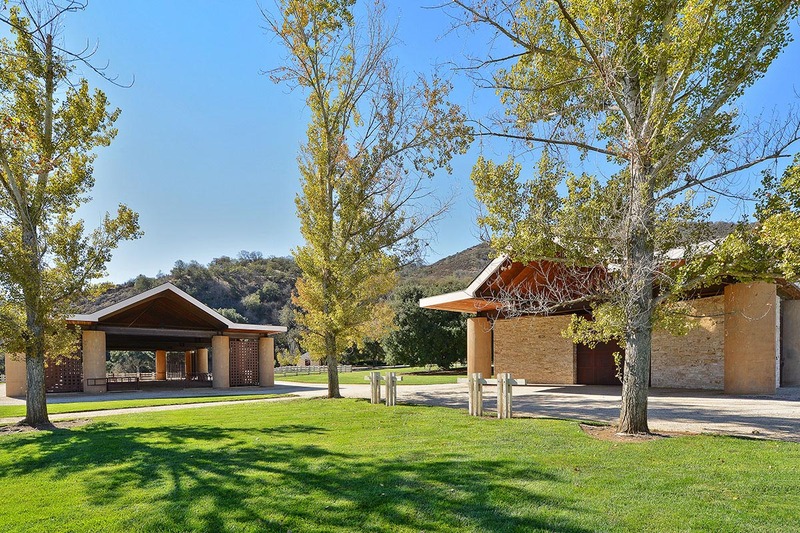 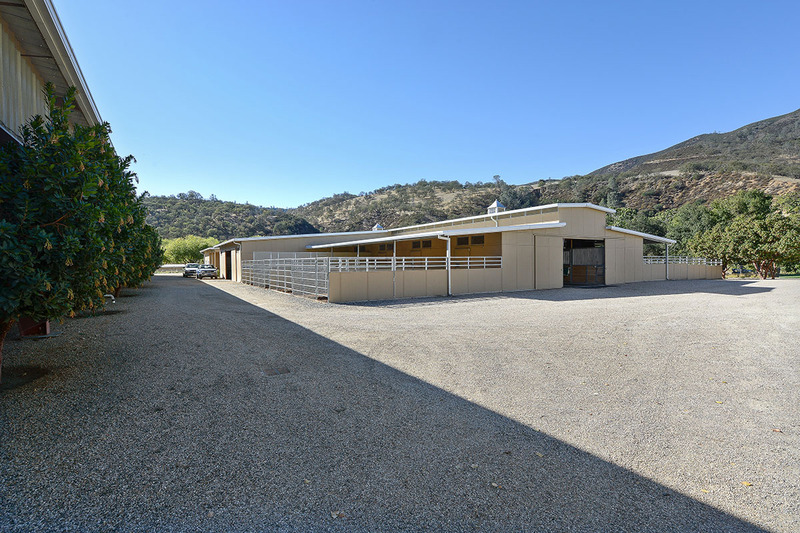 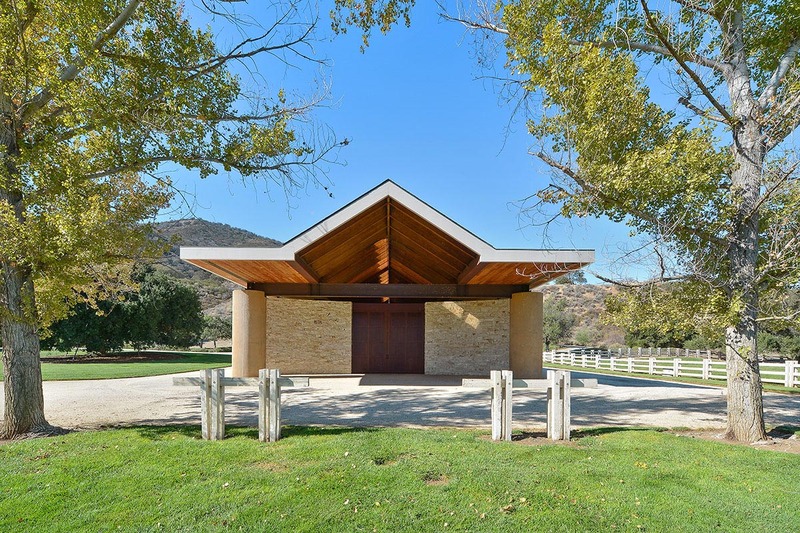 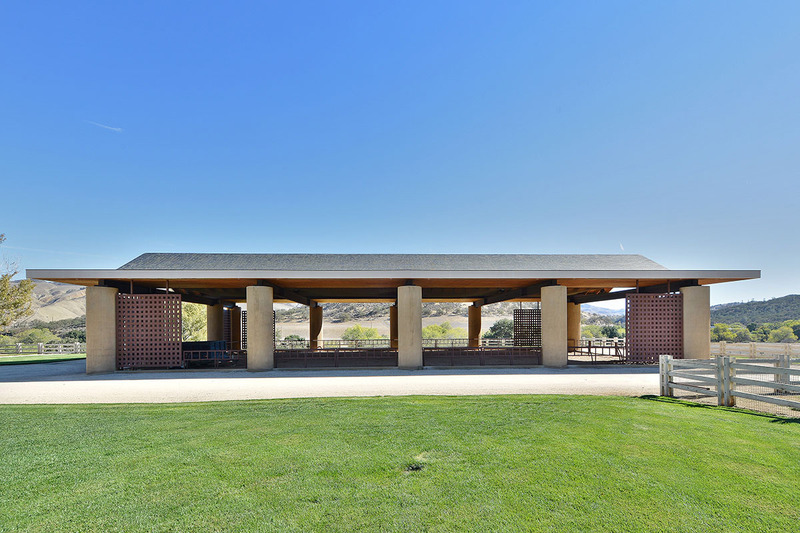 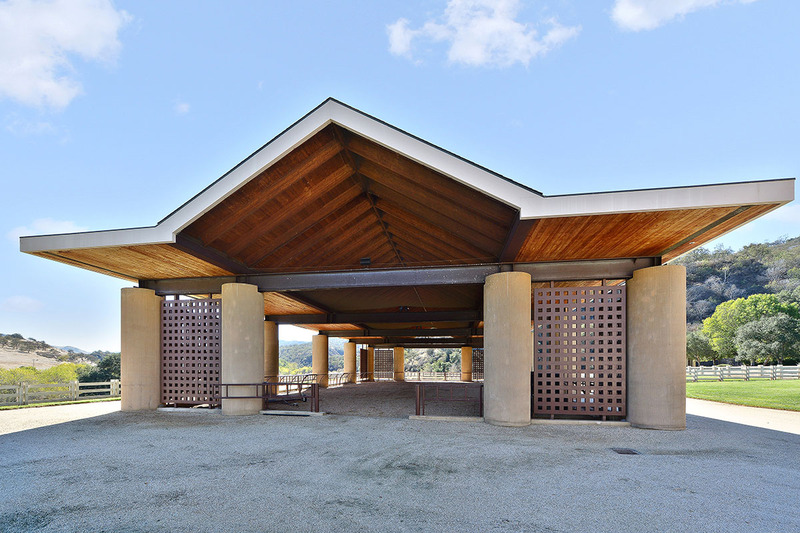 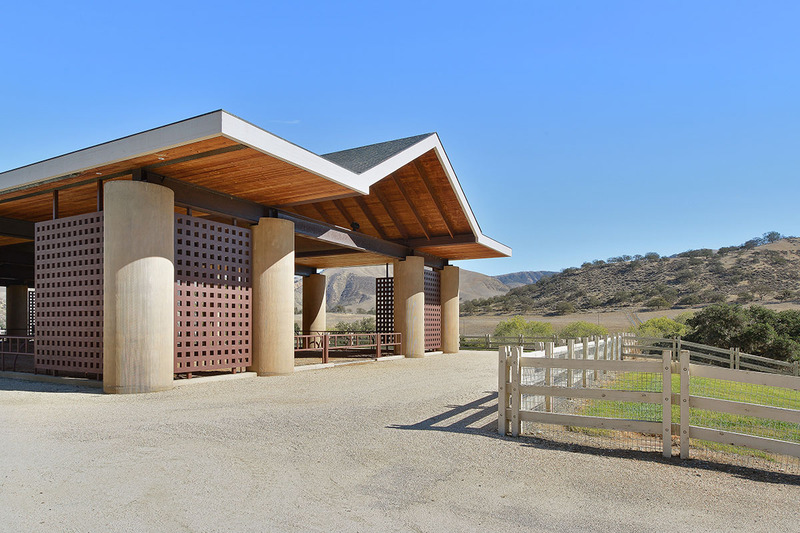 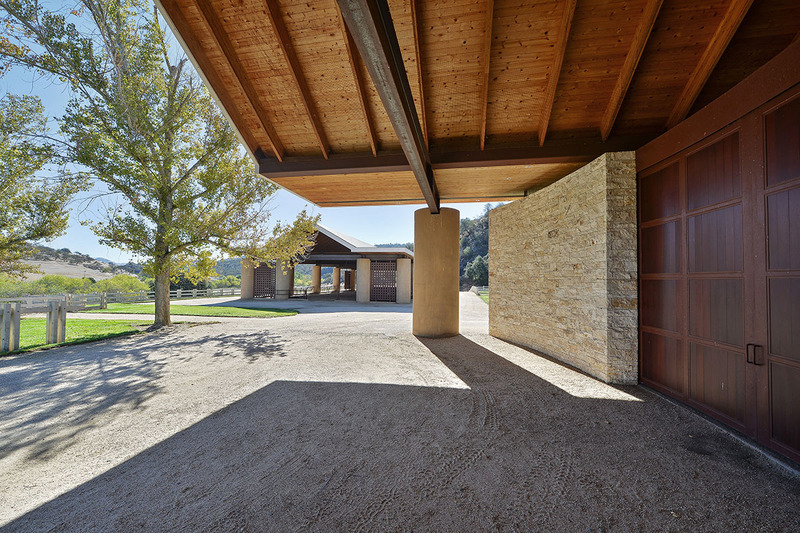 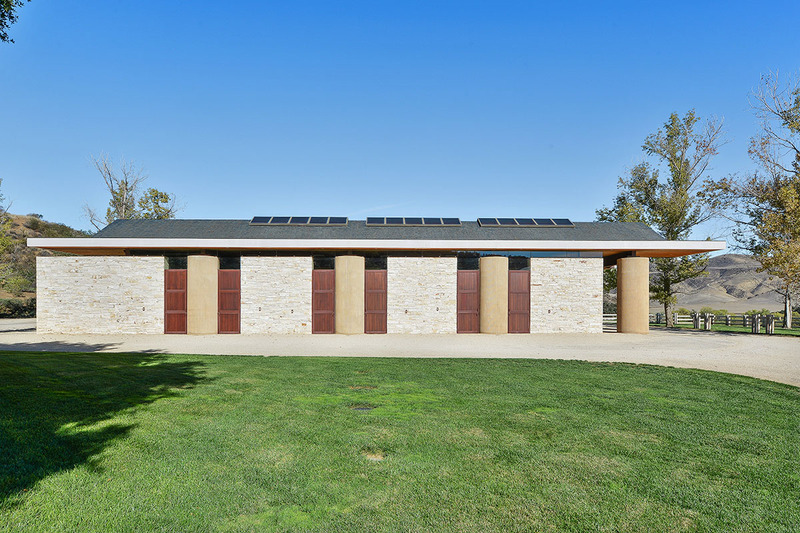 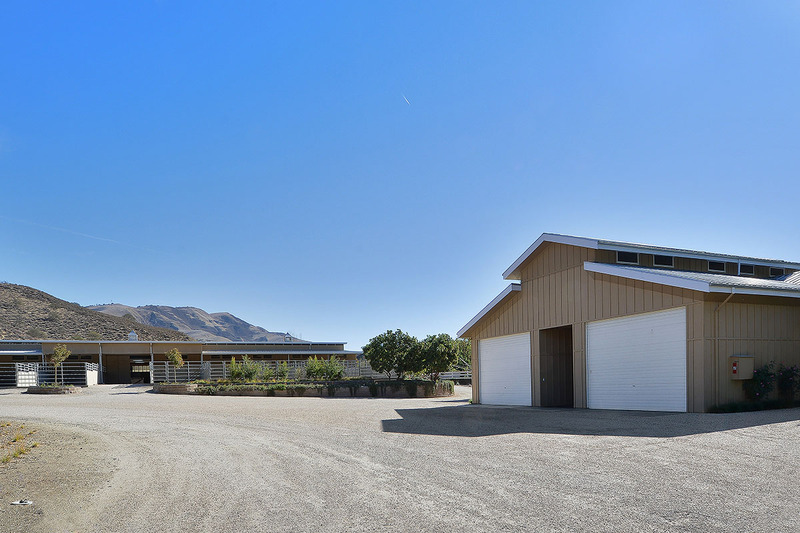 Wright notes that the ranch’s equestrian facilities are situated on two separate compounds—the Lower Compound and River Compound—and reflect modern construction and design principles. 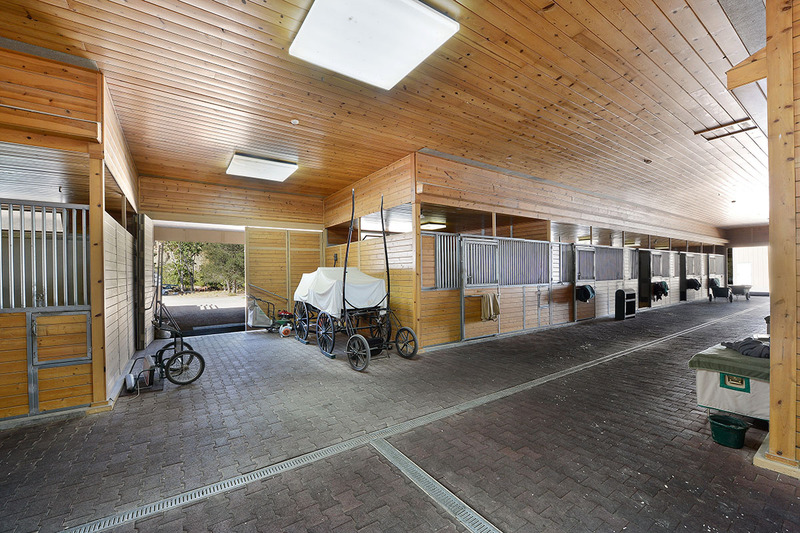 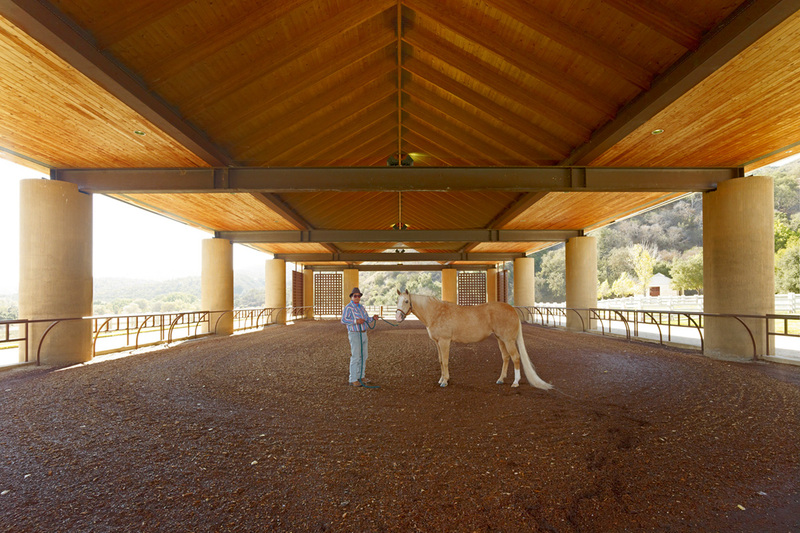 Built in 2000, the main horse barn is a 14-stall structure with two living quarters, and is made with a steel frame, wood siding, and composition shingle roof. 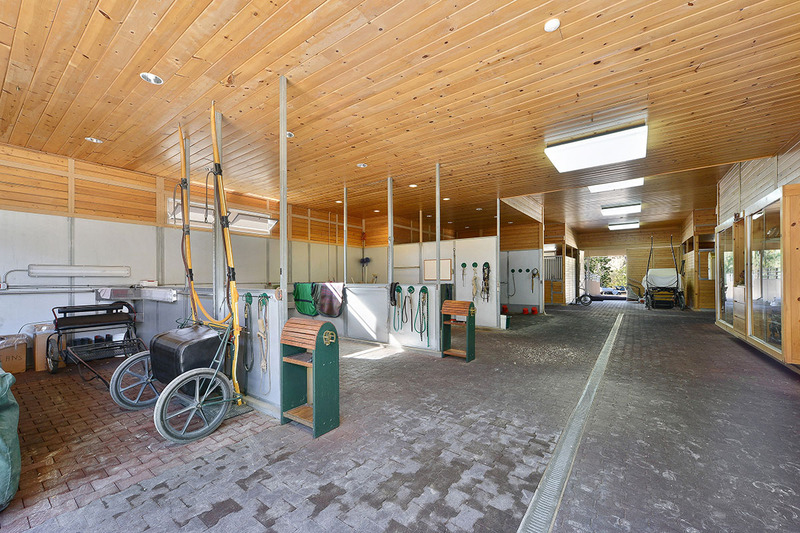 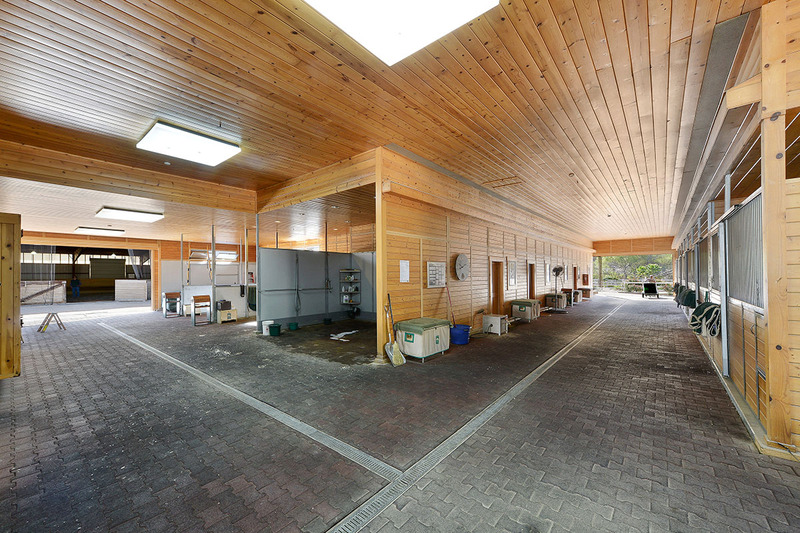 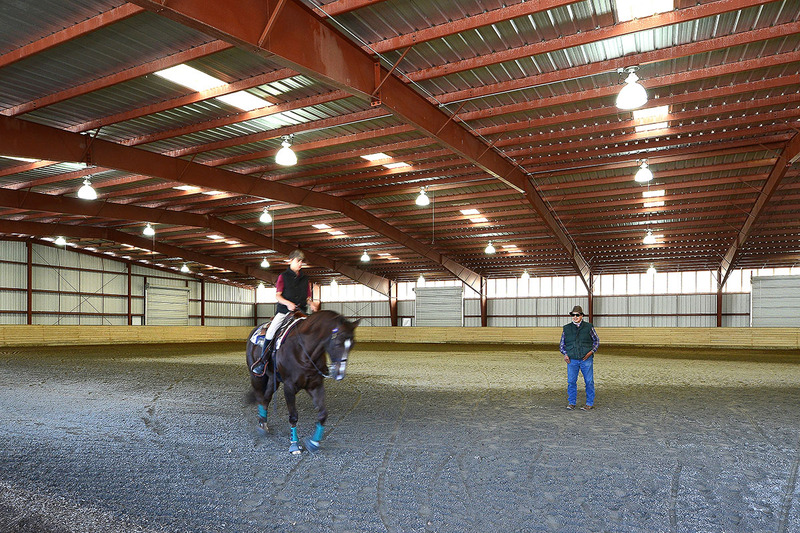 The barn’s interior has rubber tile floors, wood-partitioned stalls, and a wood ceiling. 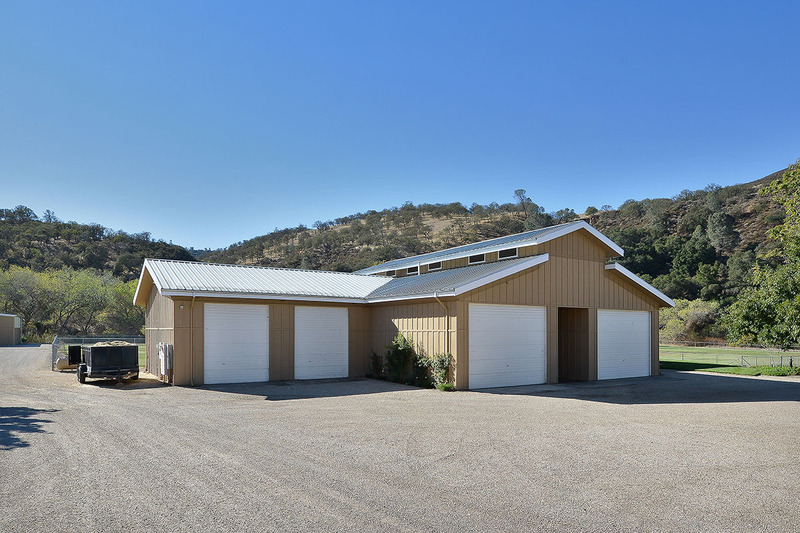 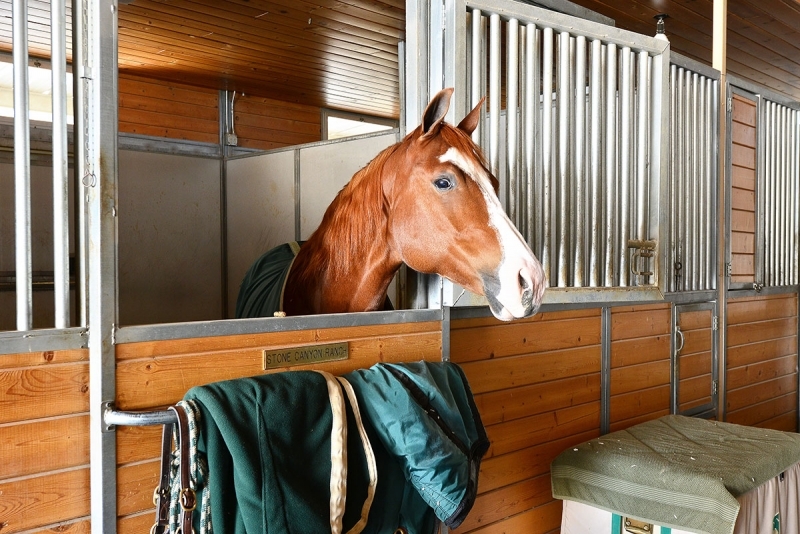 The second horse barn is a five-stall isolation barn with outside pens, and the third barn exceeds 5,000 square feet, features steel frame, wood-siding construction, and is divided into three storage areas, a three-stall horse barn, tack room, incubator room, and a one-bedroom apartment. 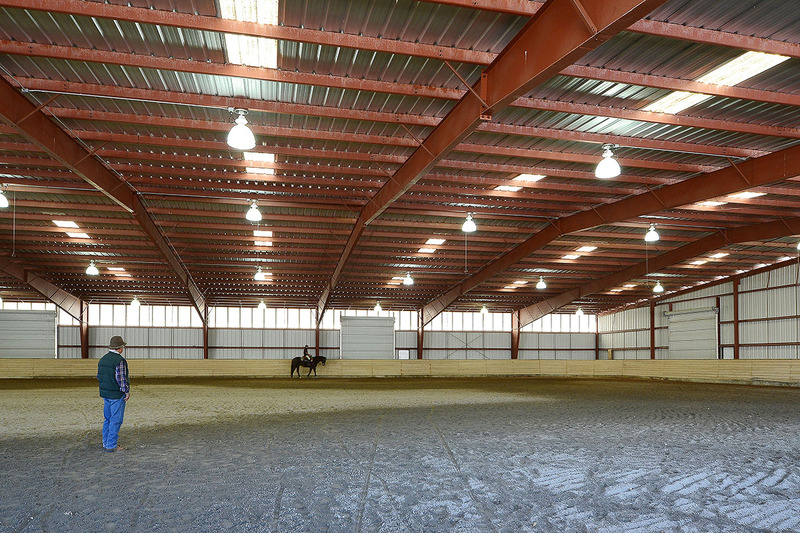 The riding area is a 150-by-220-foot pre-engineered steel frame building with metal panel sides and roof. 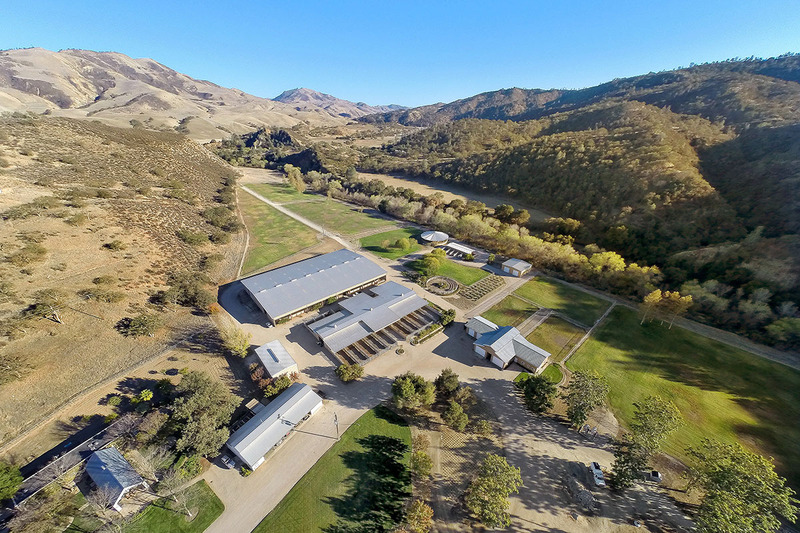 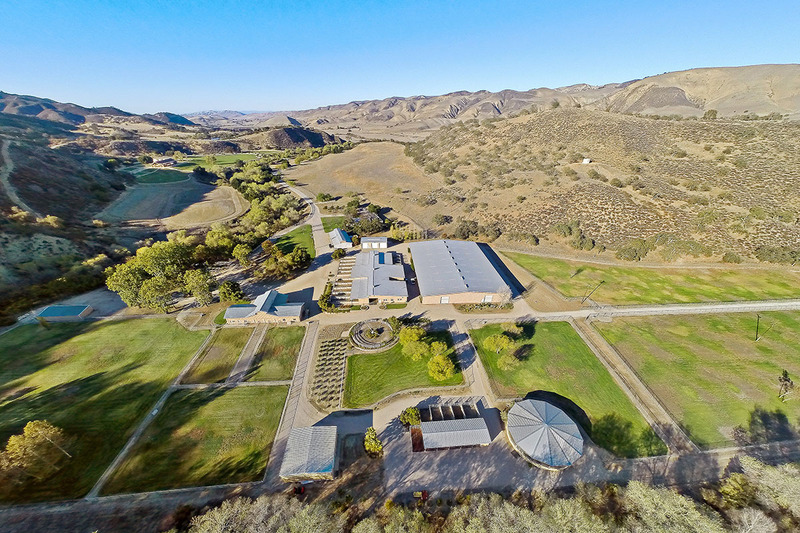 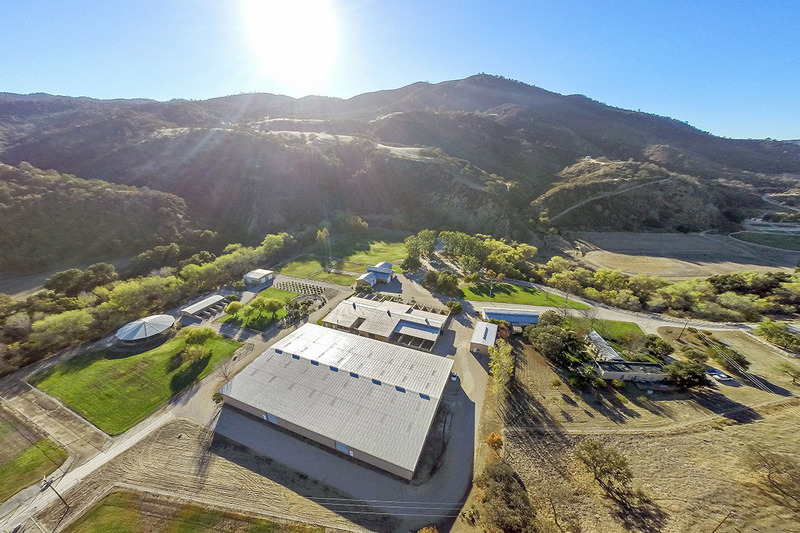 The training arenas include one steel-pole, 68-foot-diameter circular pen with a metal roof, and a 44-by-44-foot steel frame pole barn with a paneled 40-foot diameter arena.The ranch’s vast acreage has been used for vineyards, cattle-raising, and farming. 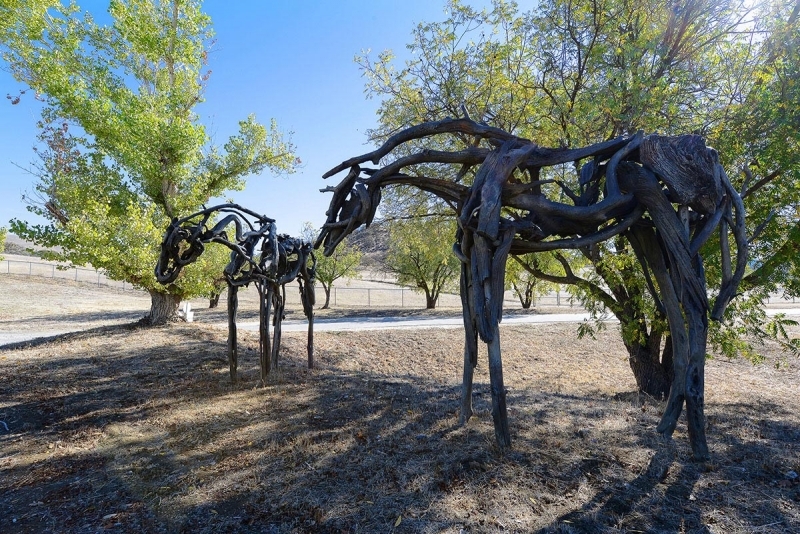 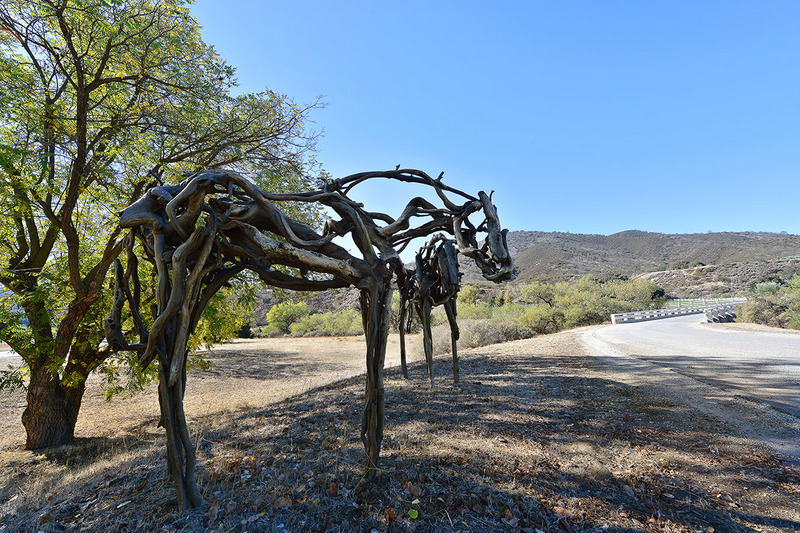 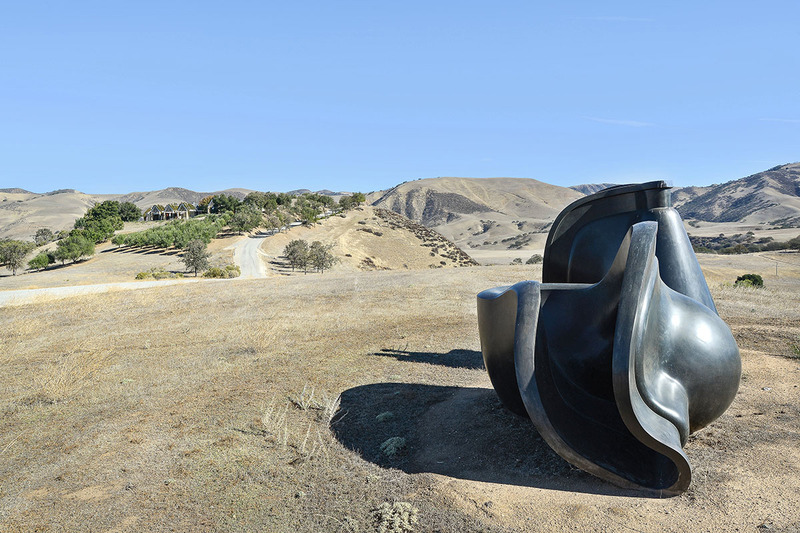 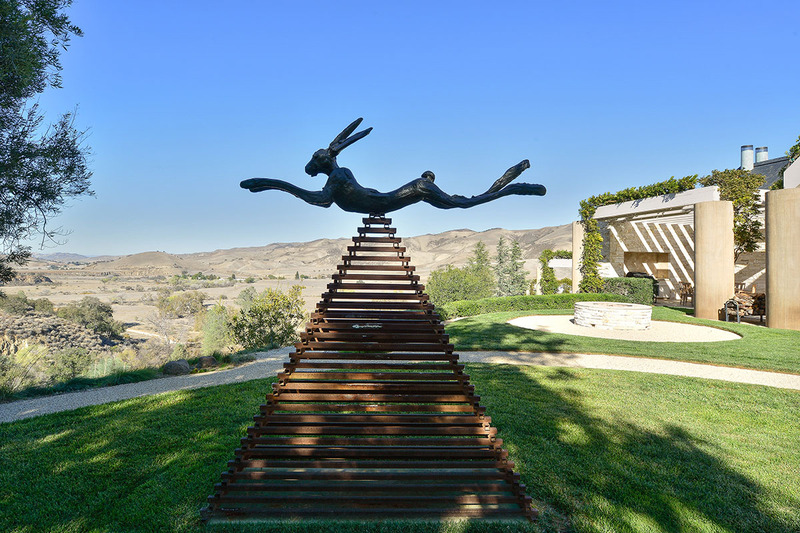 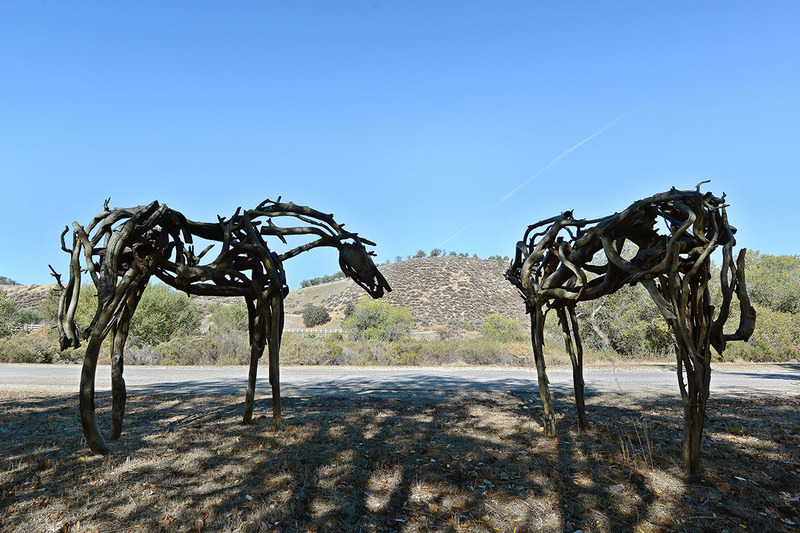 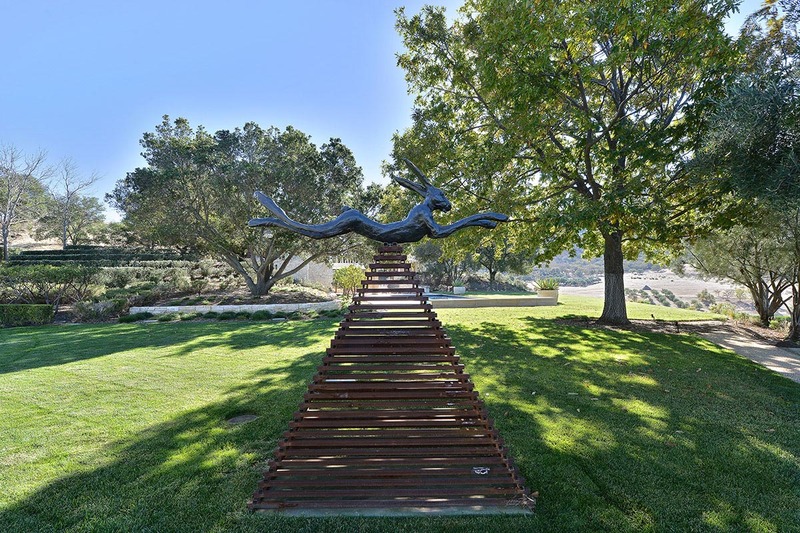 Much of the landscaped residential grounds are now graced with fine-art sculpture. 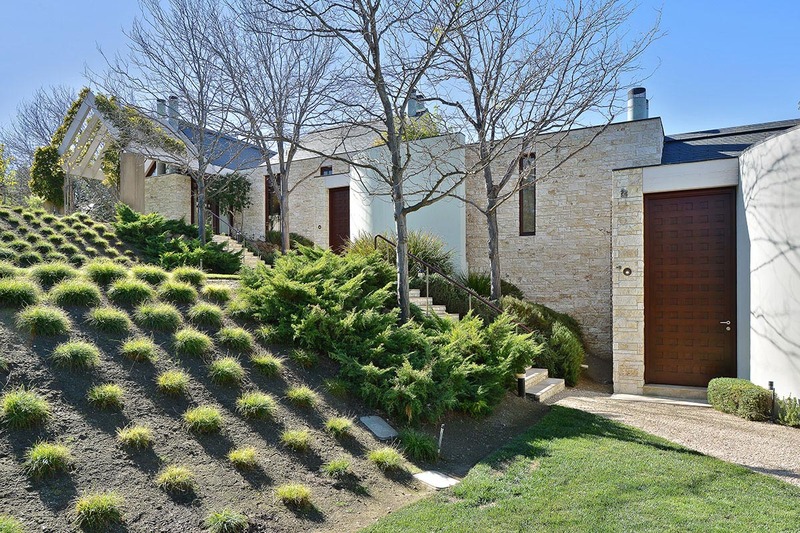 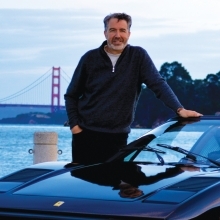 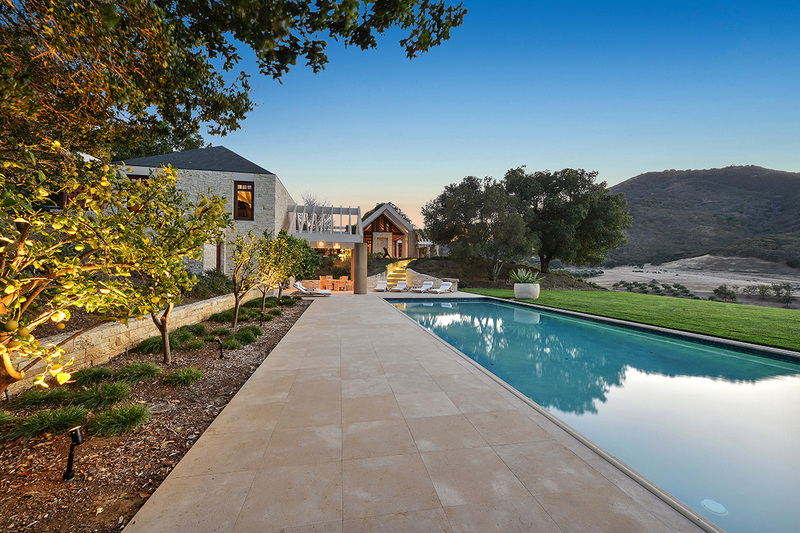 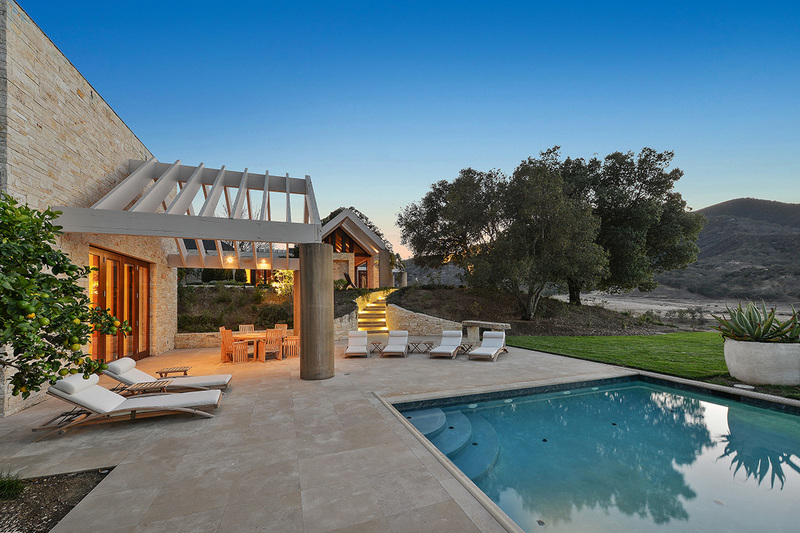 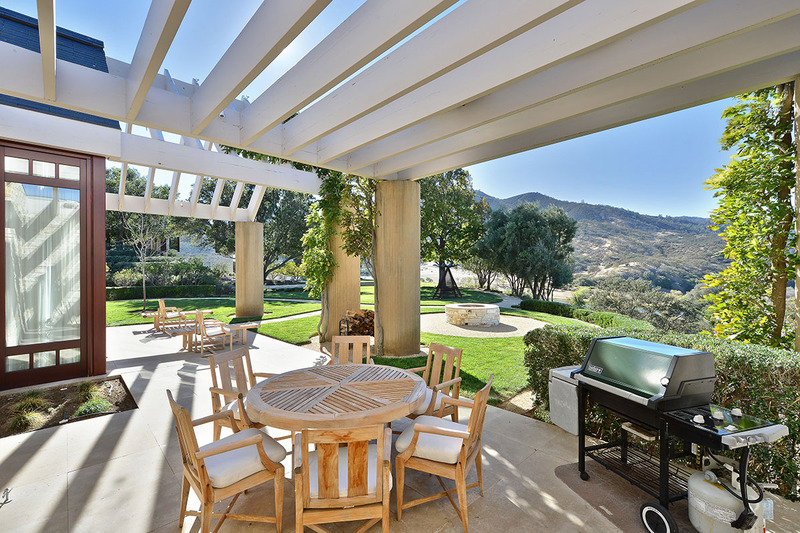 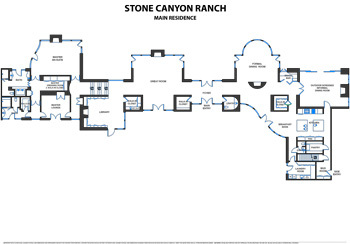 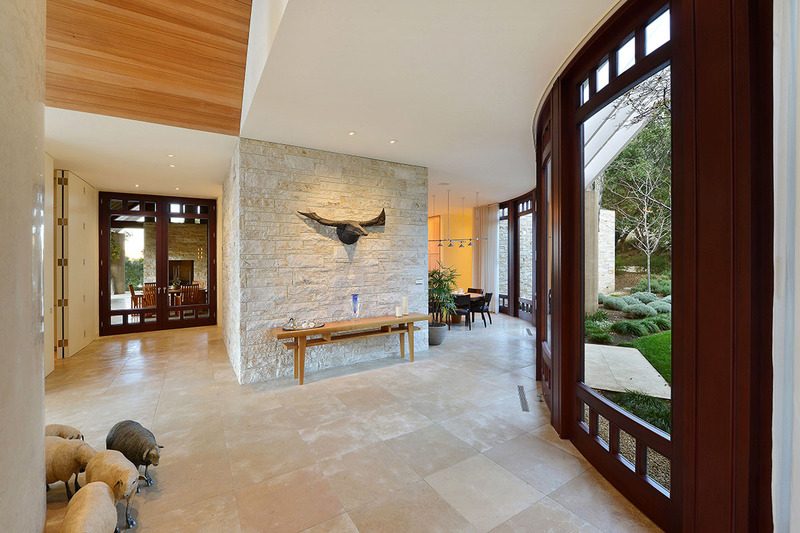 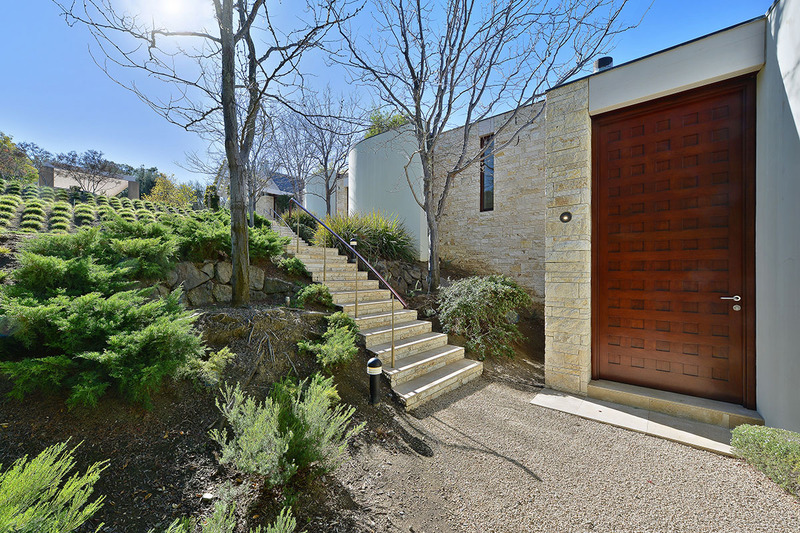 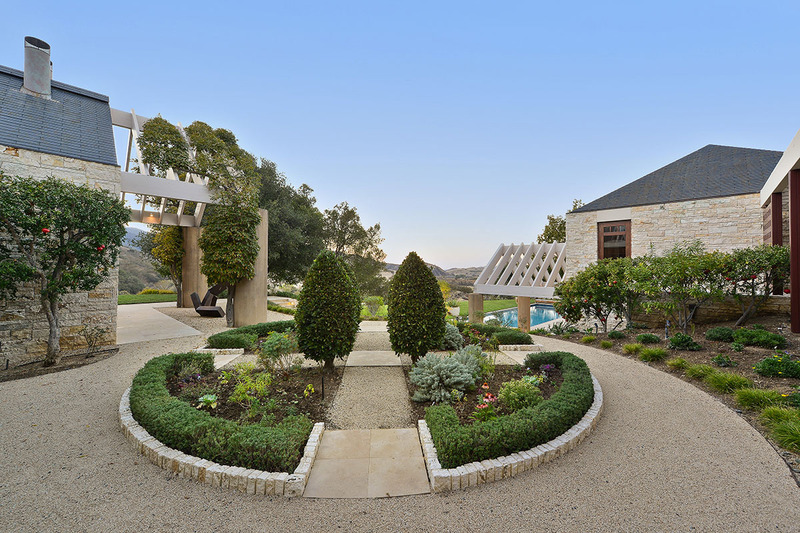 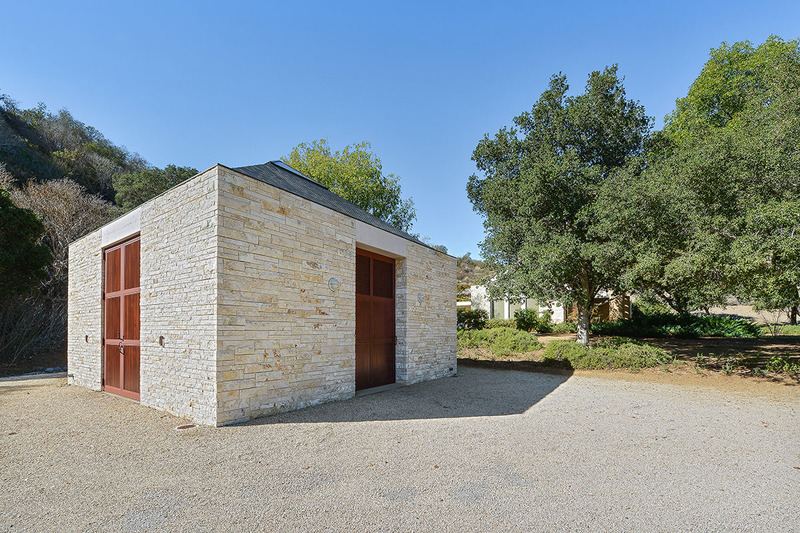 Listing agent, Steven Mavromihalis, an avid car enthusiast and collector, cannot help but note that, in addition to the countless other lifestyle benefits of the Stone Canyon Ranch, its proximity to the Laguna Seca Raceway and the Pebble Beach Concours also make it the perfect estate for automobile aficionados.